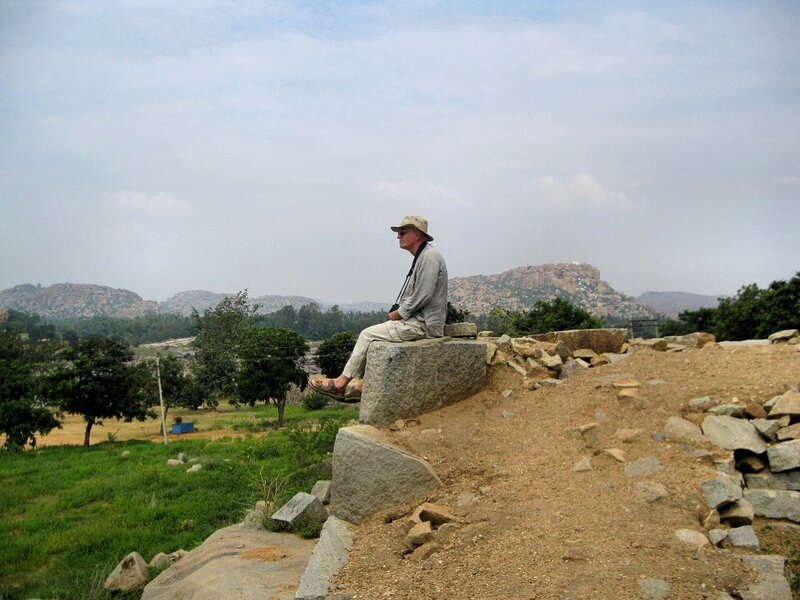 26 Morning in Hampi Hi! 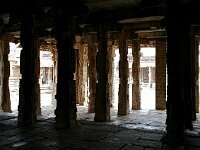 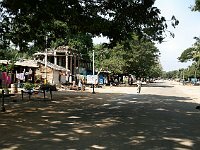 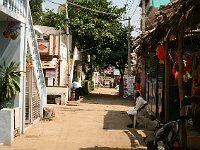 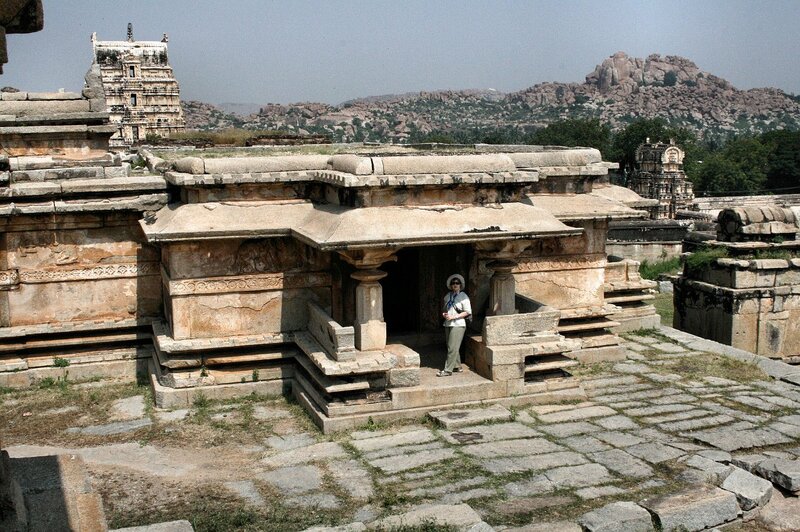 28 Morning in Hampi ... and under! 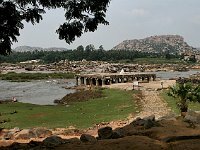 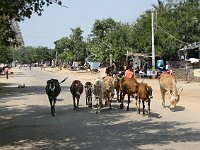 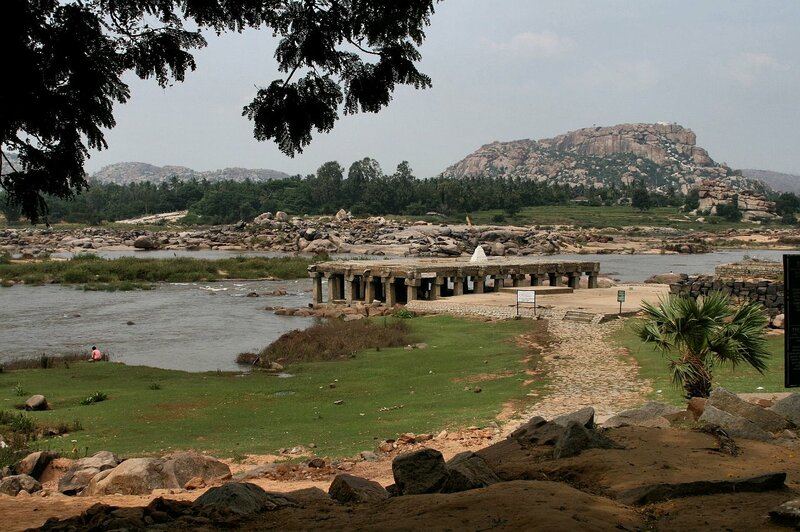 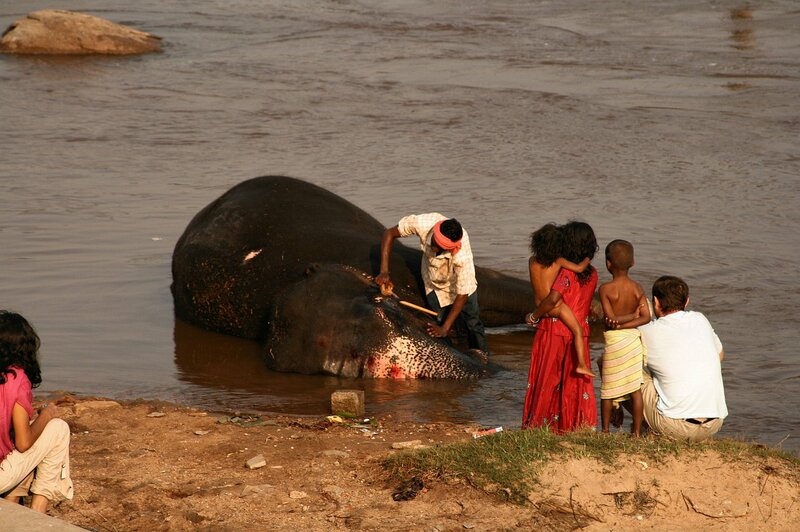 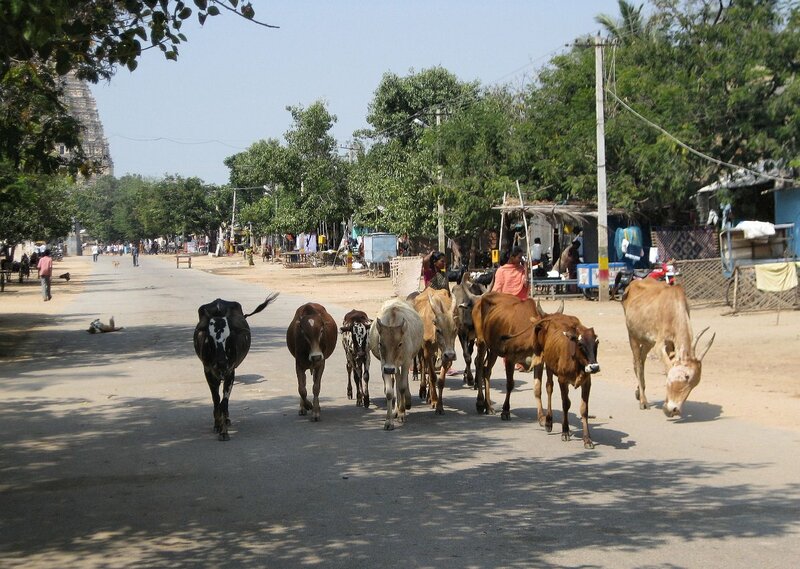 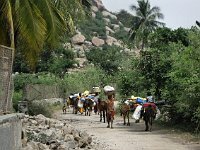 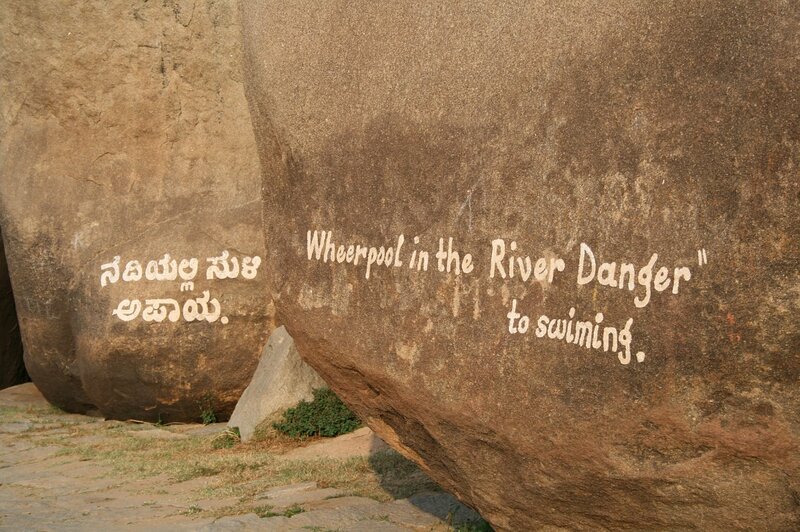 84 Walk along the Tungabhadra No swimming! 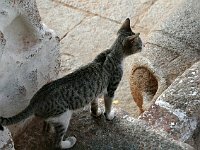 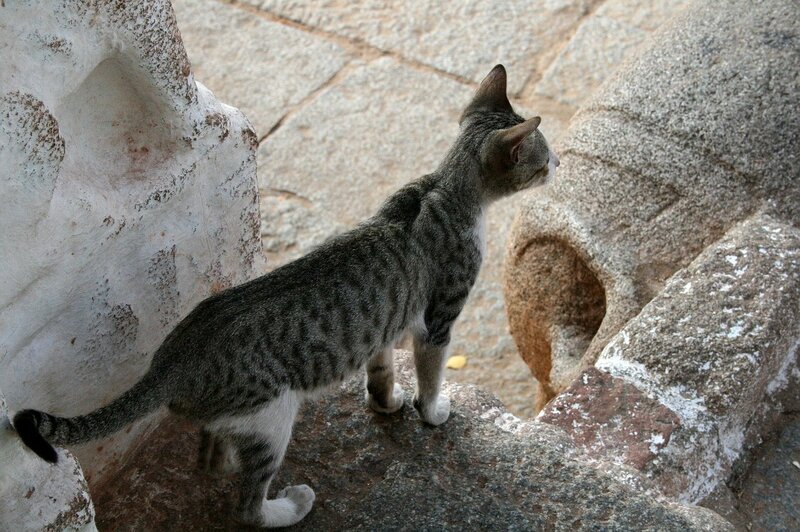 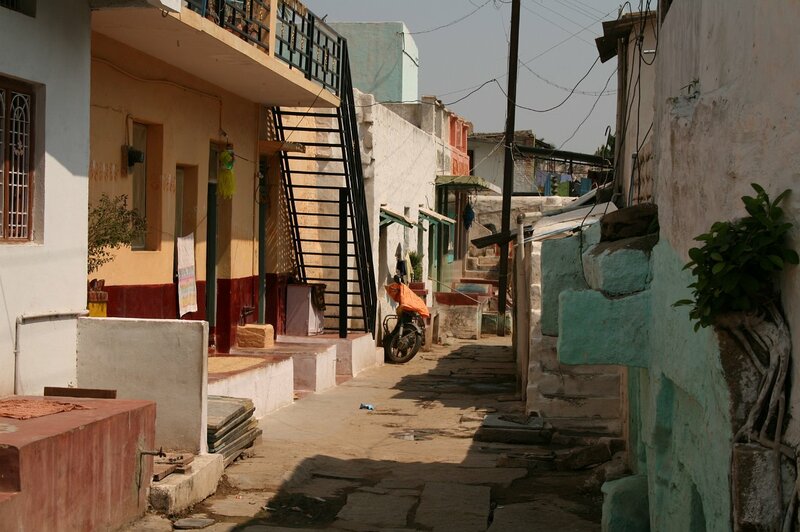 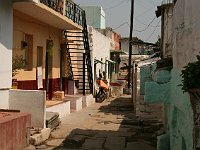 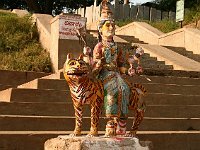 92 Walk along the Tungabhadra Even a cat! 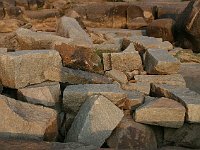 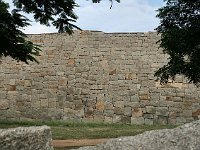 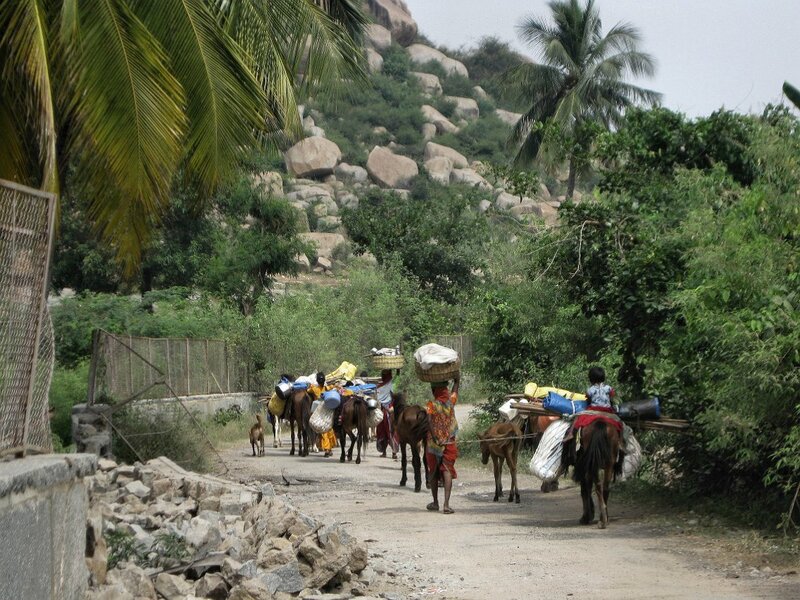 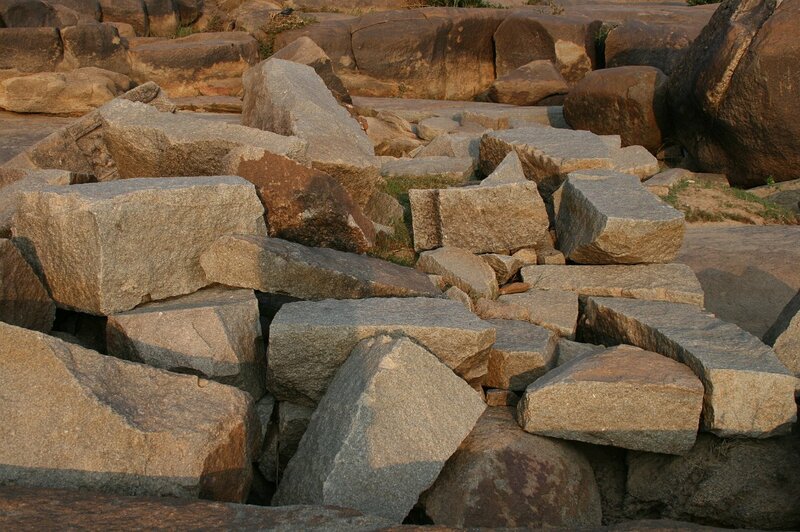 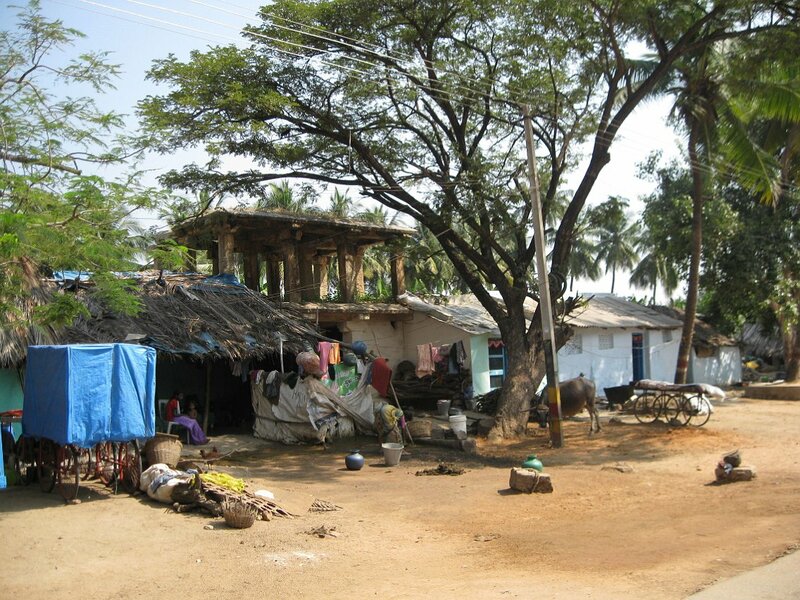 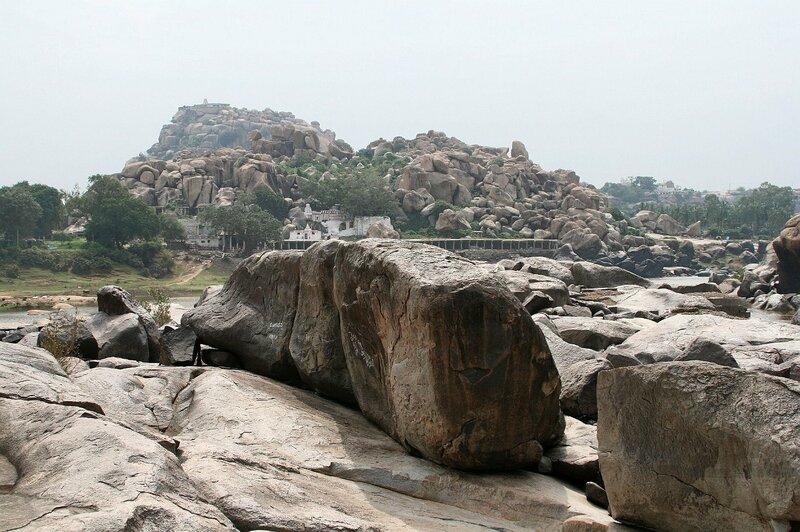 99 Walk along the Tungabhadra Cut rocks from ruins or waiting for building? 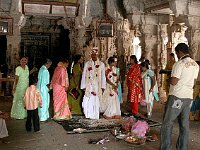 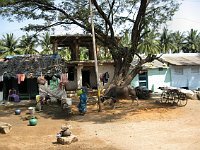 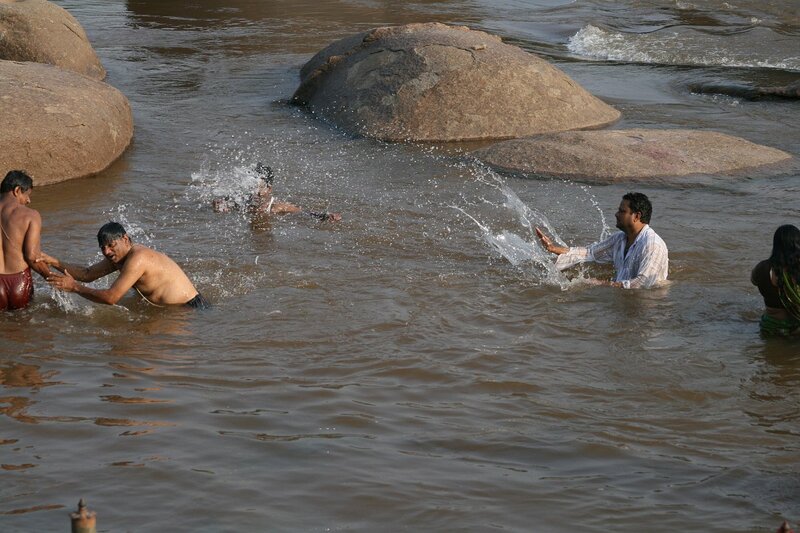 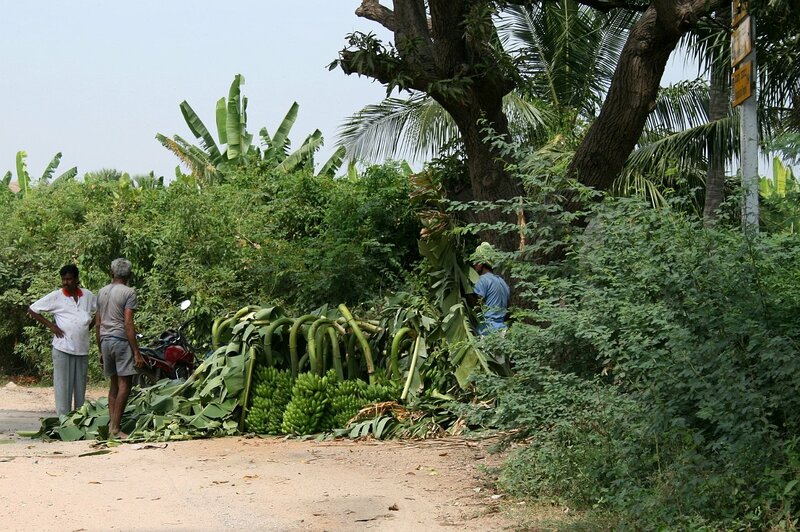 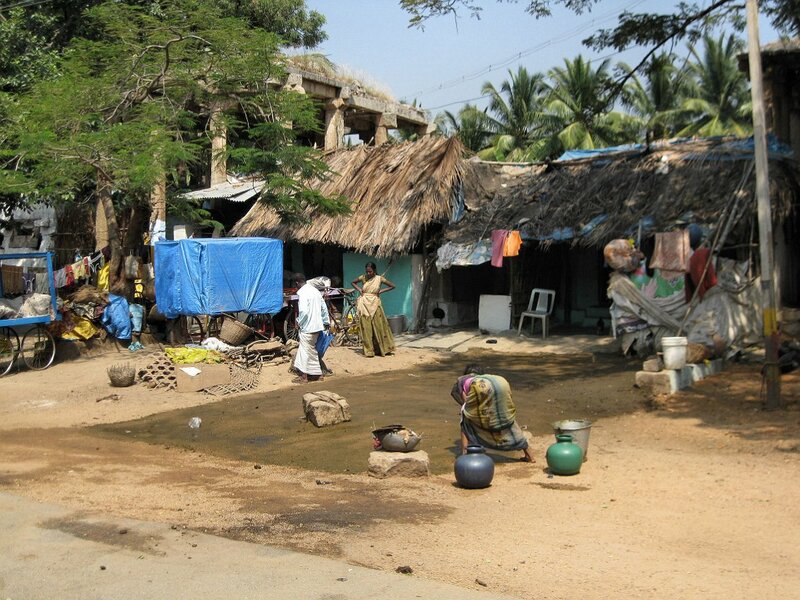 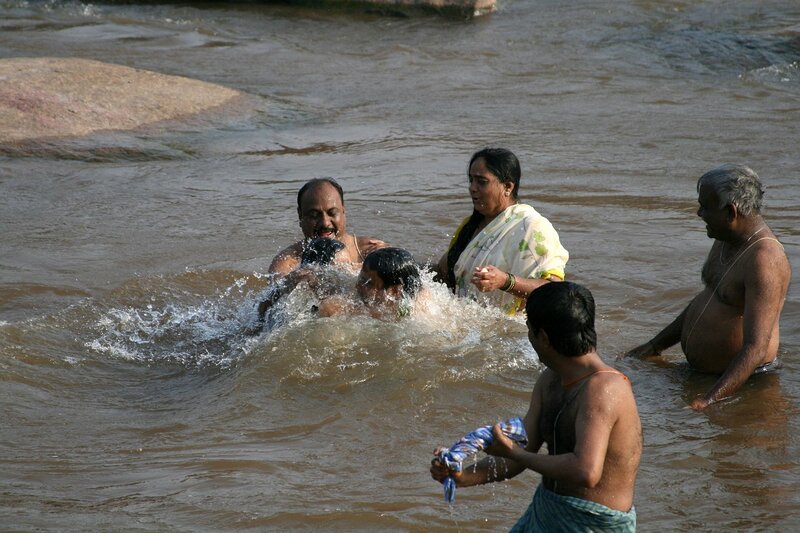 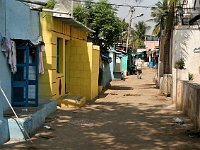 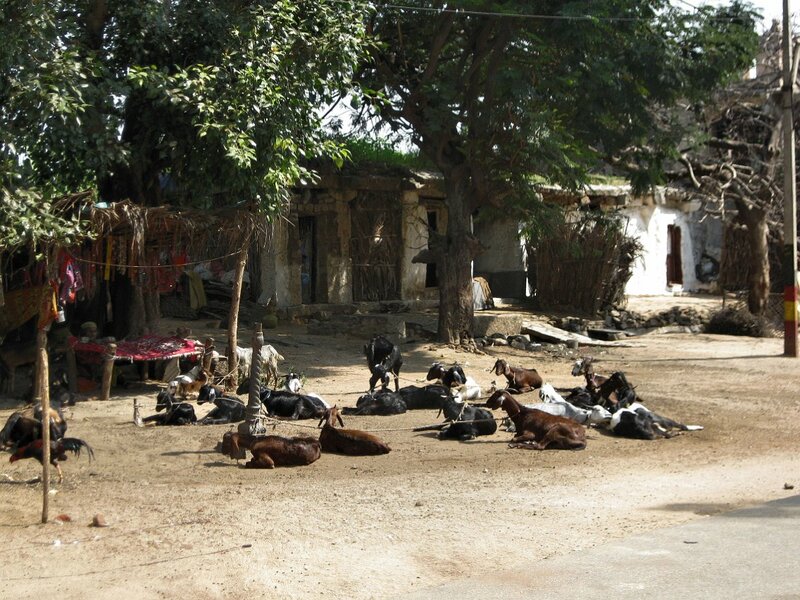 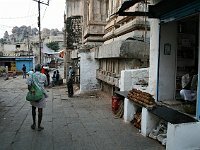 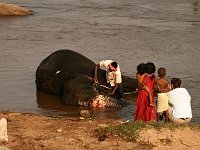 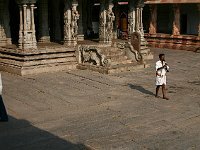 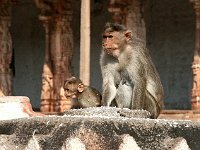 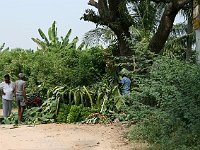 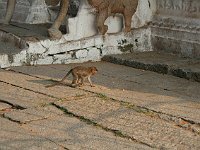 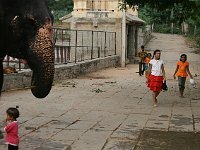 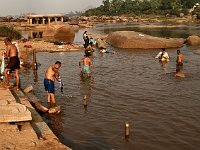 129 Morning On the way to Vitthala Temple -- washing? 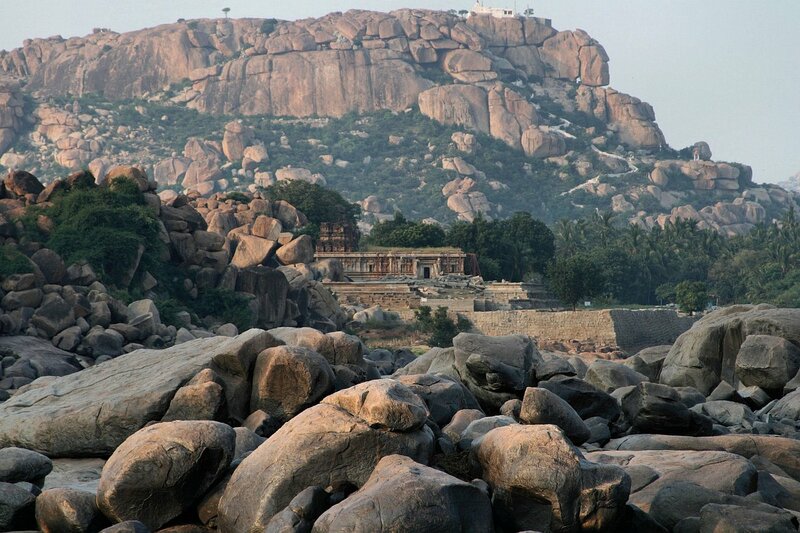 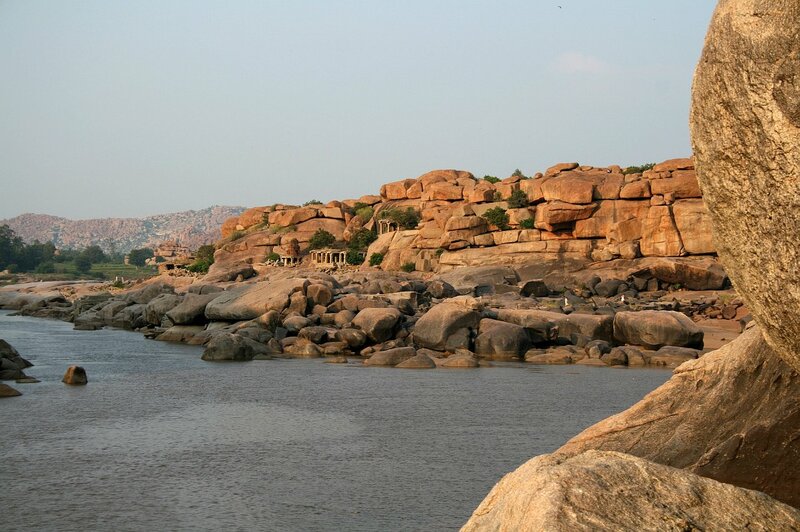 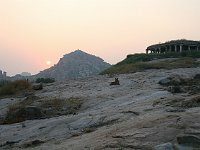 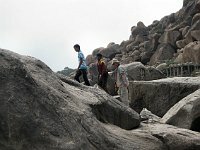 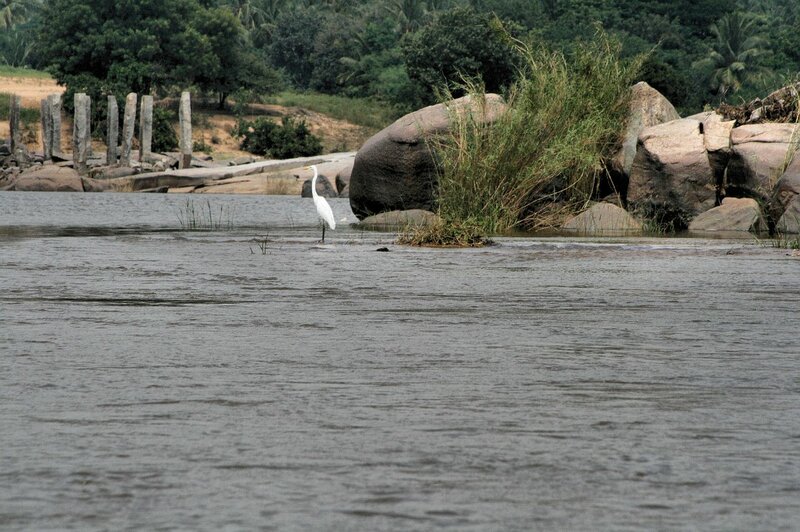 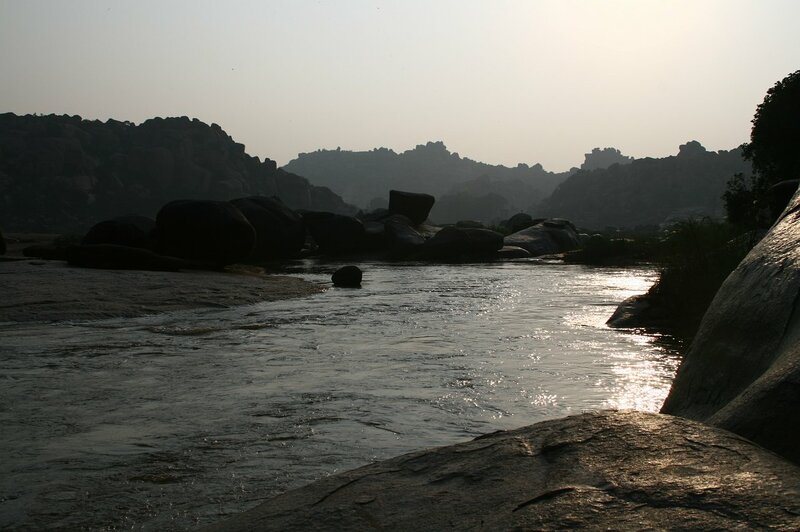 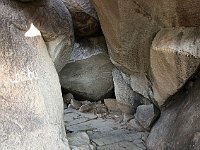 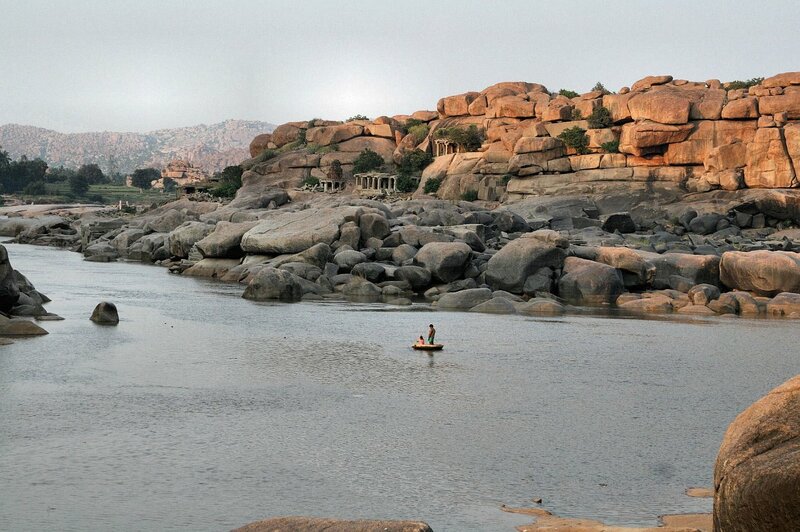 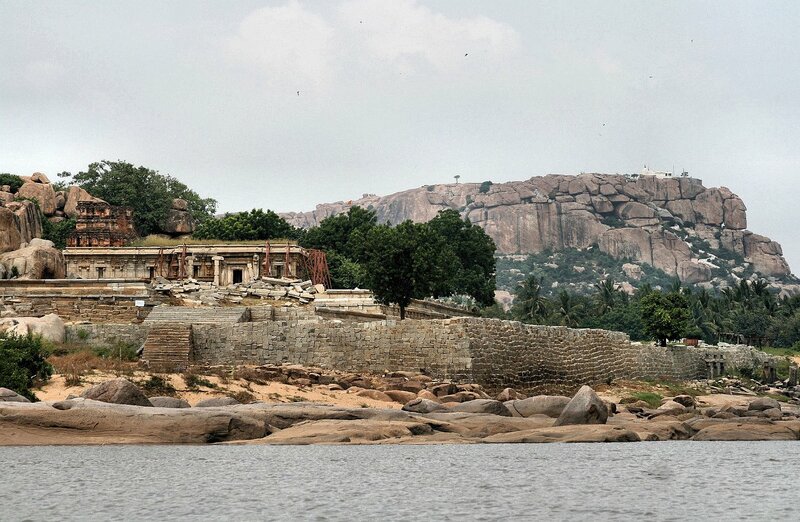 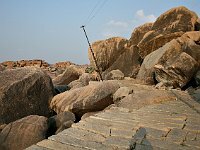 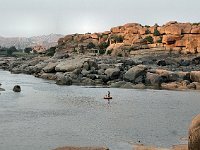 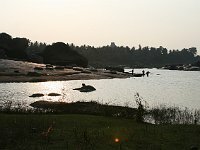 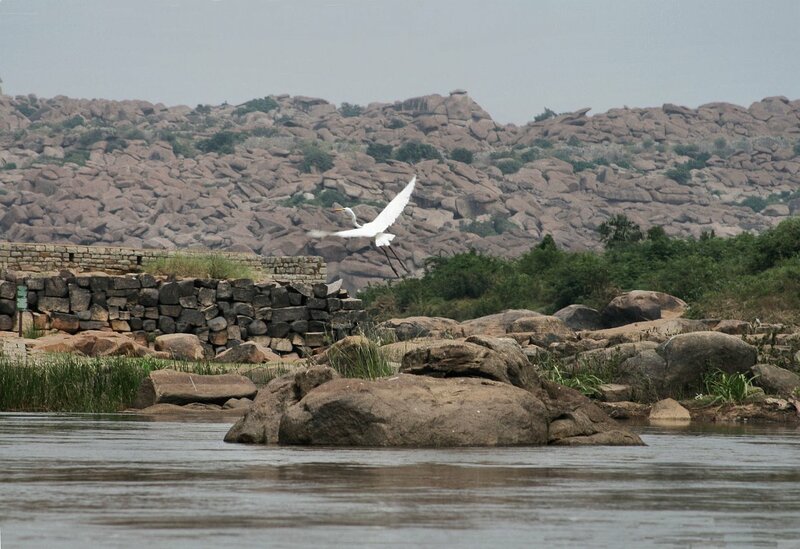 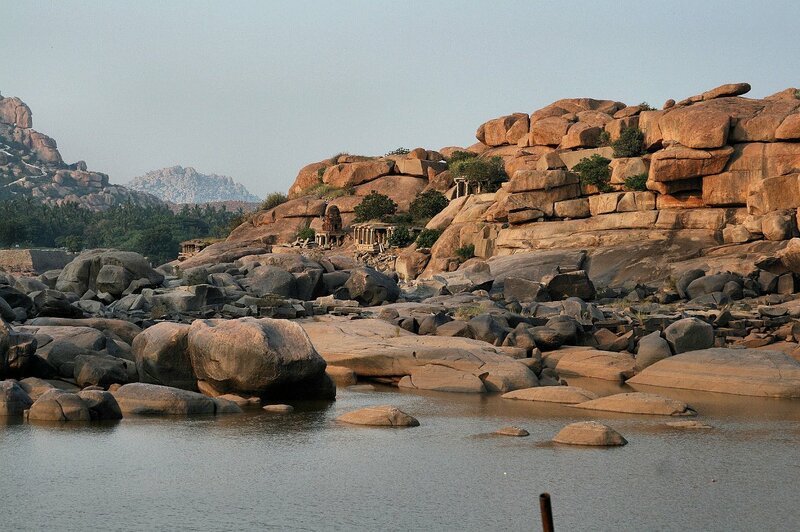 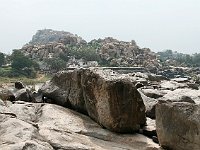 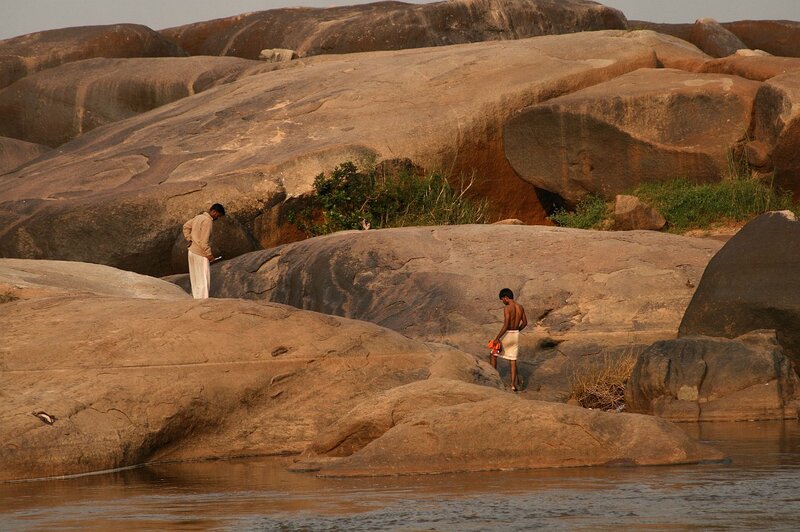 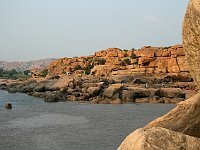 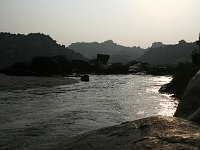 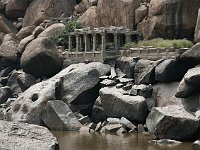 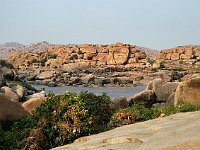 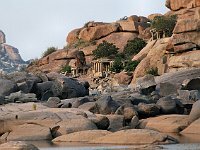 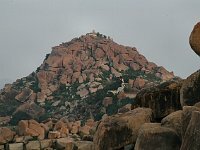 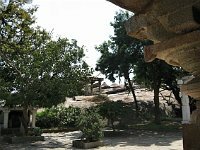 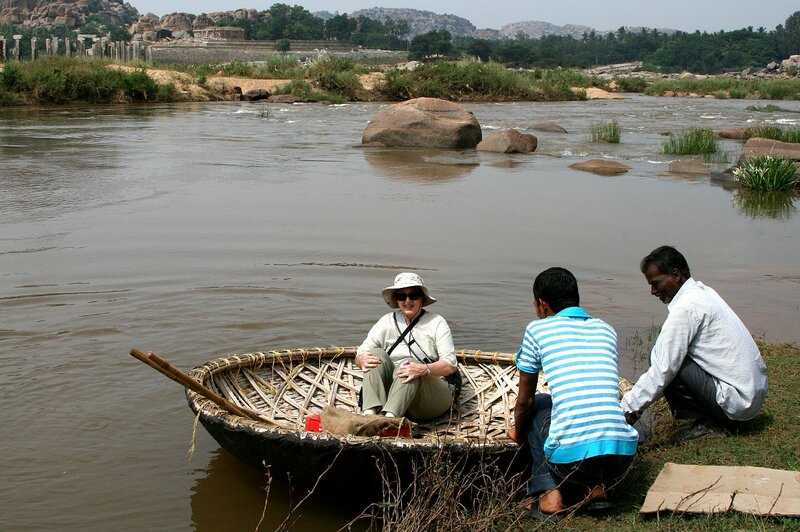 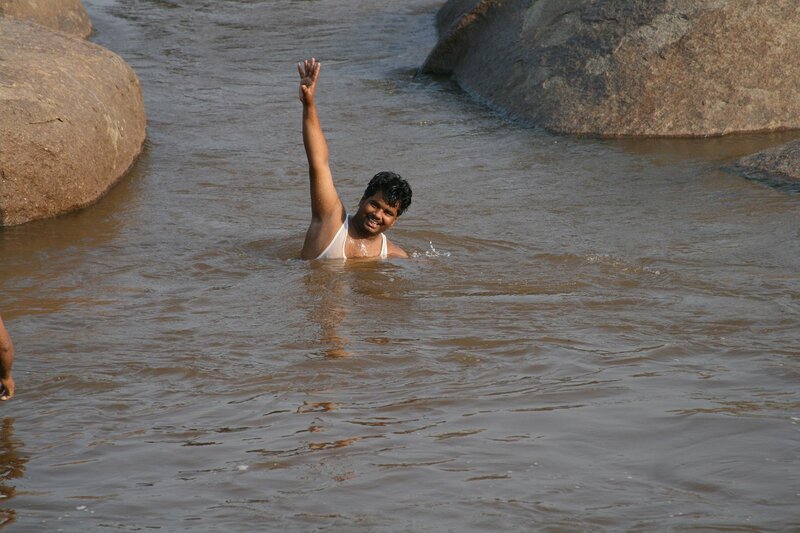 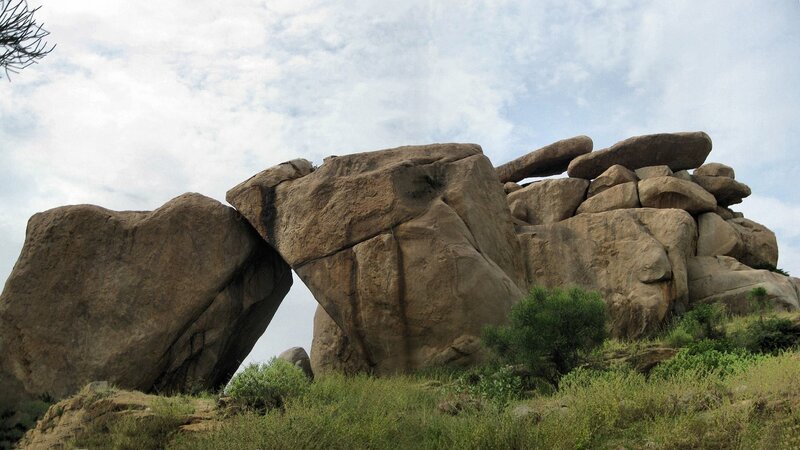 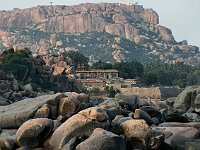 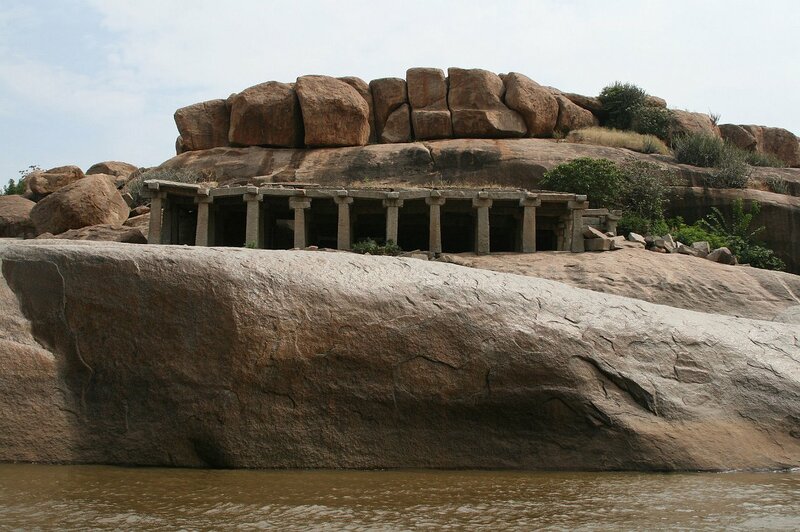 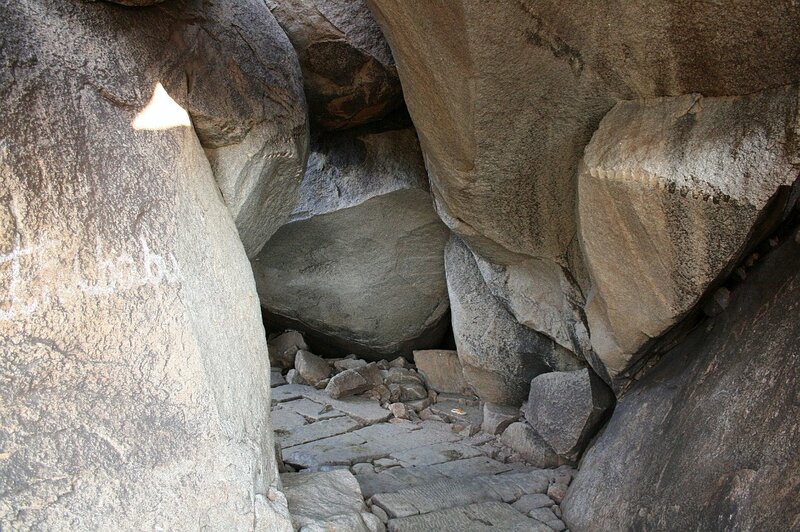 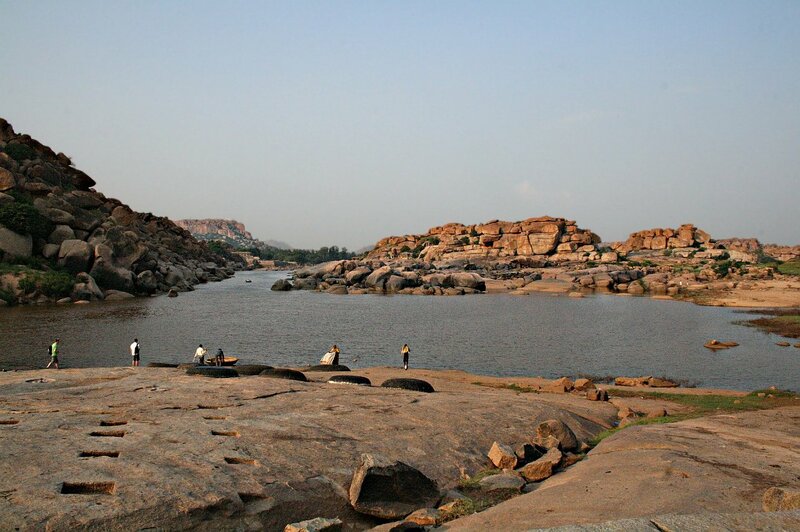 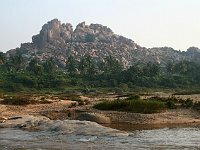 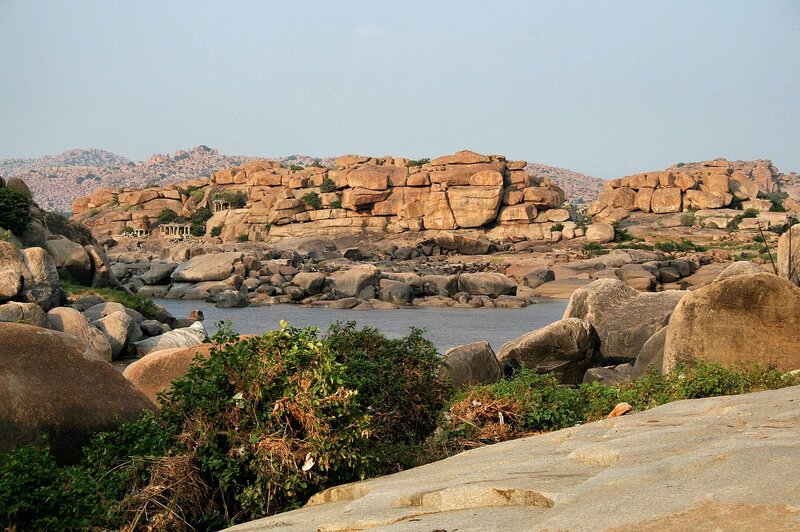 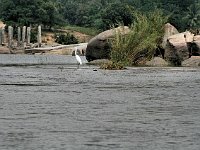 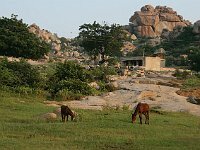 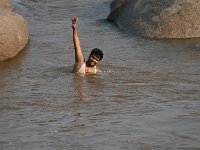 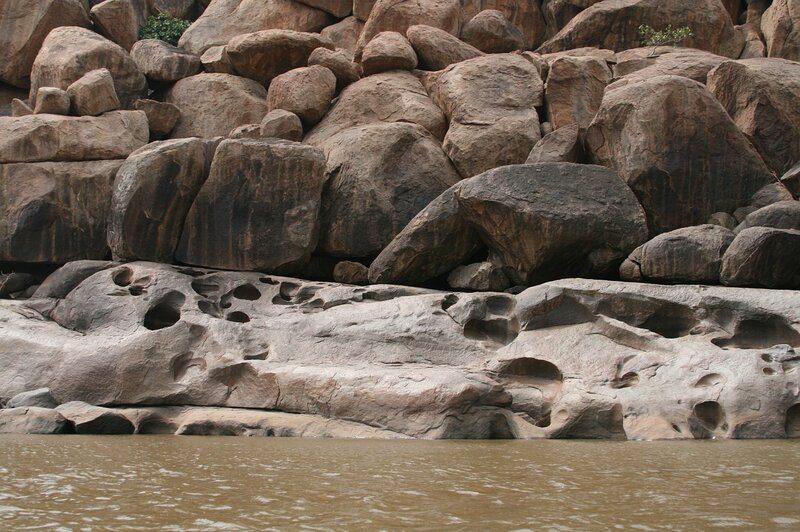 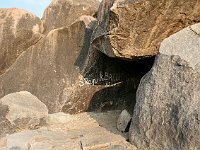 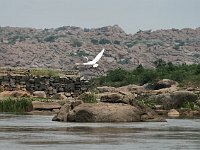 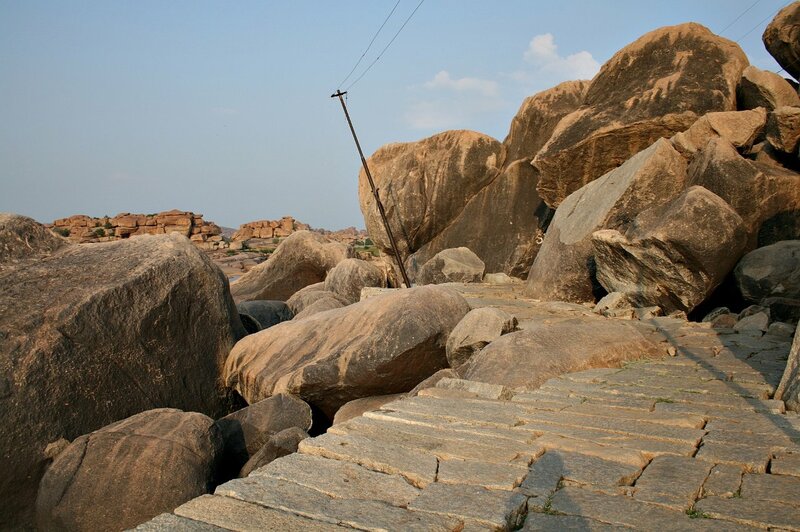 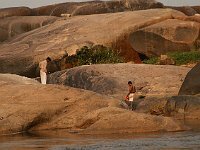 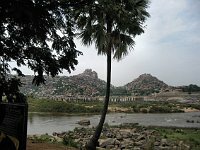 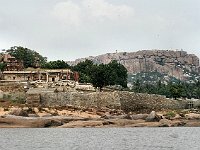 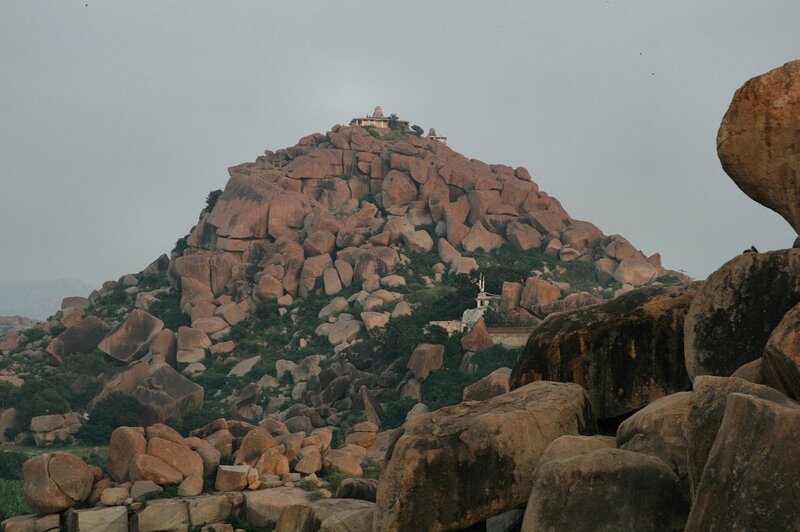 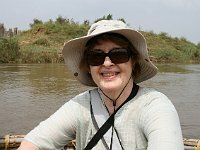 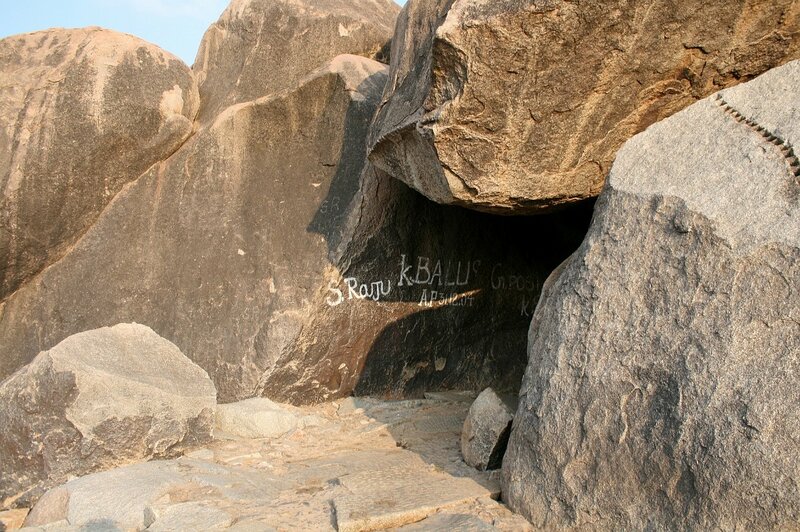 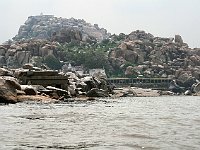 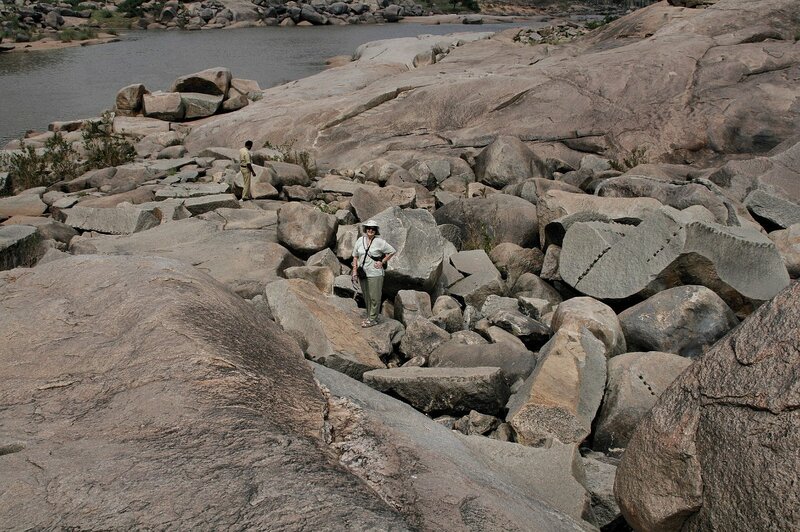 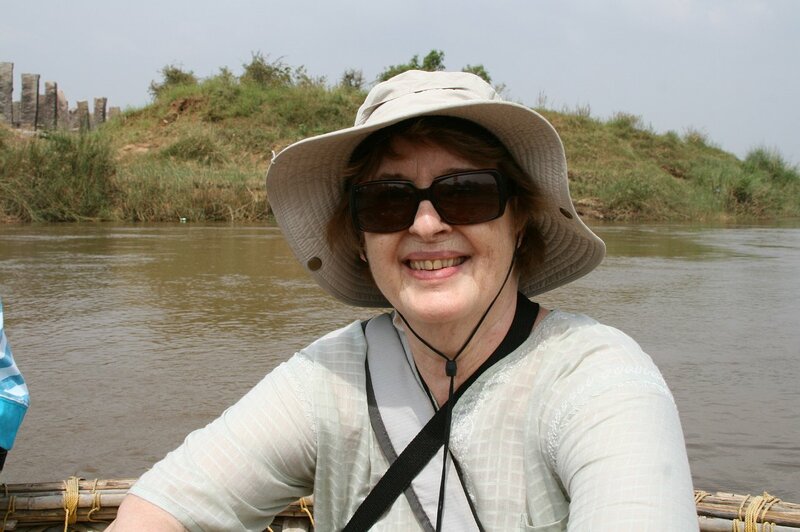 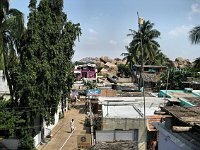 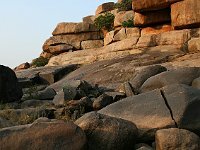 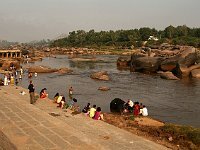 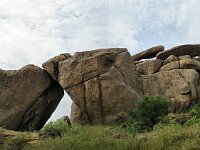 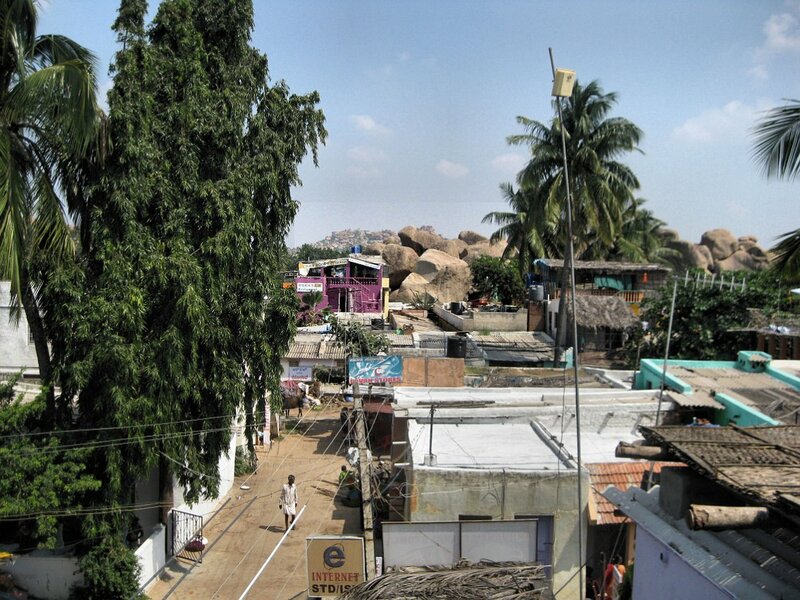 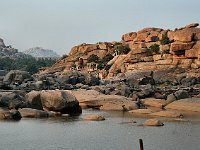 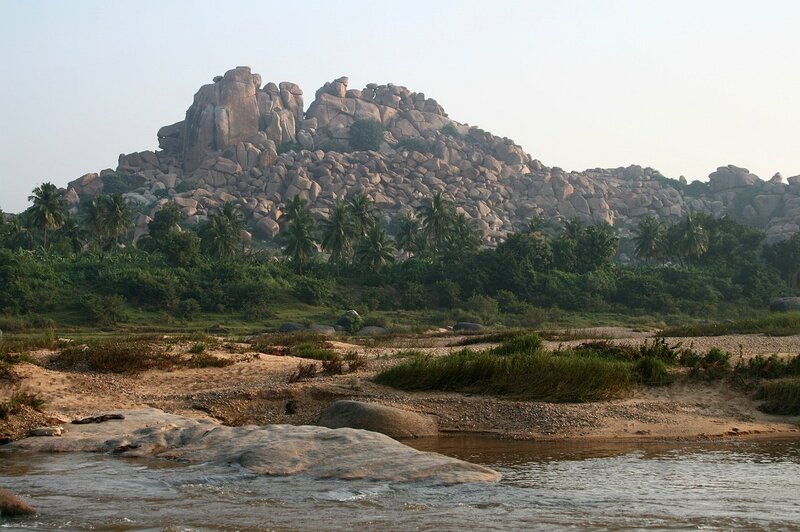 167 Boat ride on the Tungabhadra Rock! 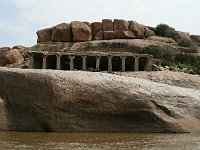 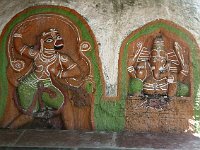 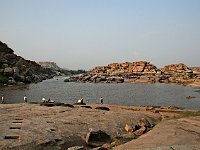 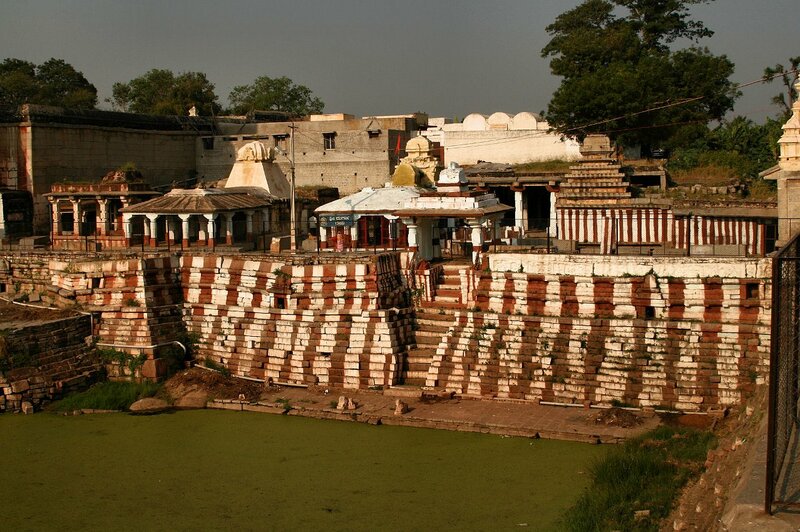 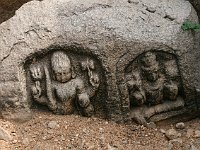 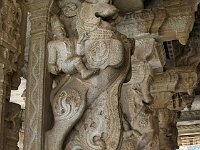 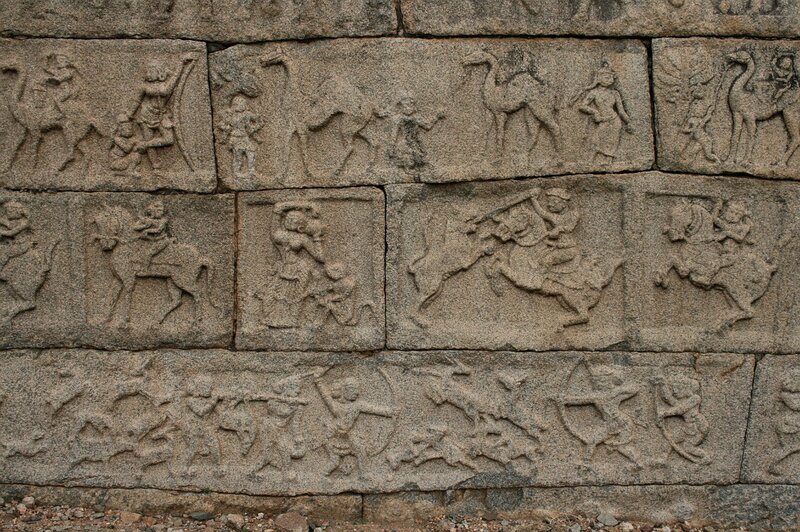 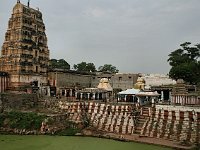 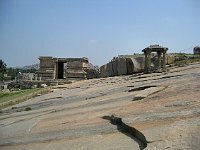 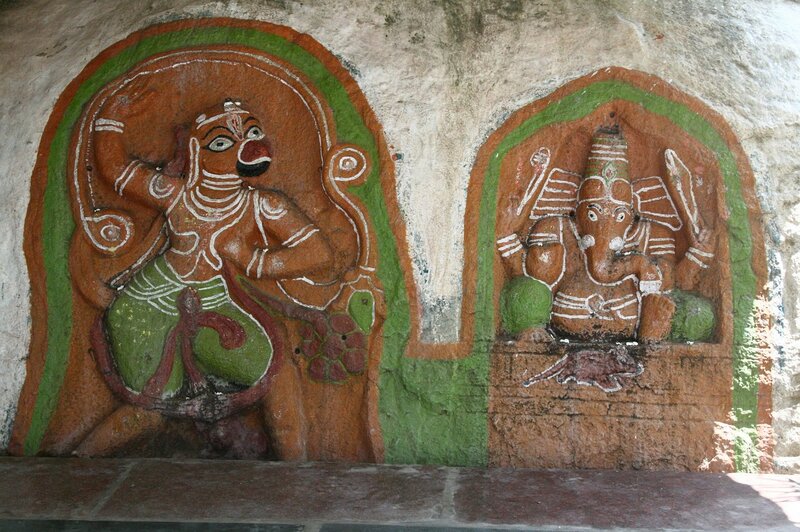 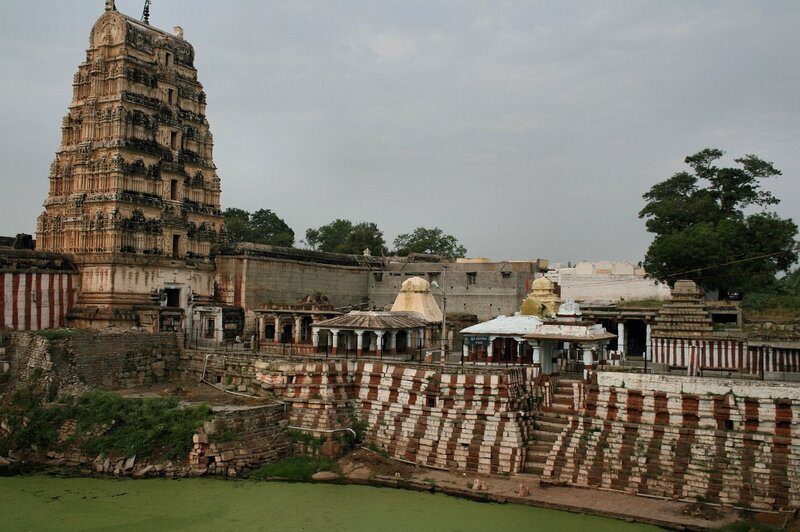 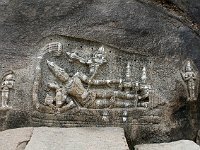 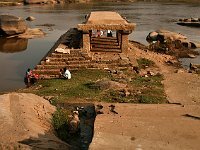 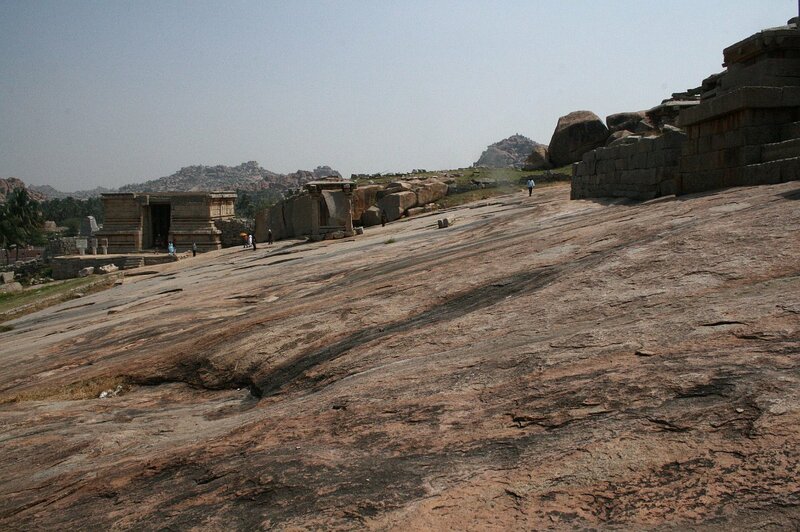 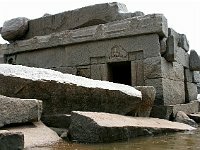 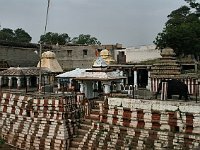 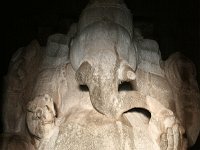 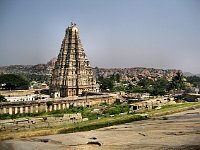 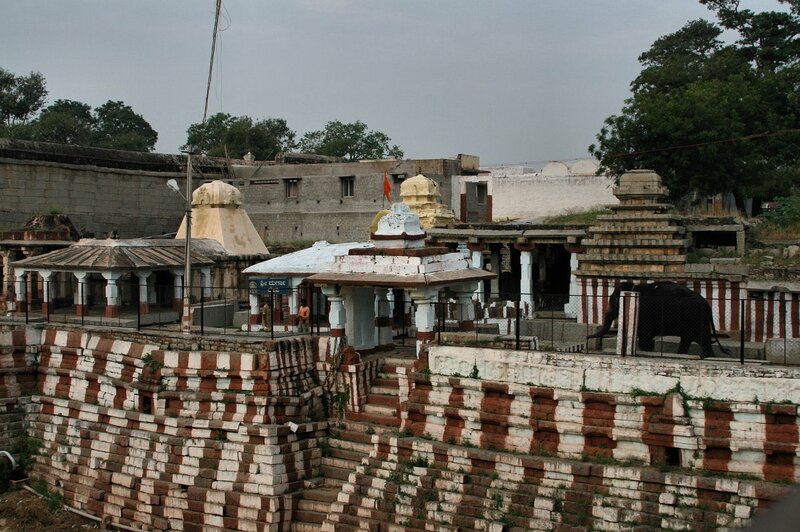 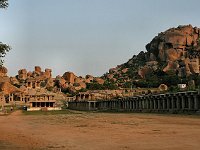 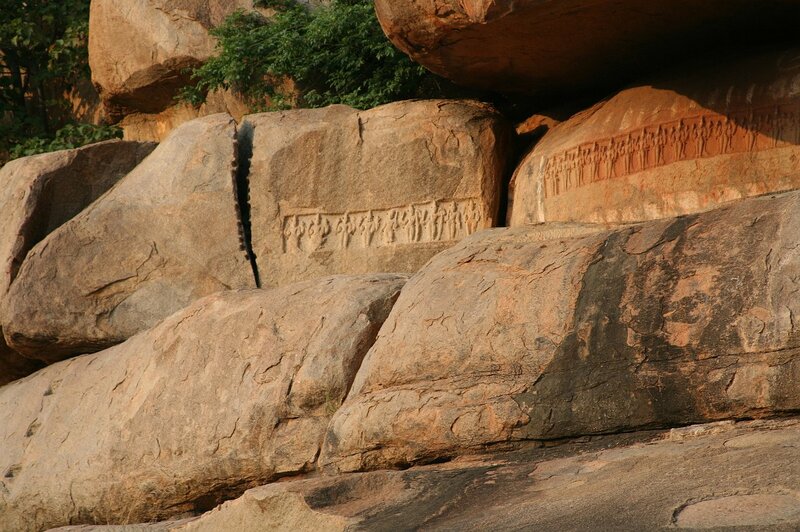 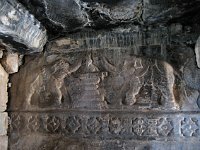 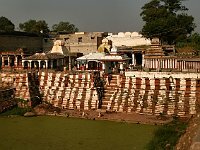 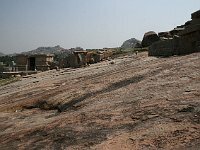 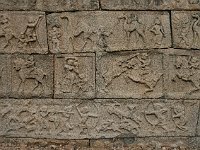 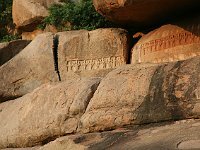 173 Boat ride on the Tungabhadra Half-buried reliefs of gods. 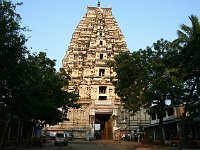 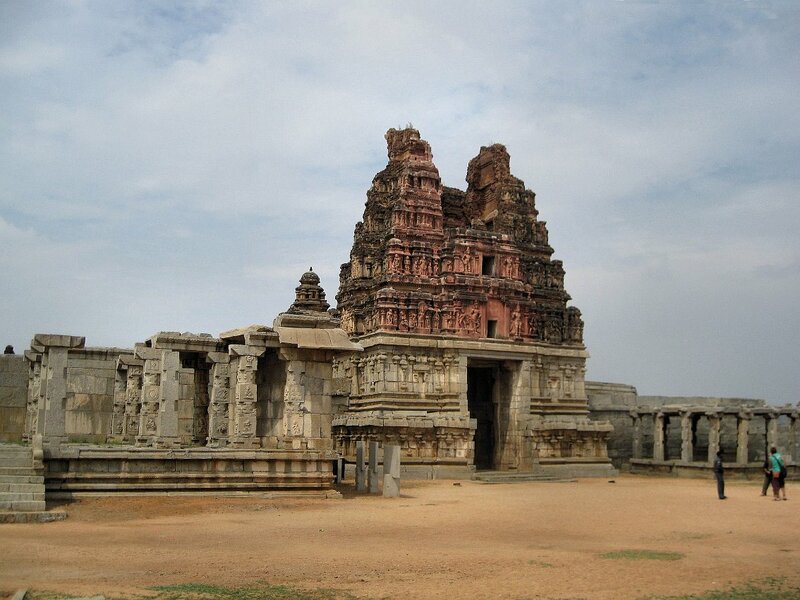 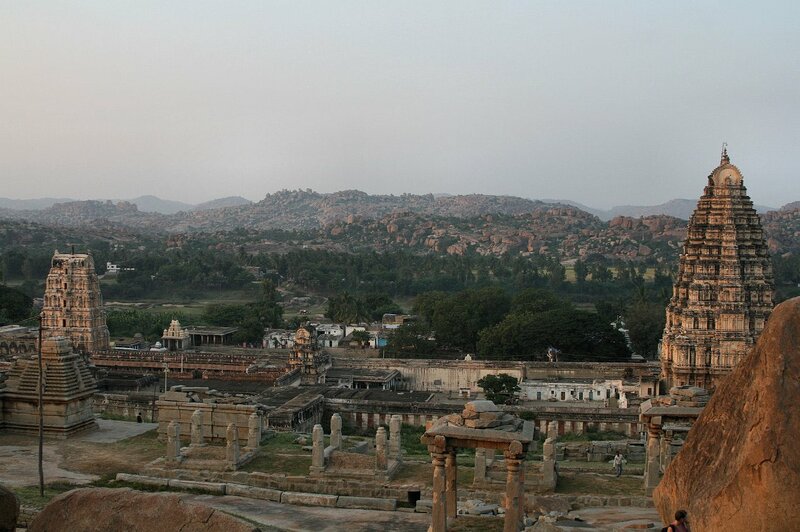 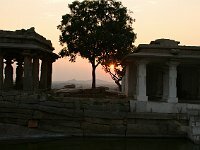 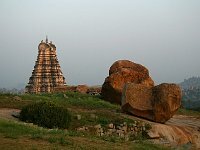 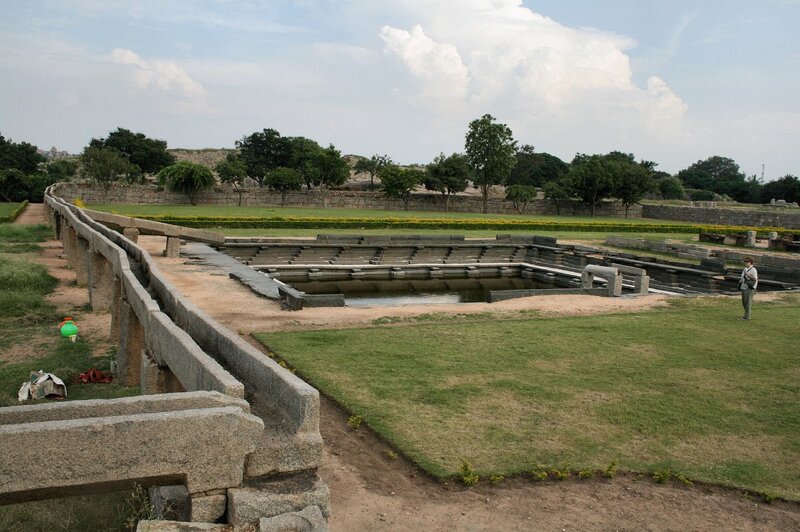 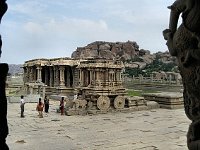 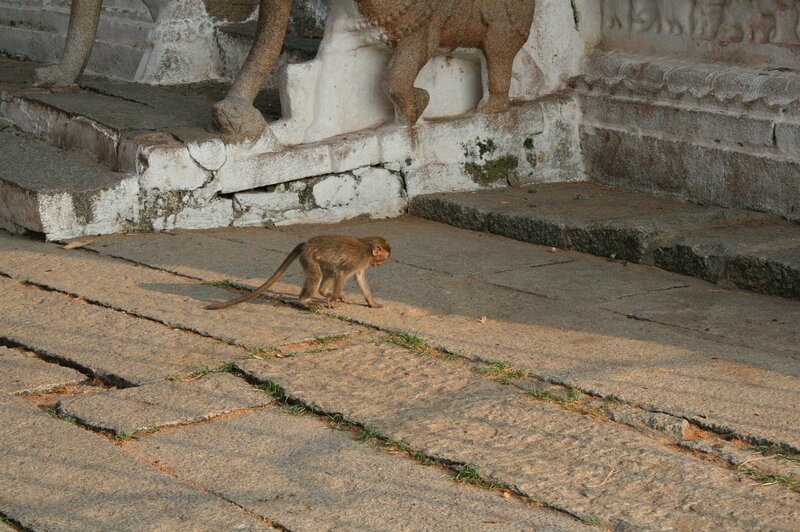 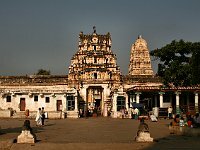 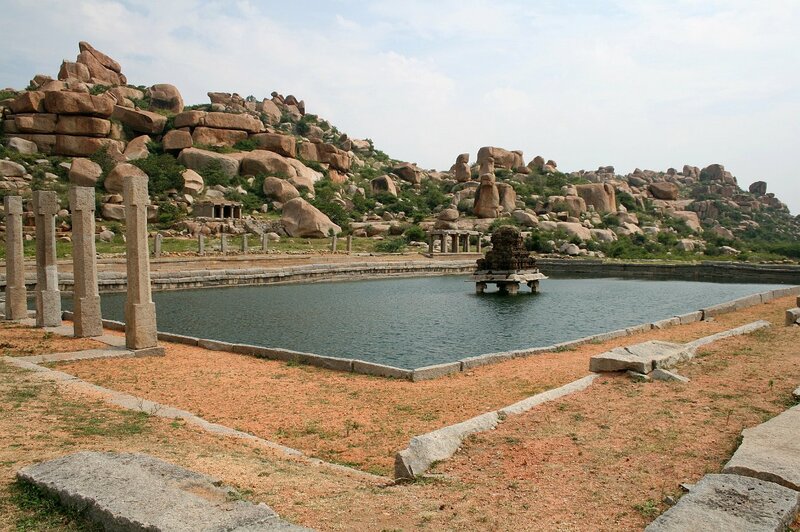 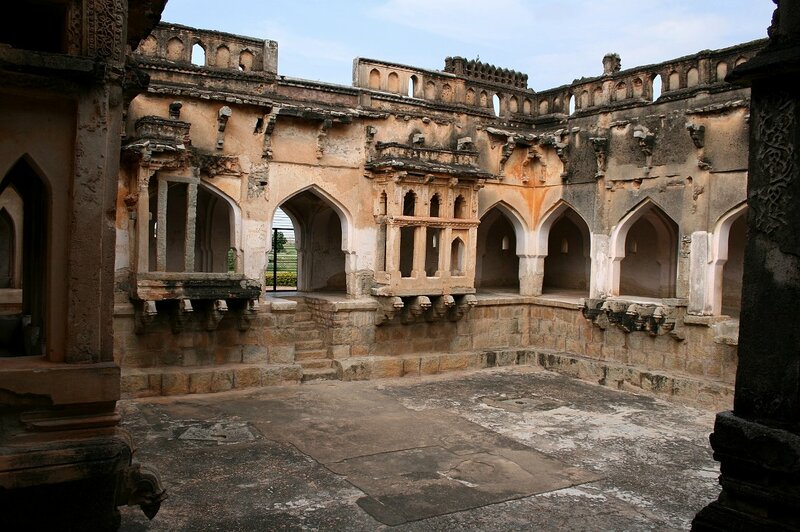 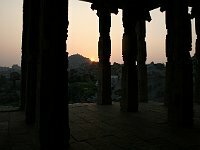 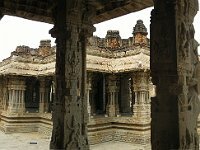 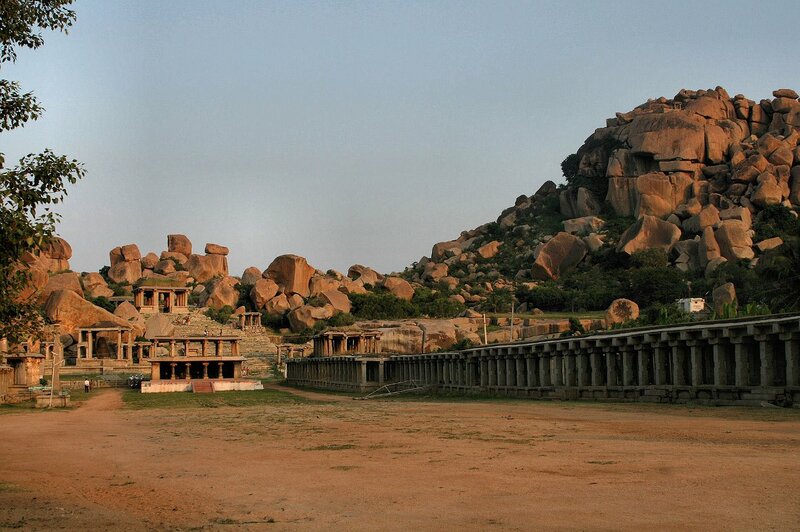 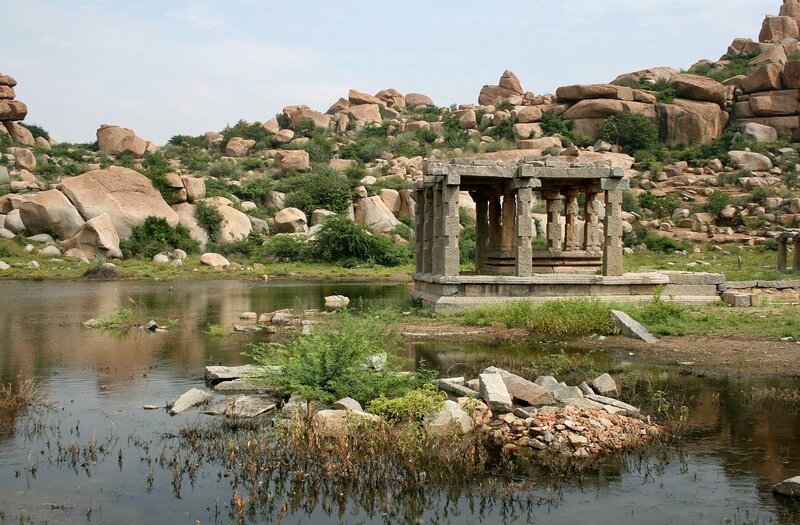 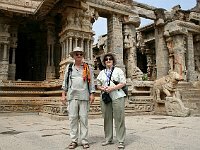 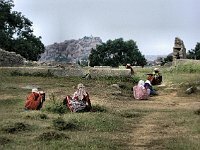 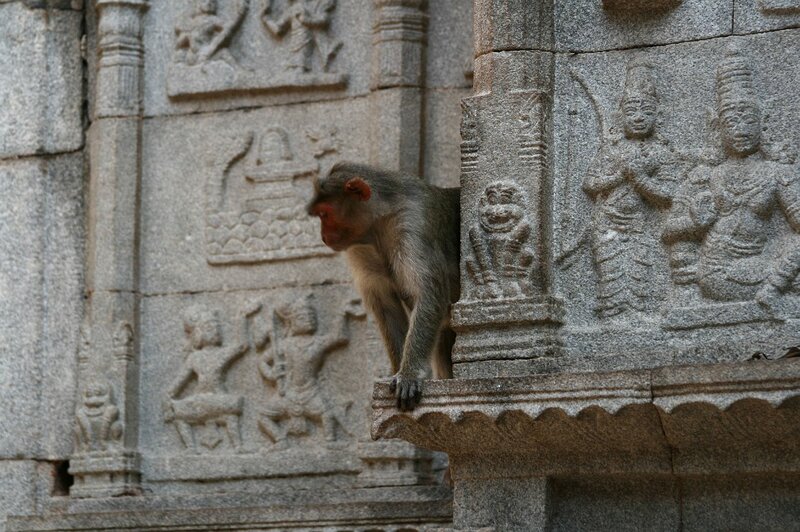 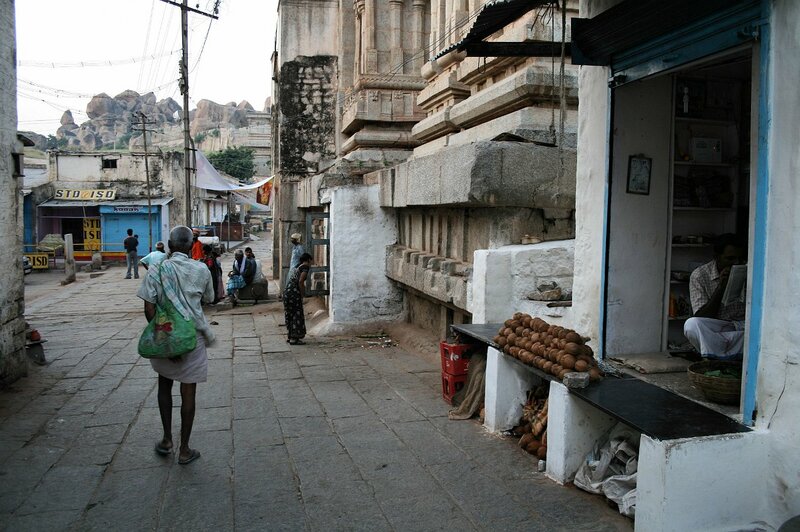 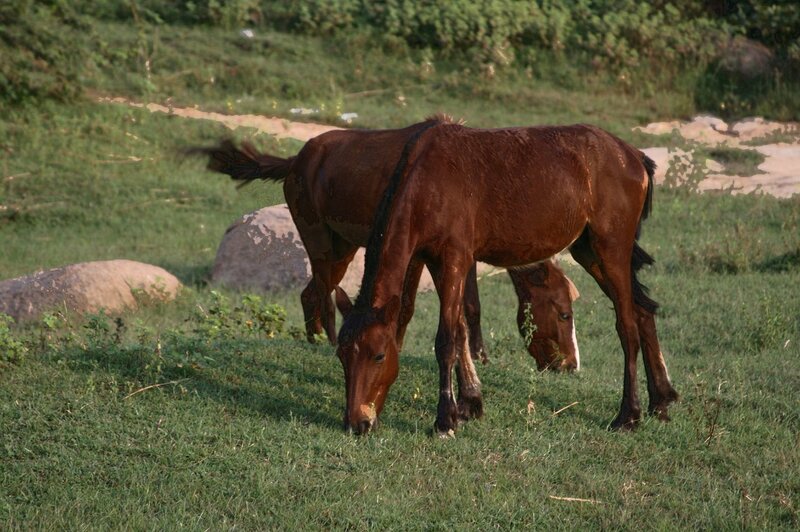 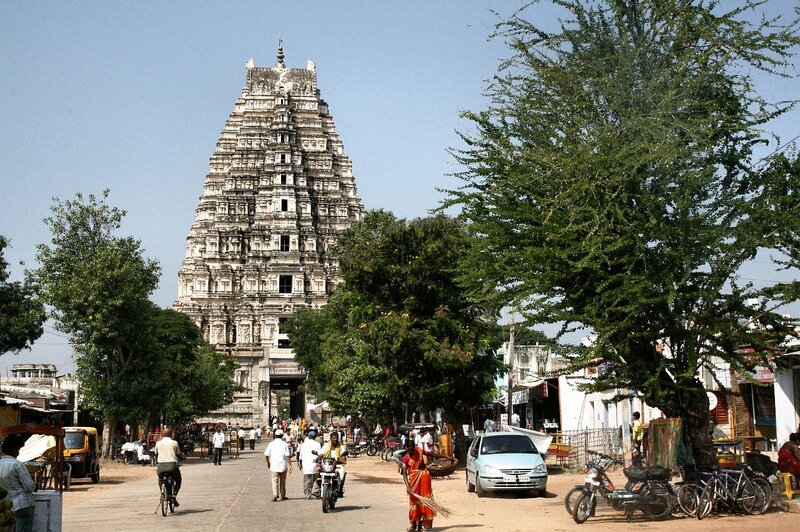 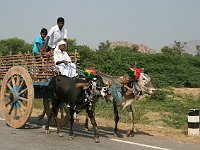 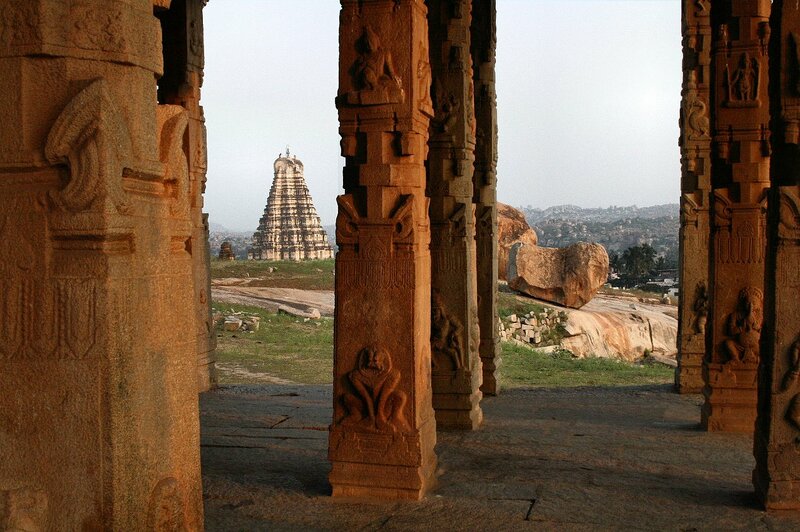 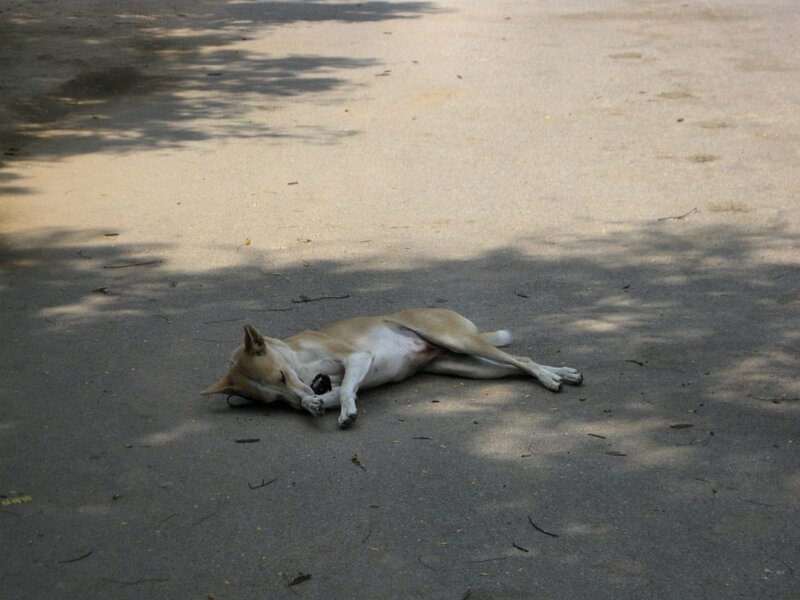 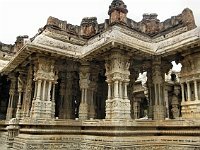 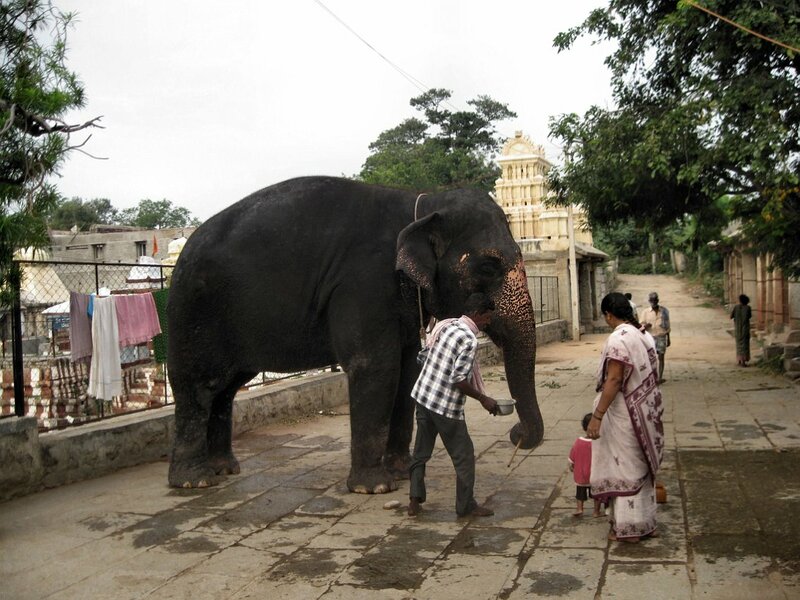 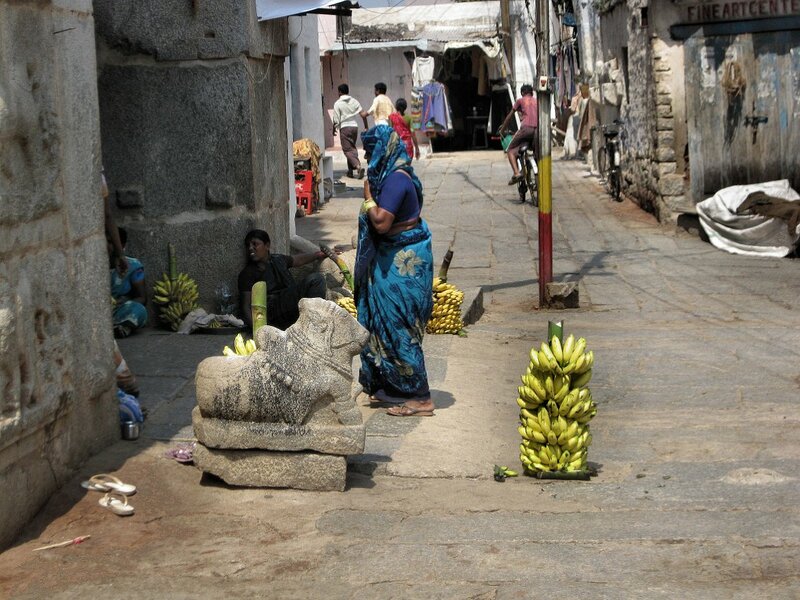 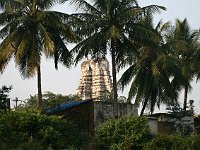 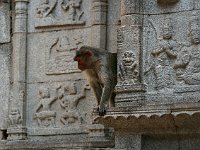 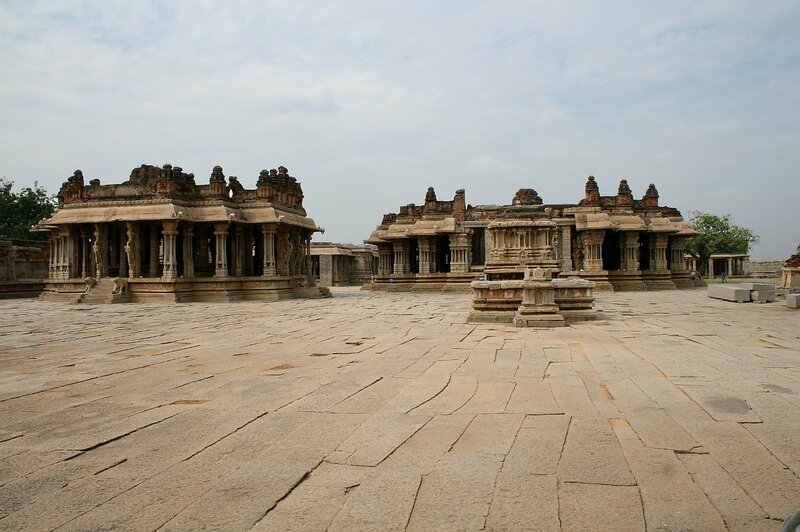 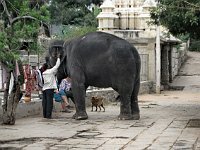 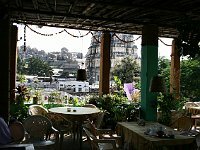 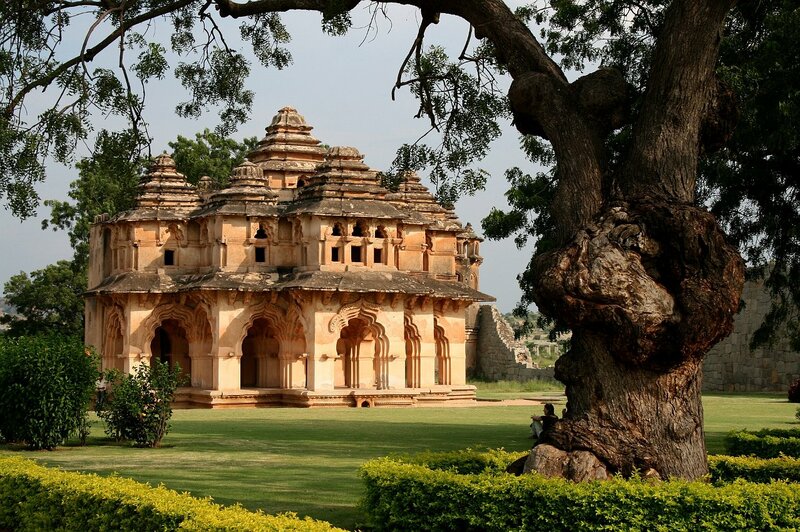 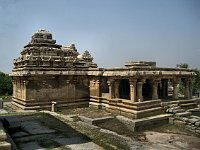 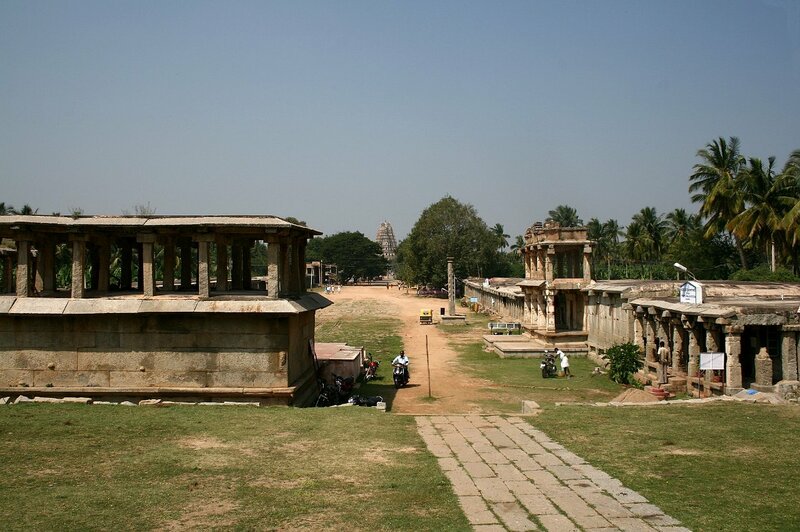 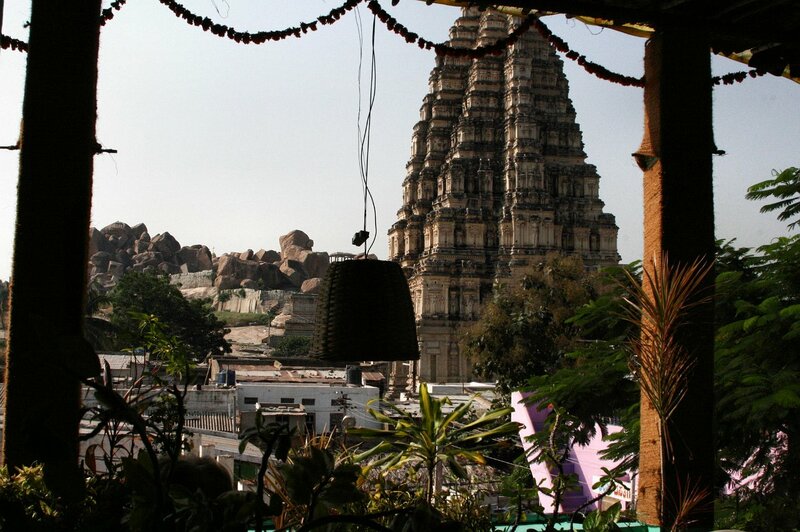 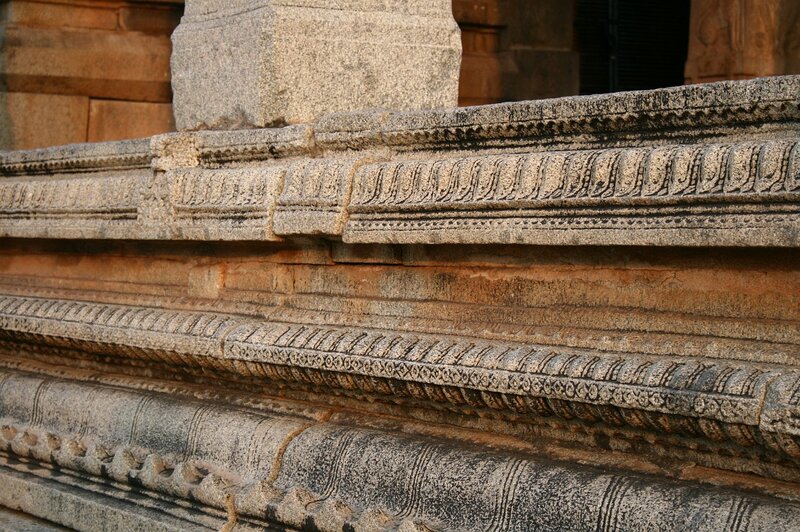 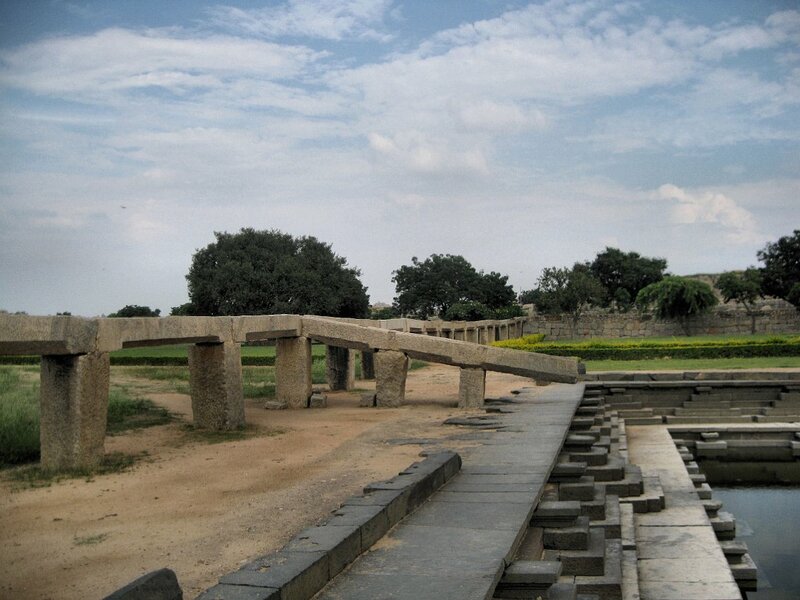 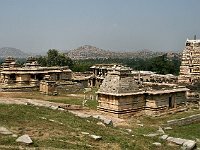 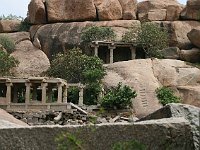 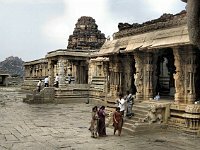 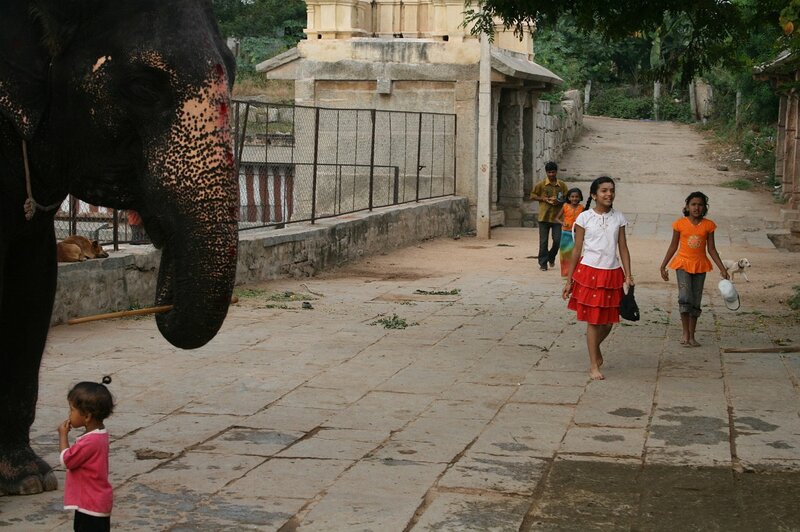 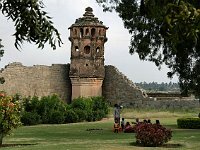 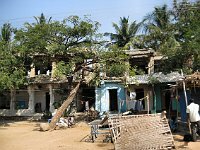 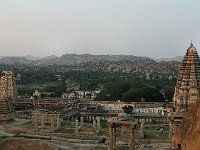 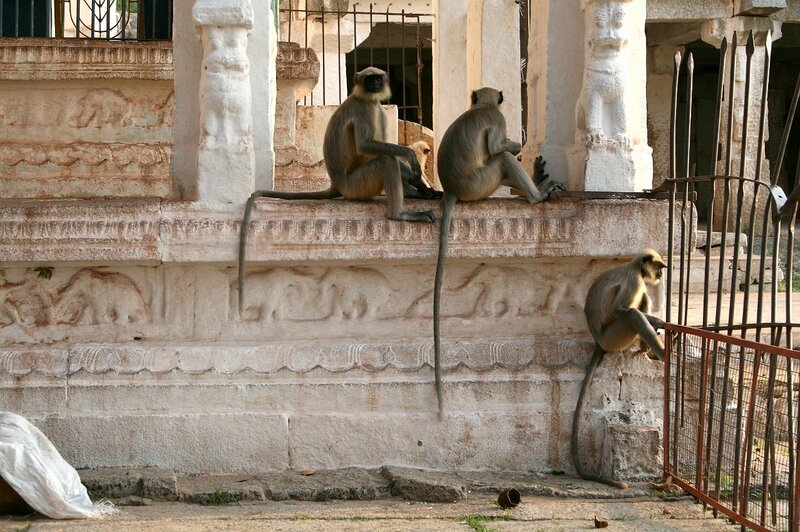 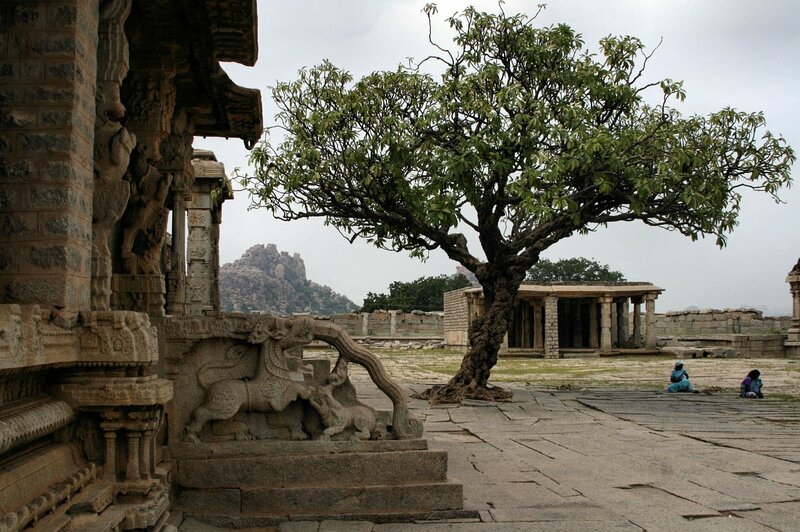 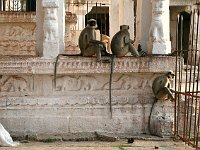 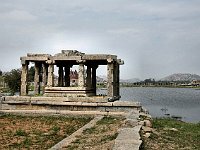 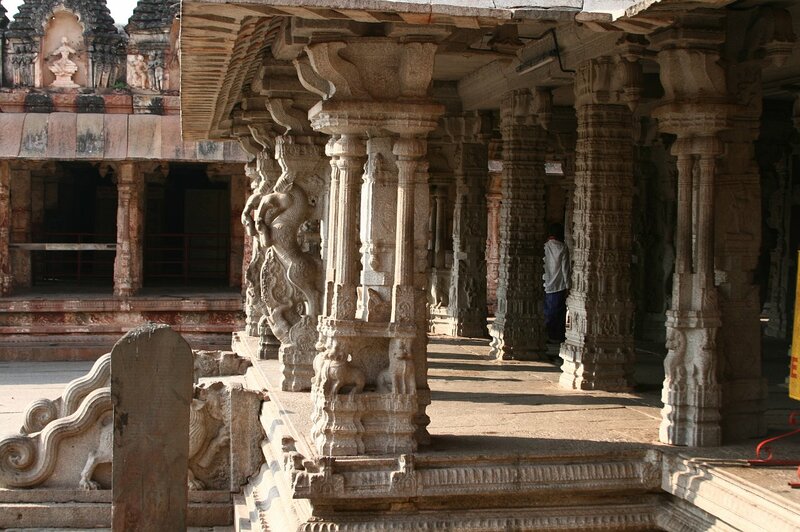 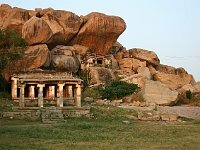 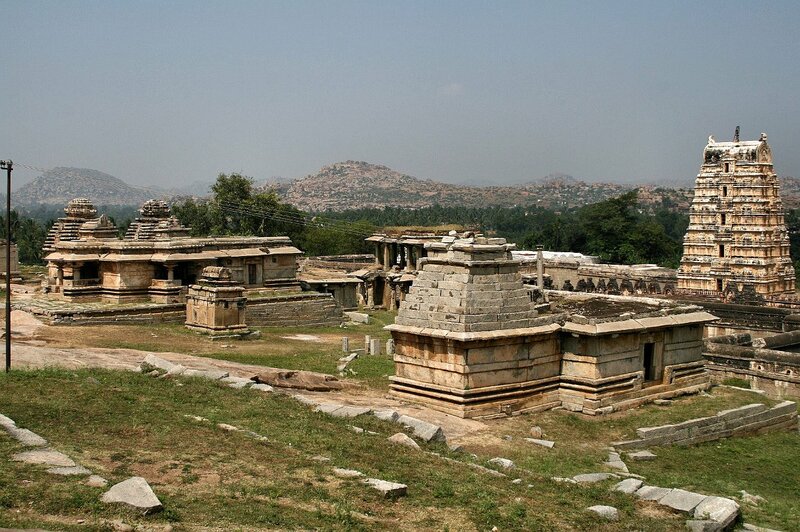 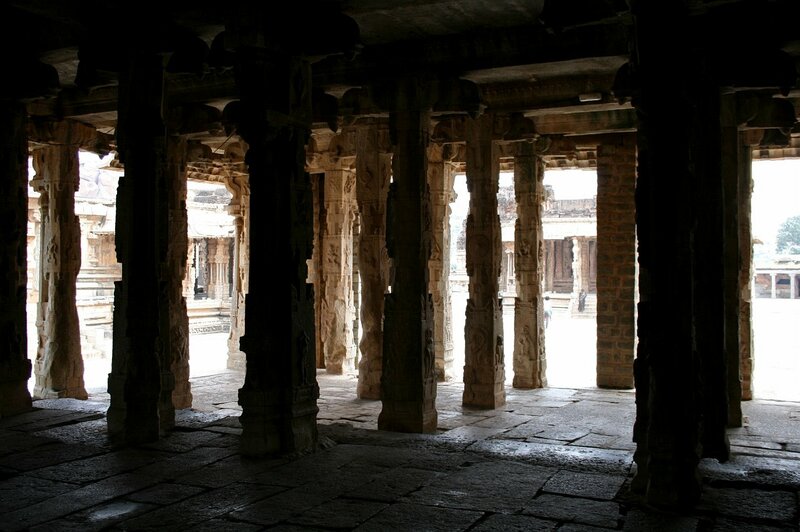 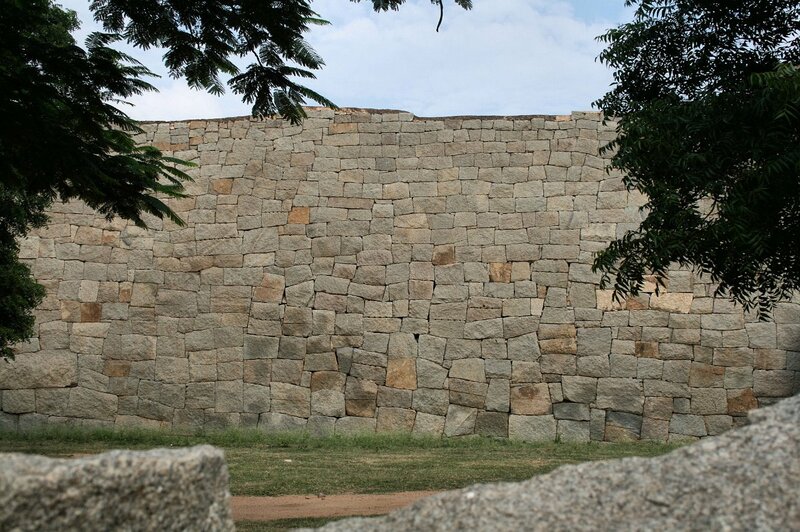 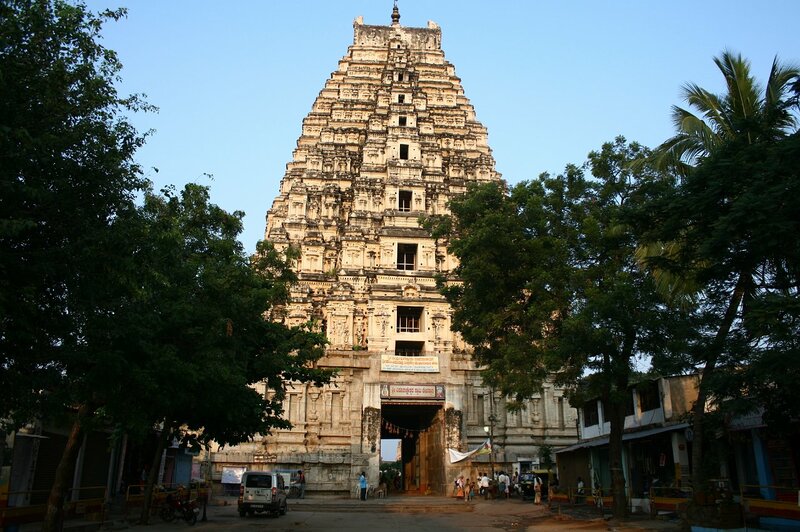 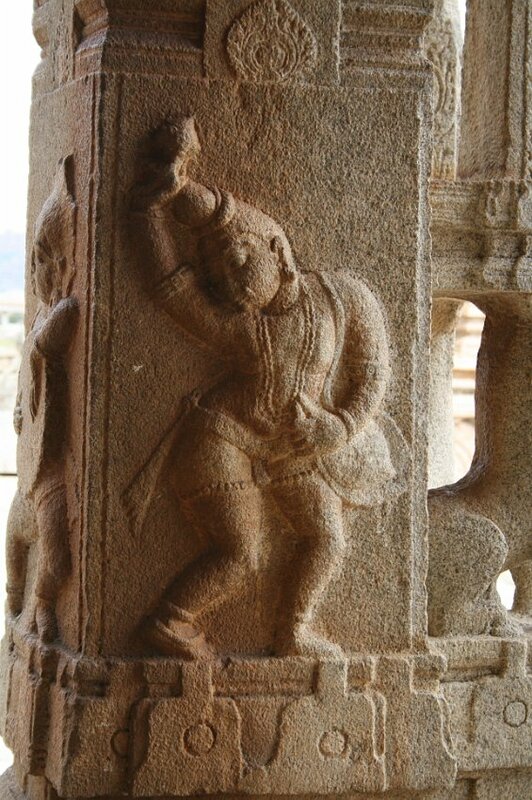 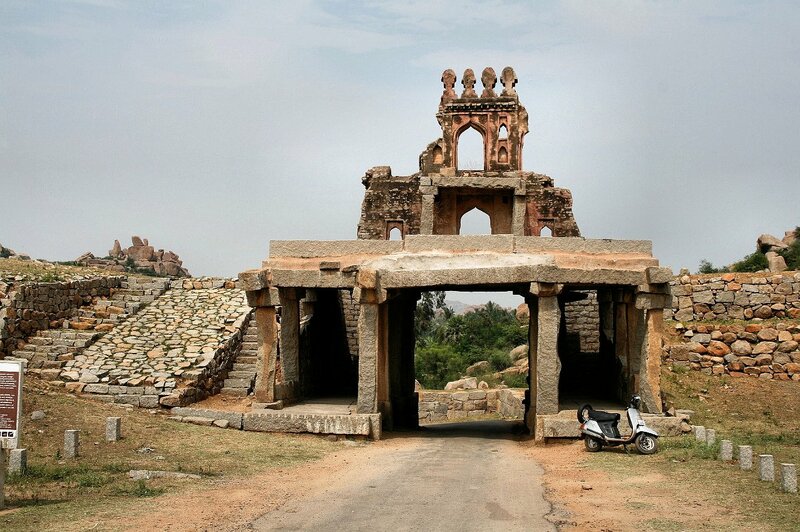 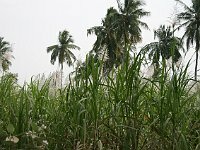 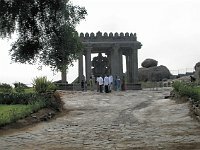 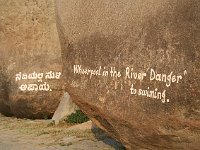 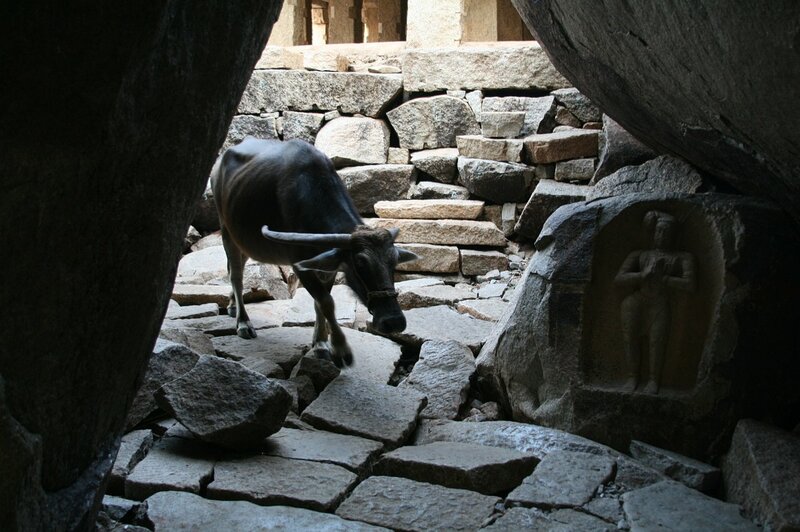 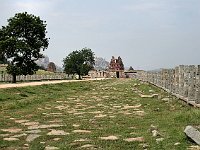 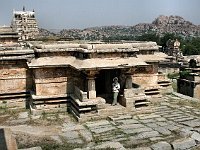 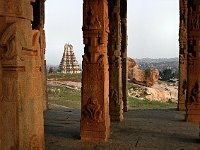 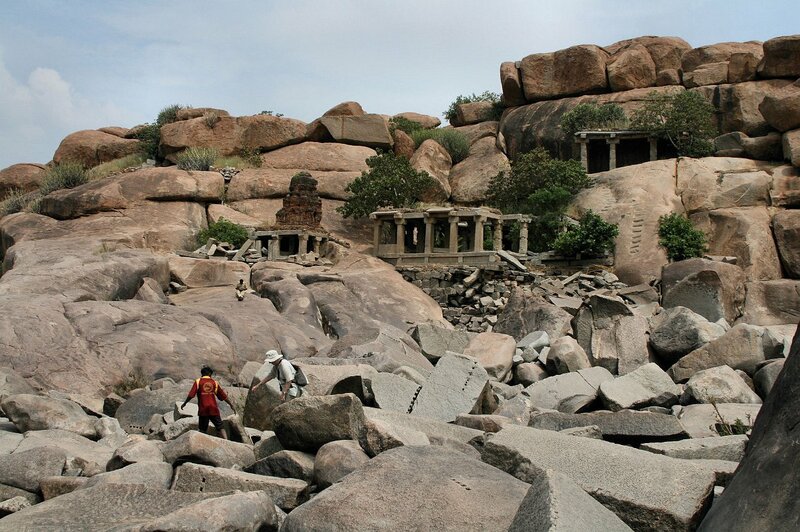 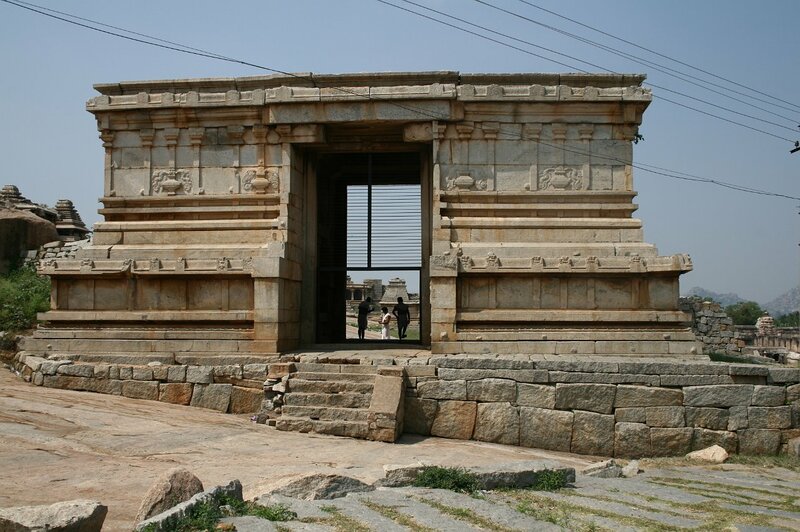 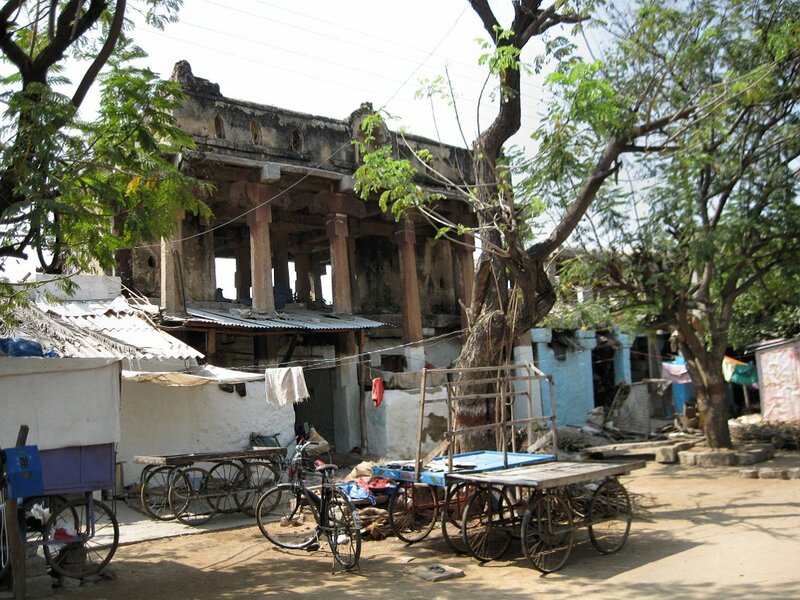 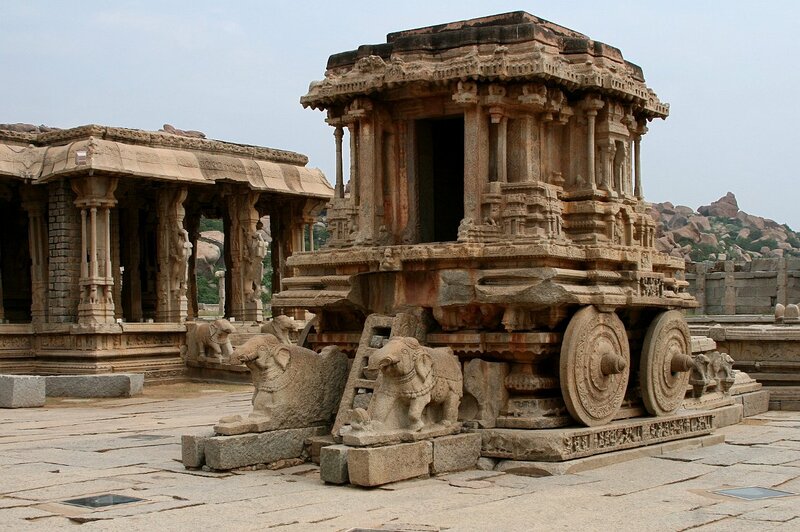 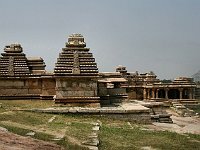 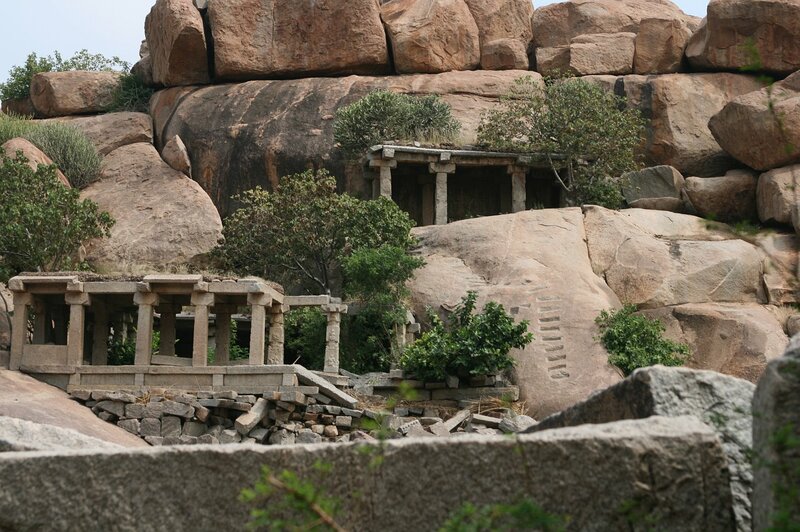 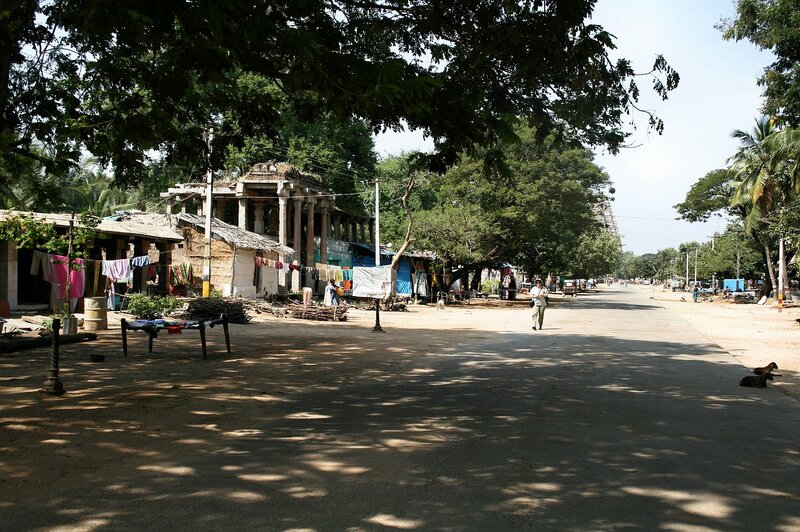 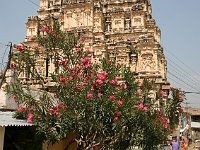 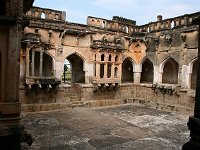 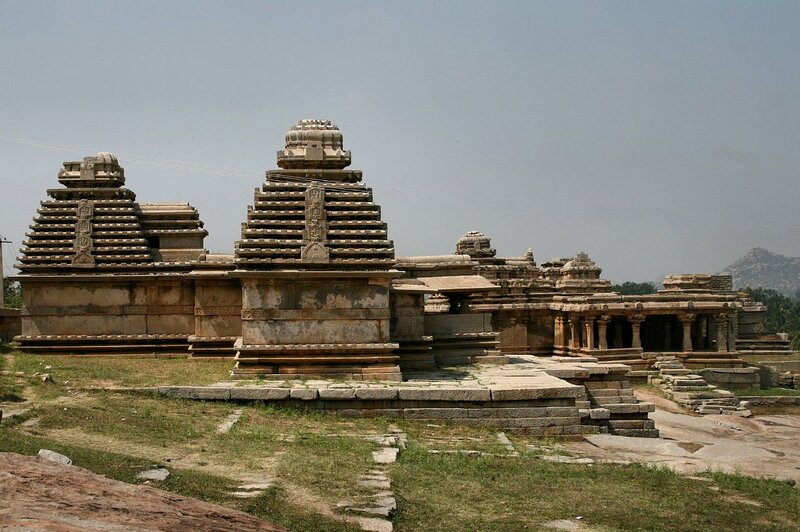 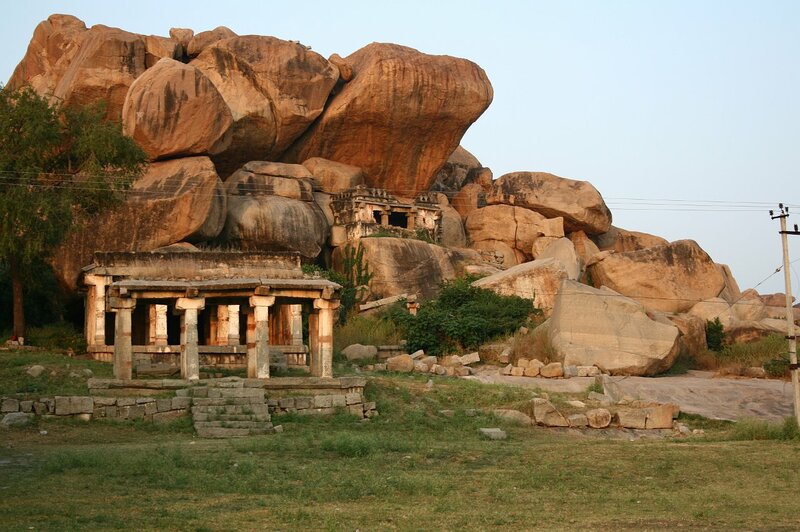 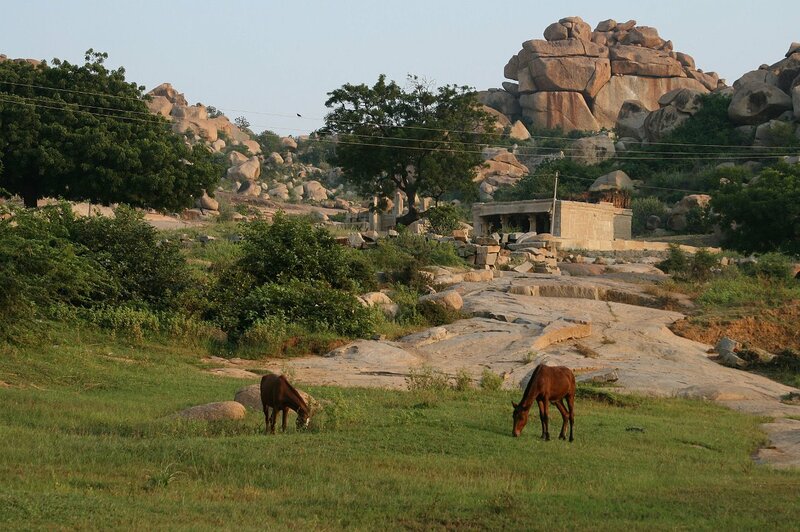 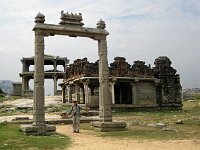 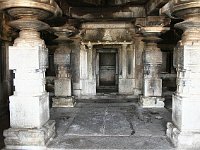 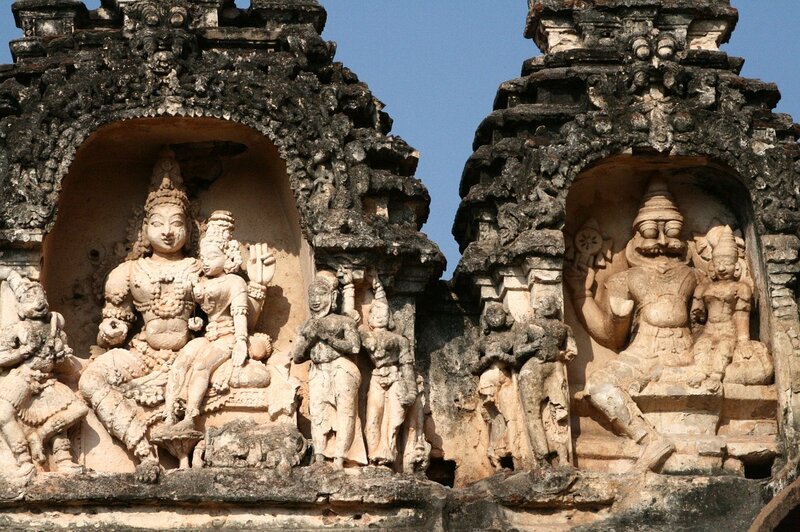 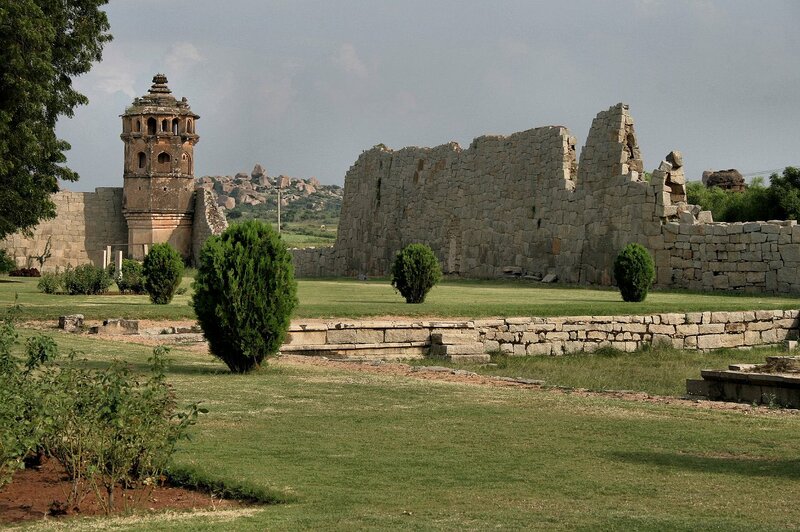 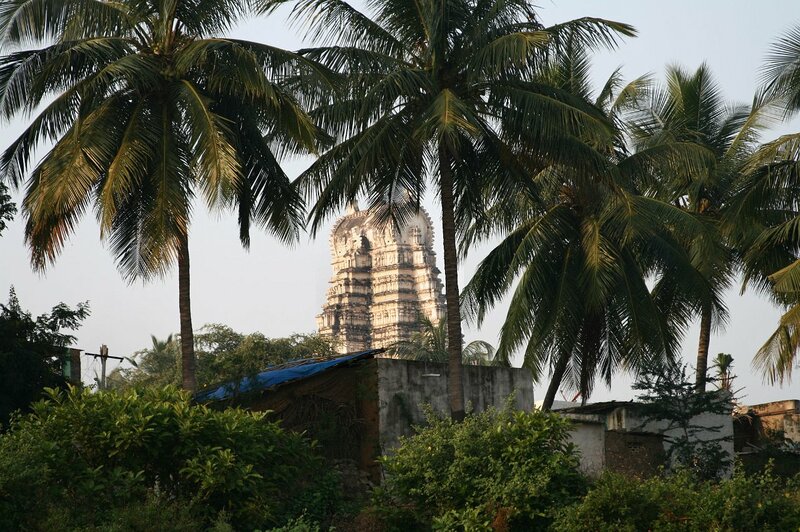 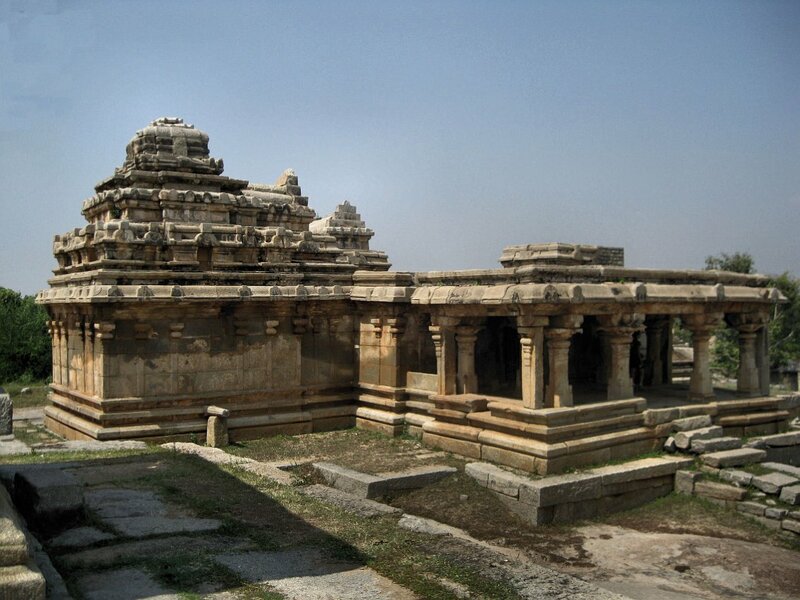 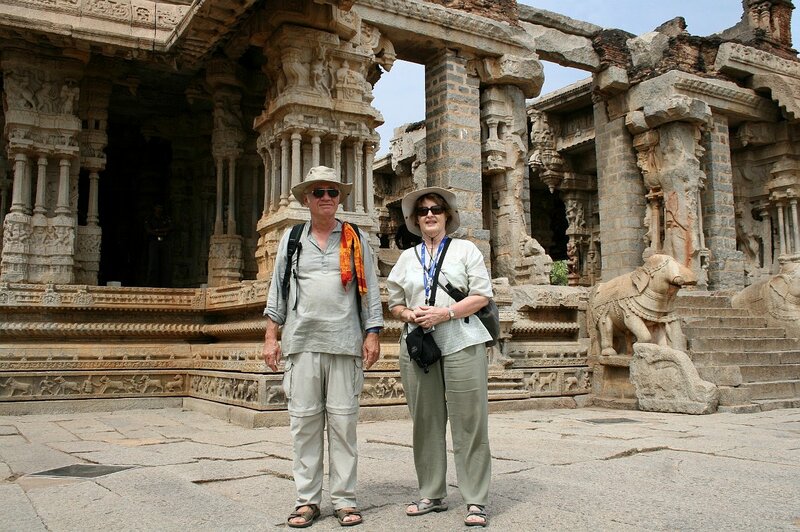 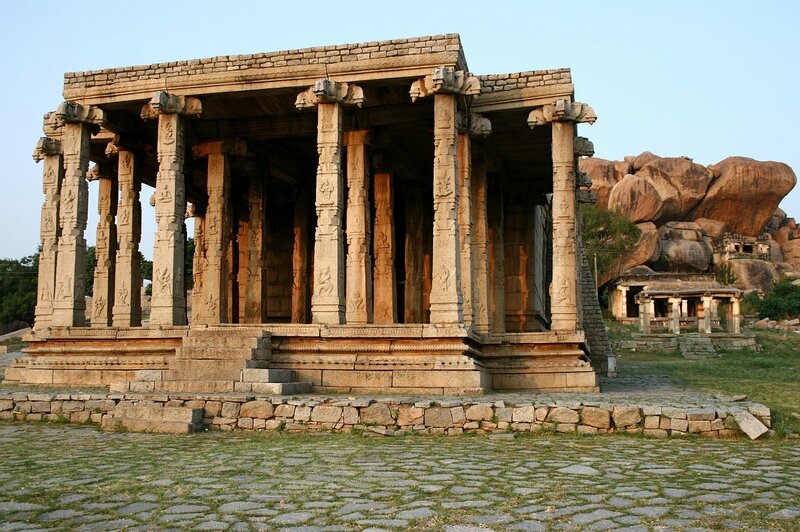 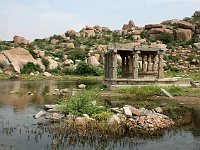 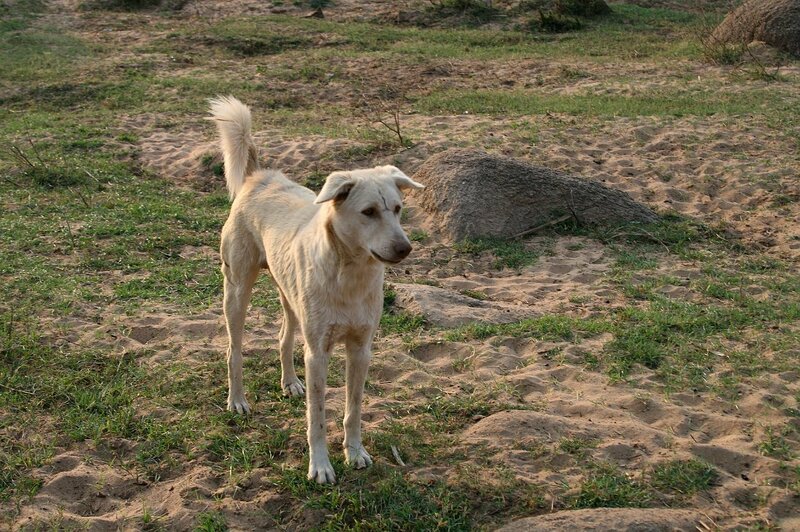 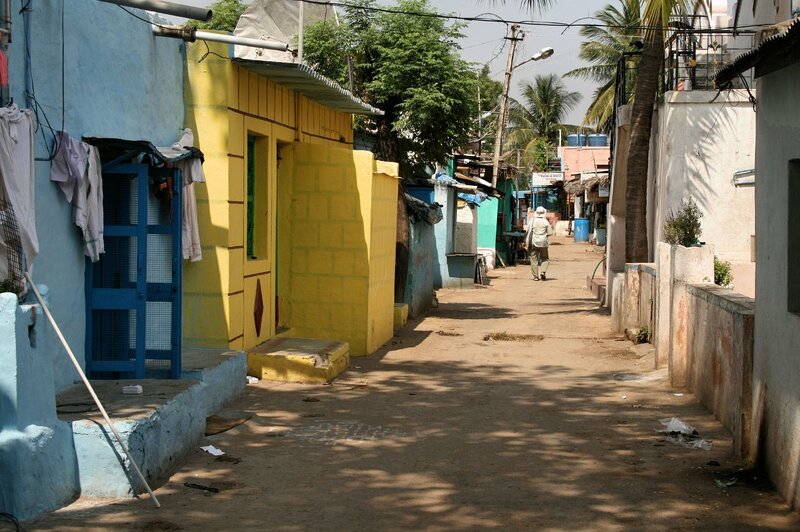 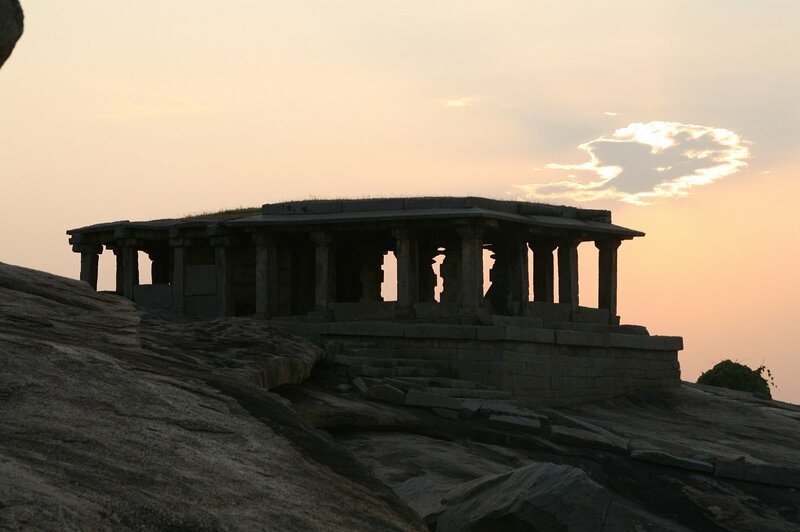 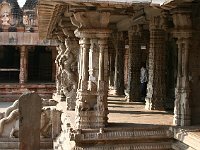 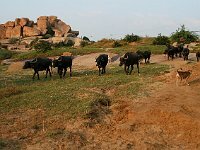 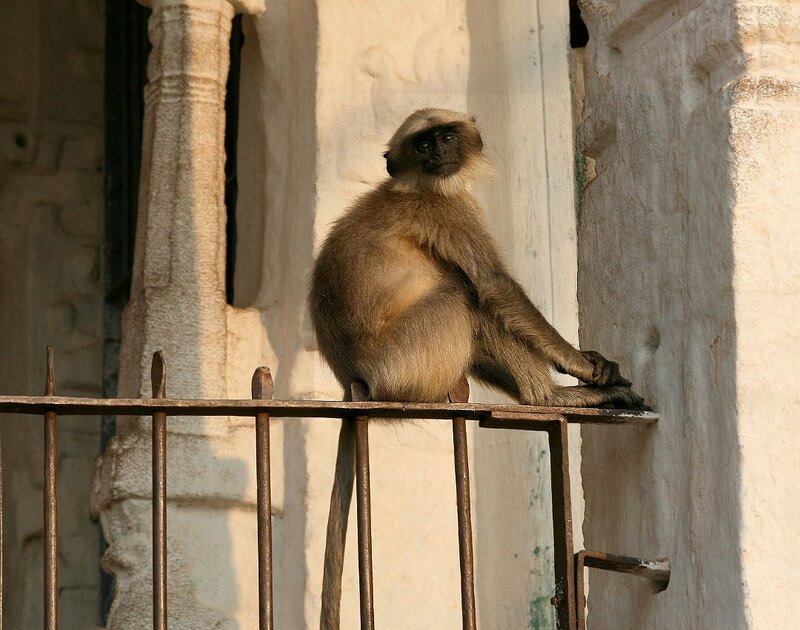 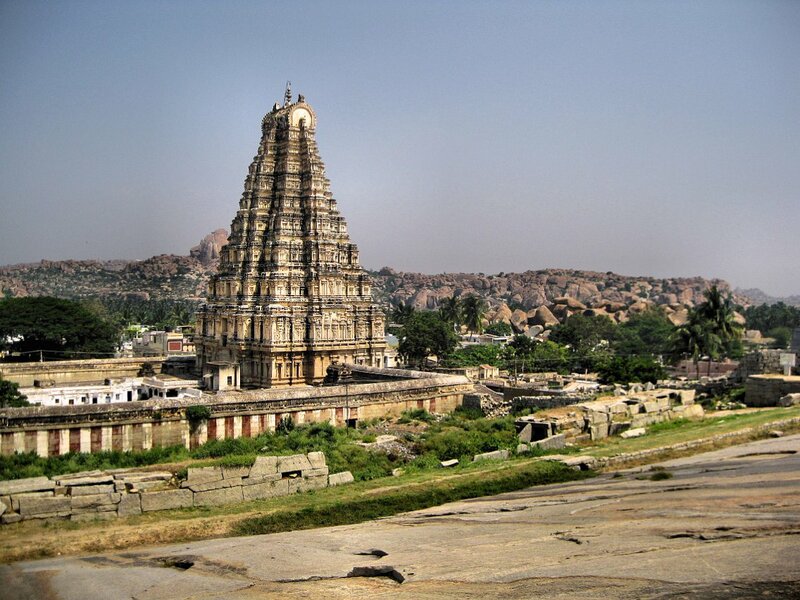 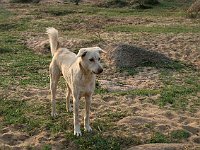 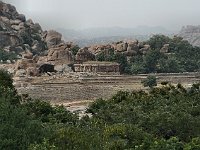 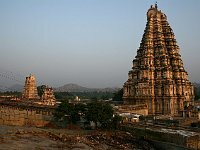 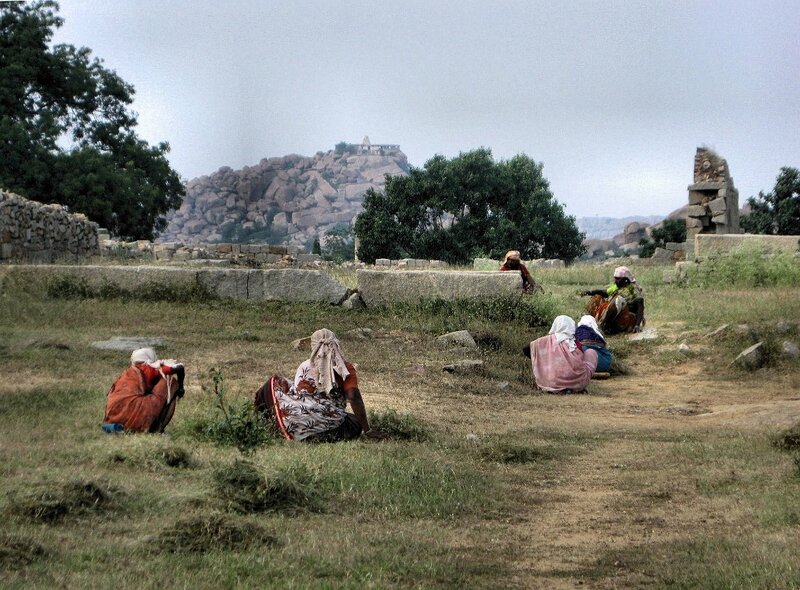 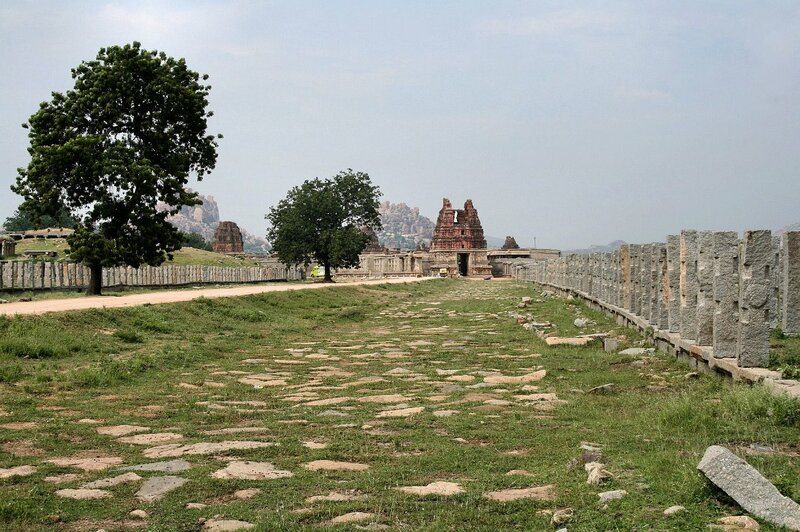 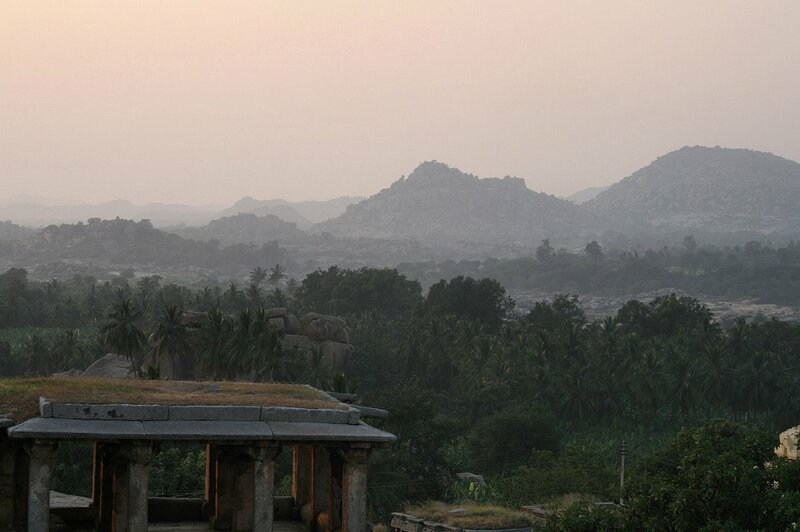 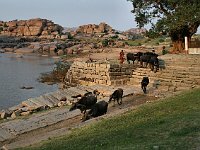 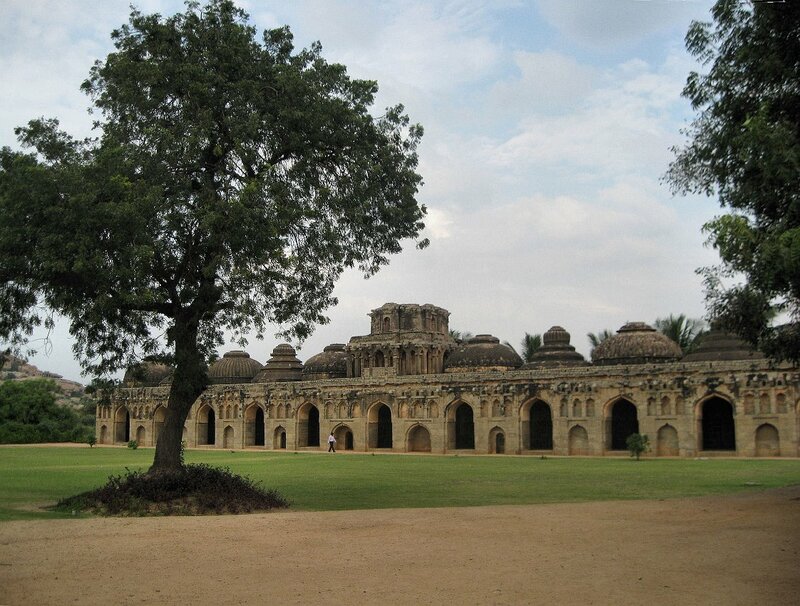 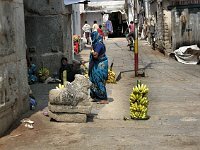 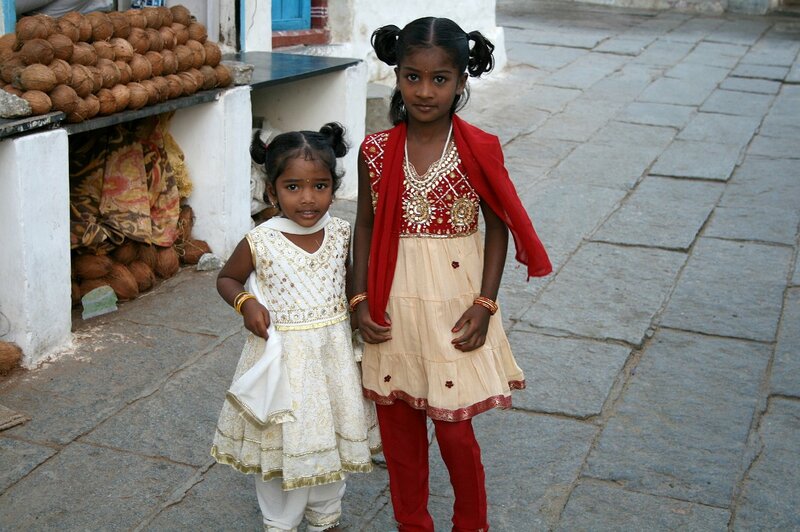 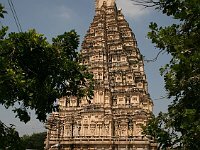 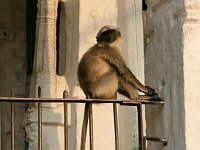 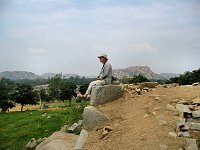 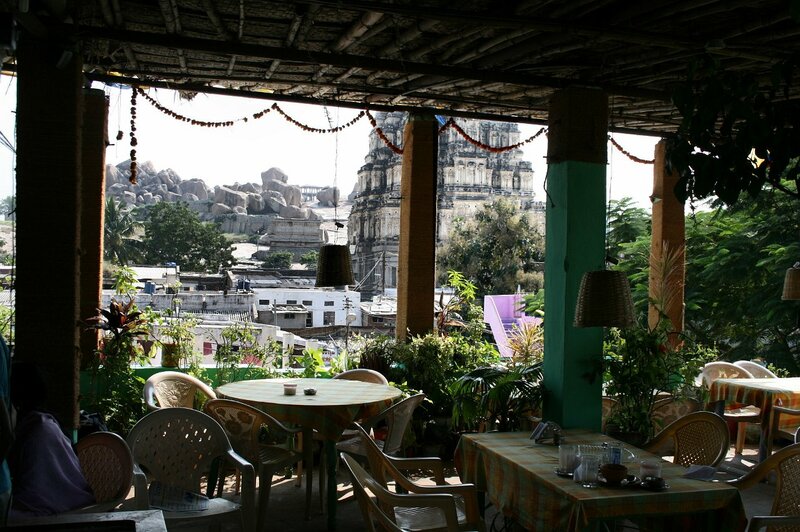 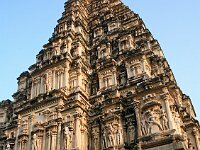 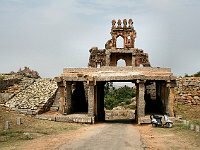 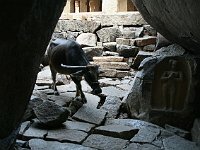 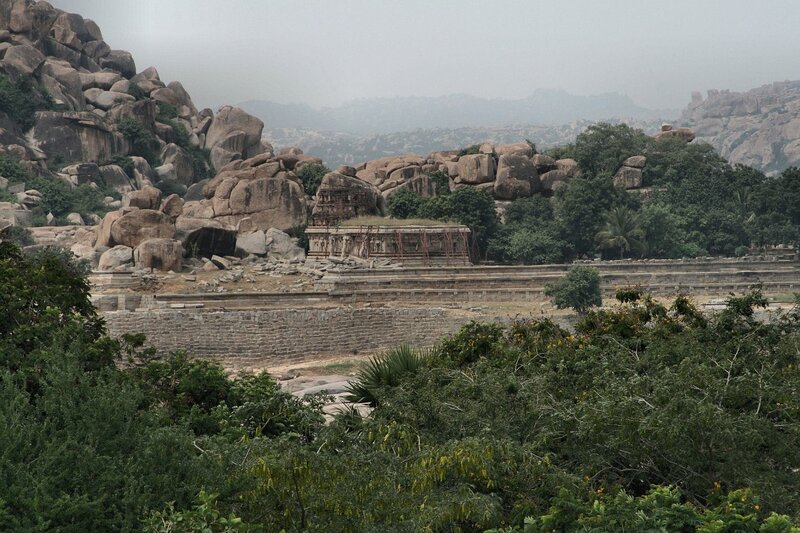 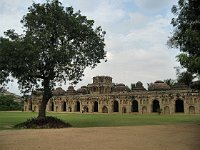 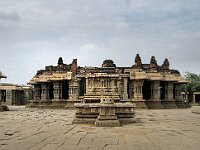 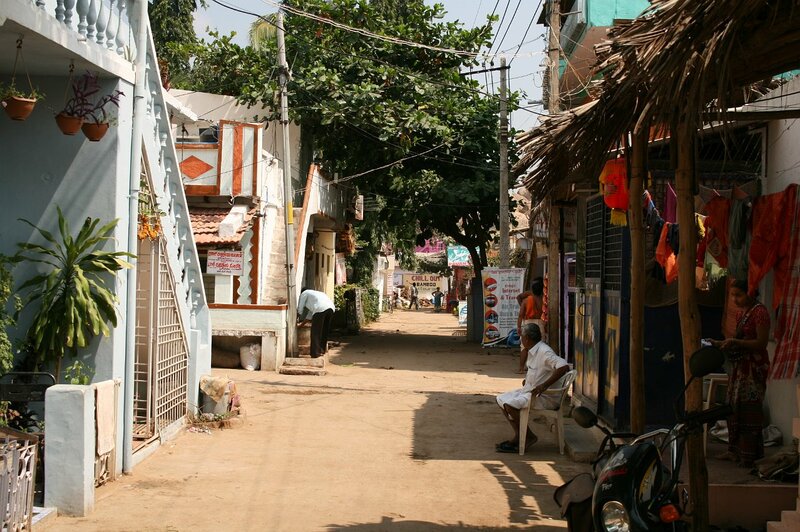 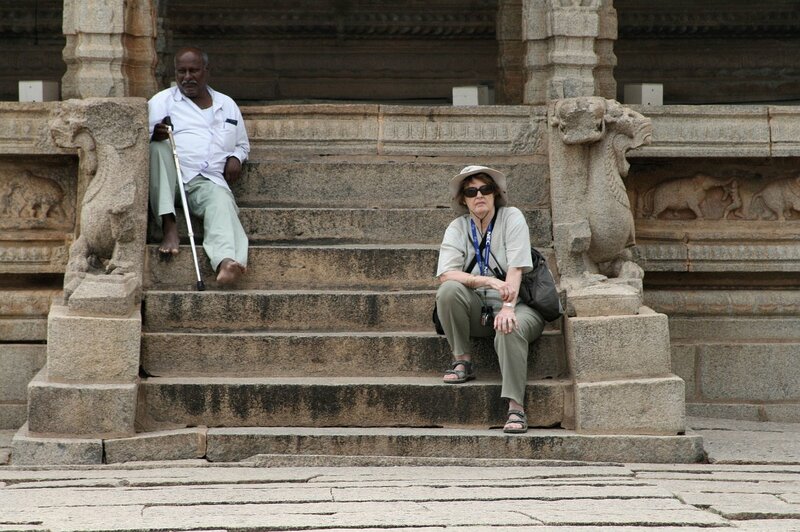 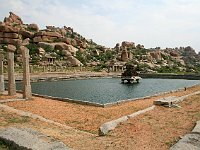 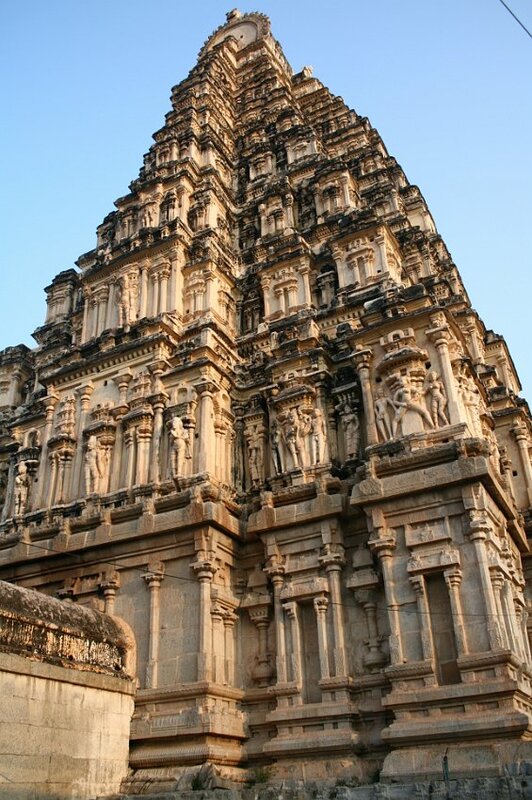 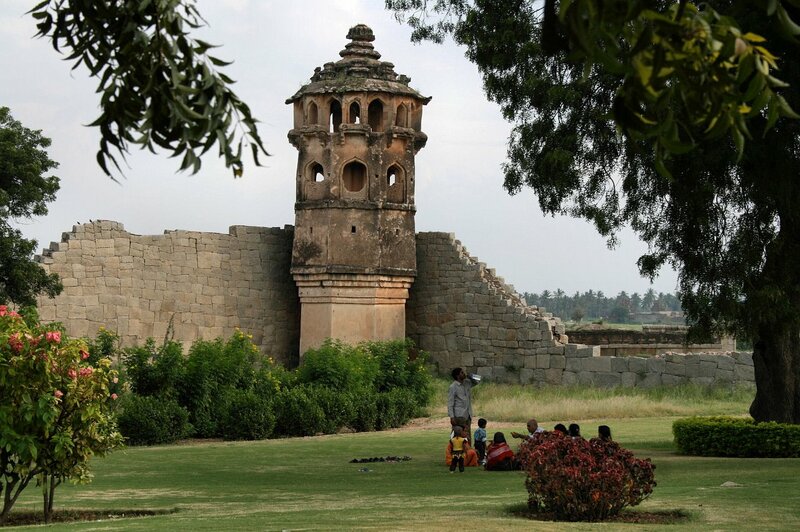 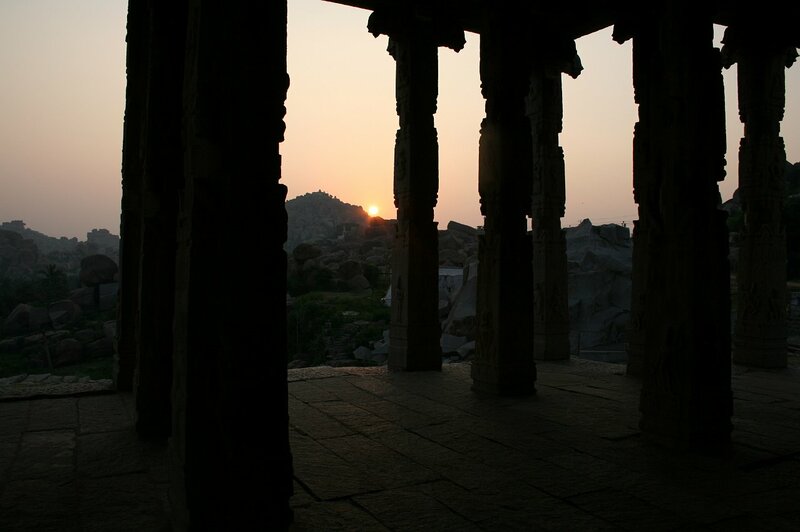 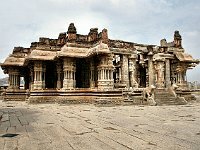 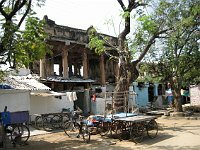 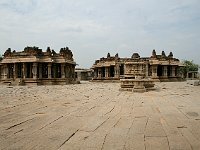 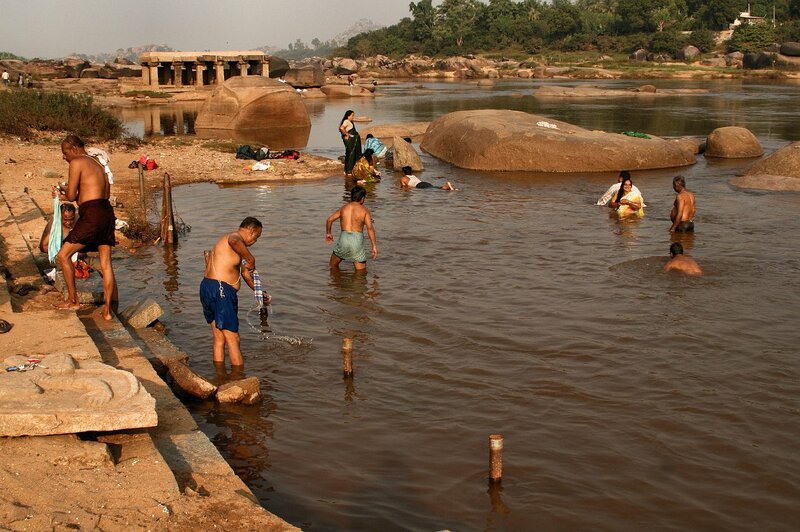 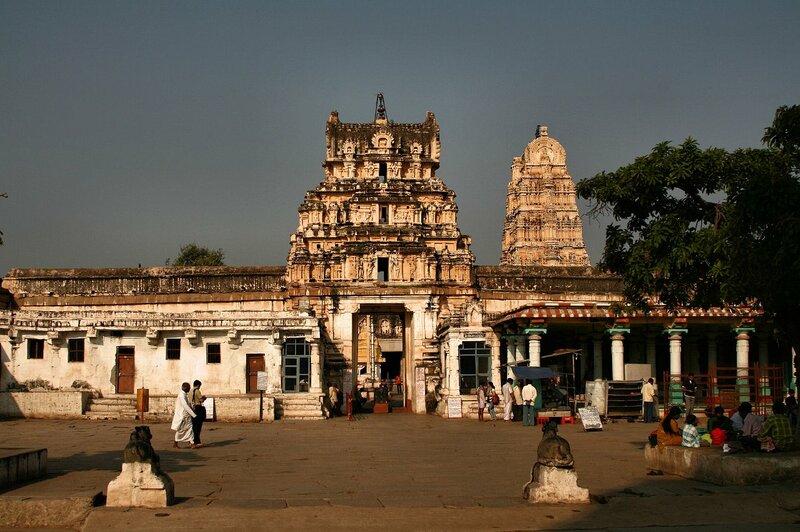 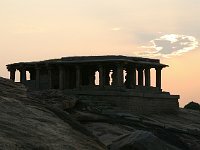 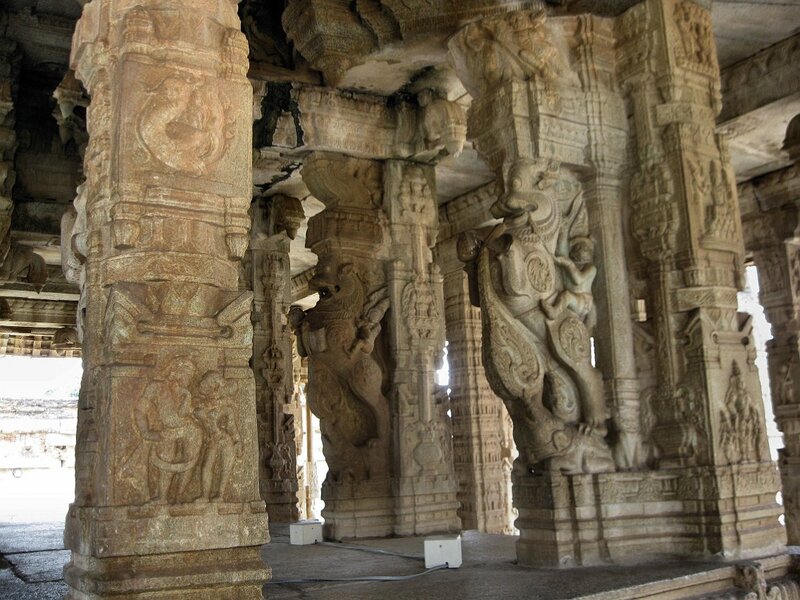 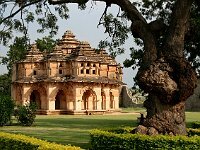 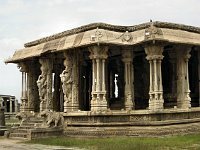 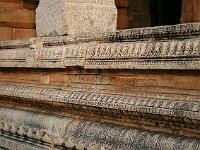 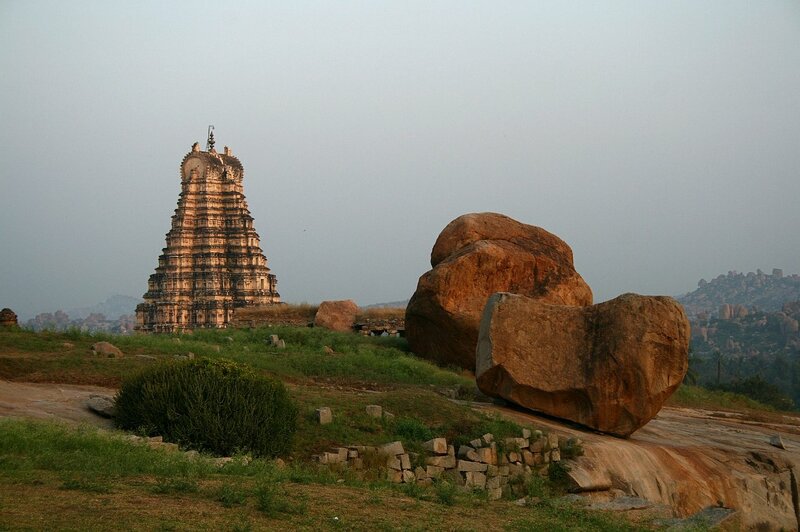 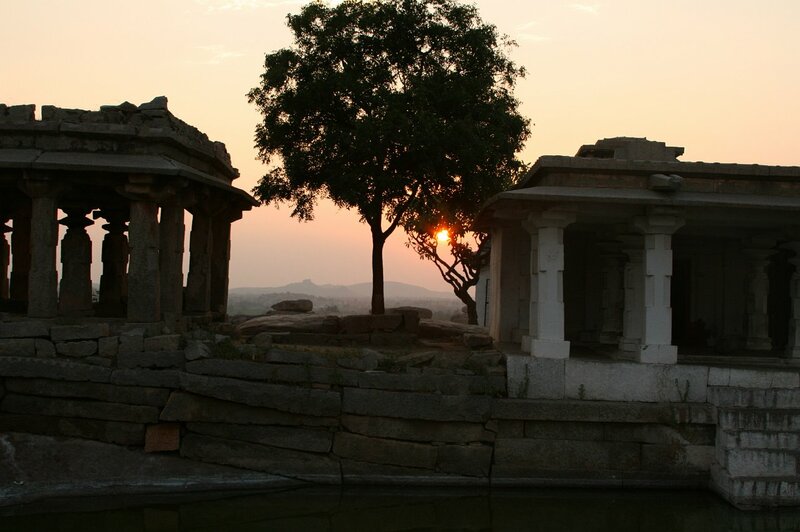 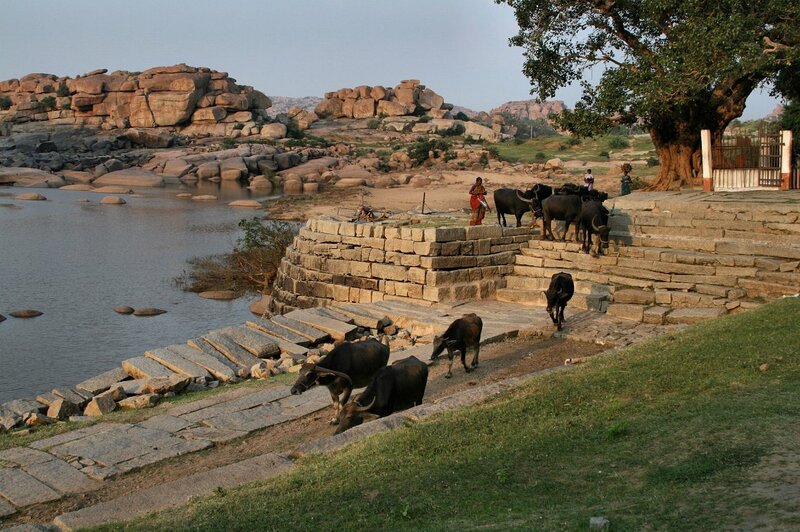 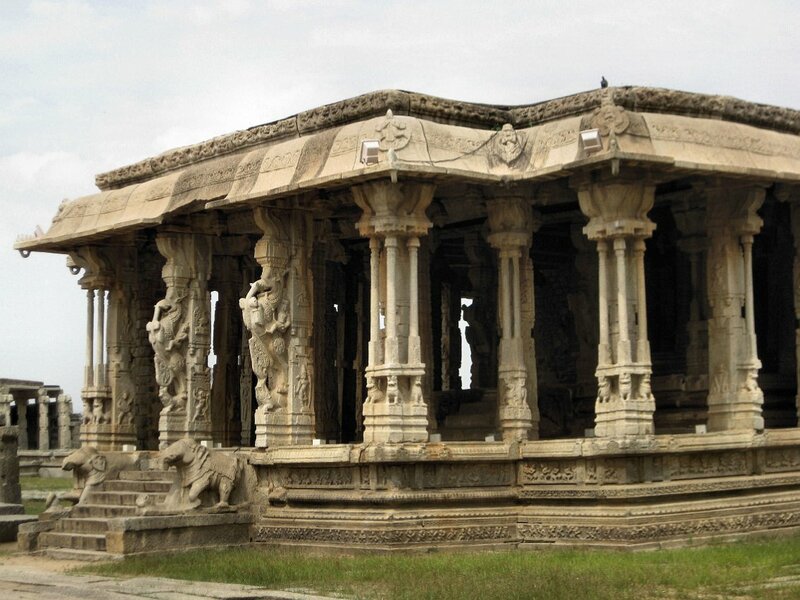 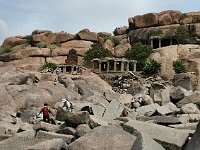 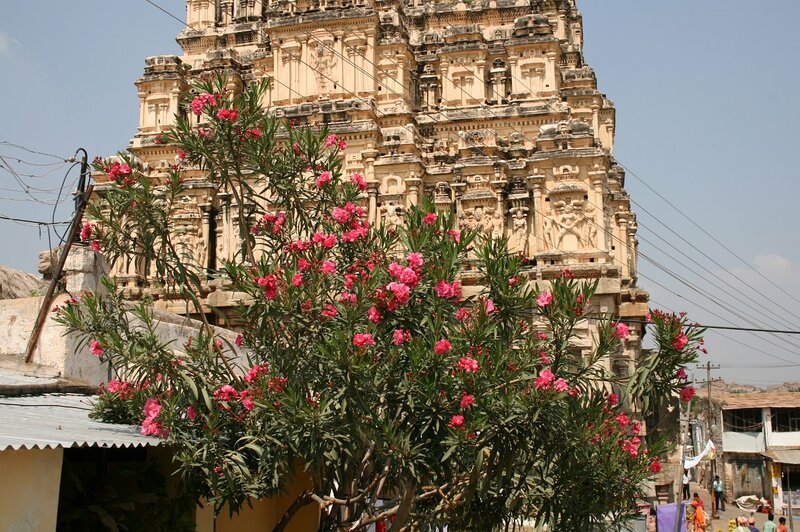 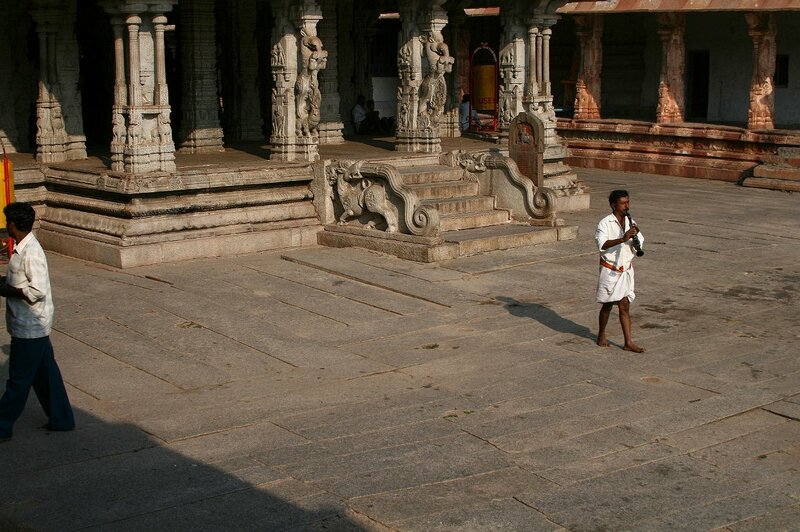 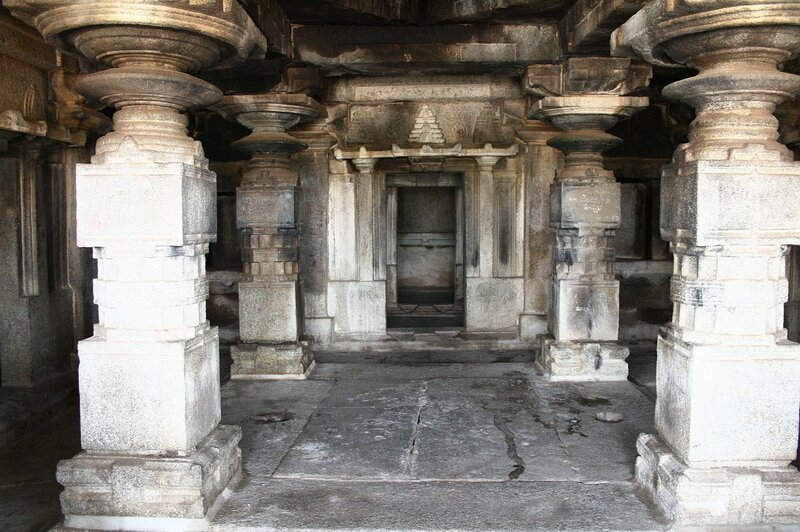 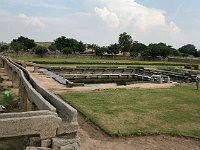 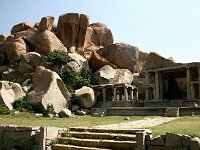 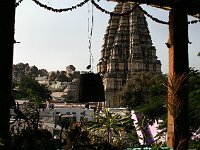 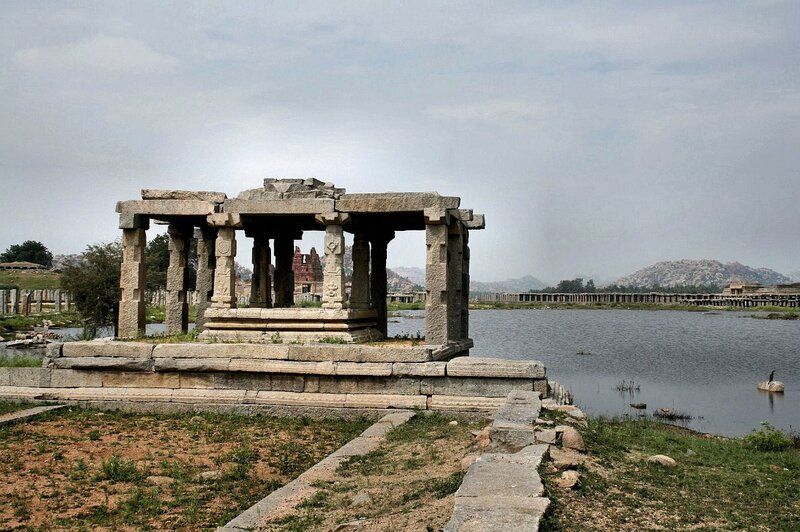 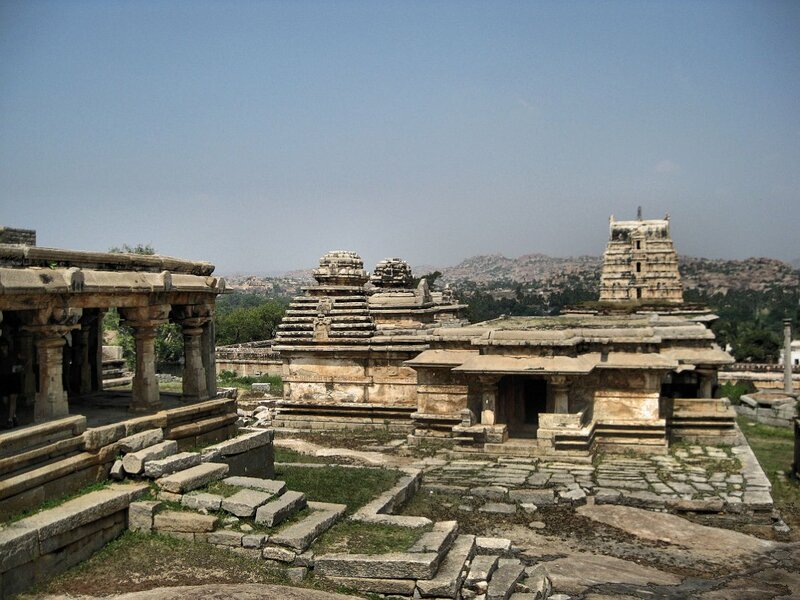 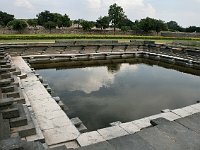 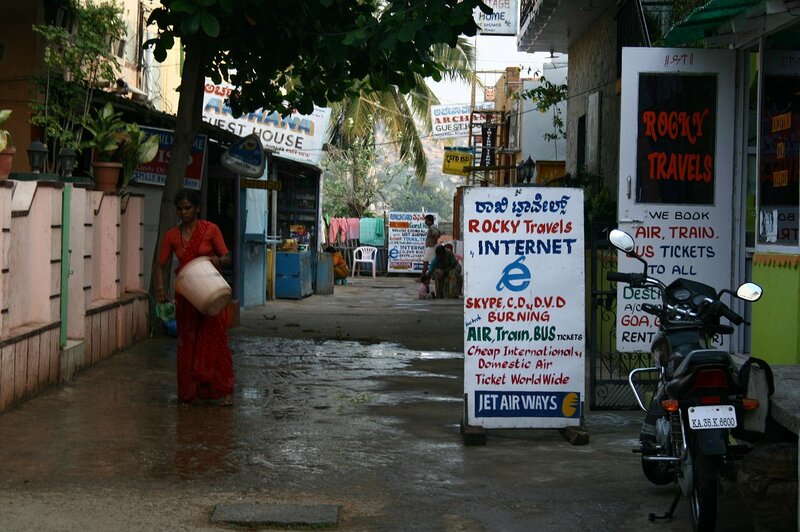 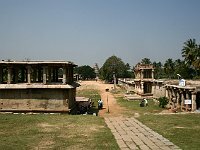 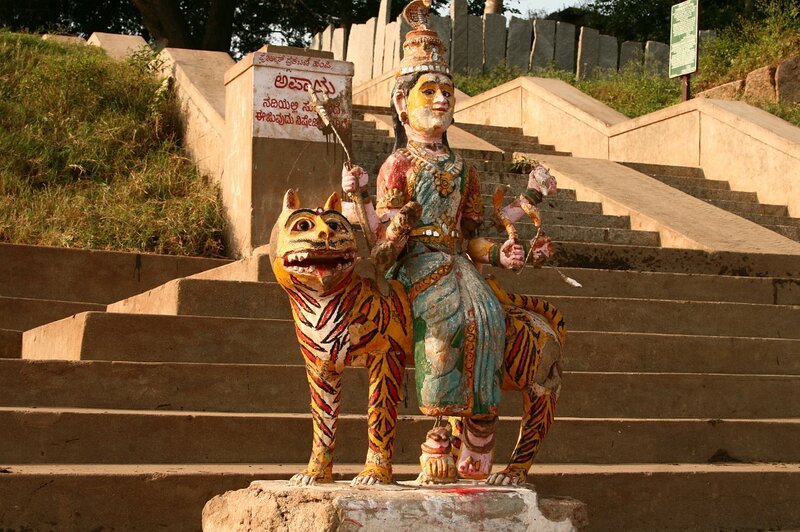 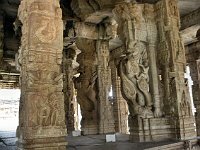 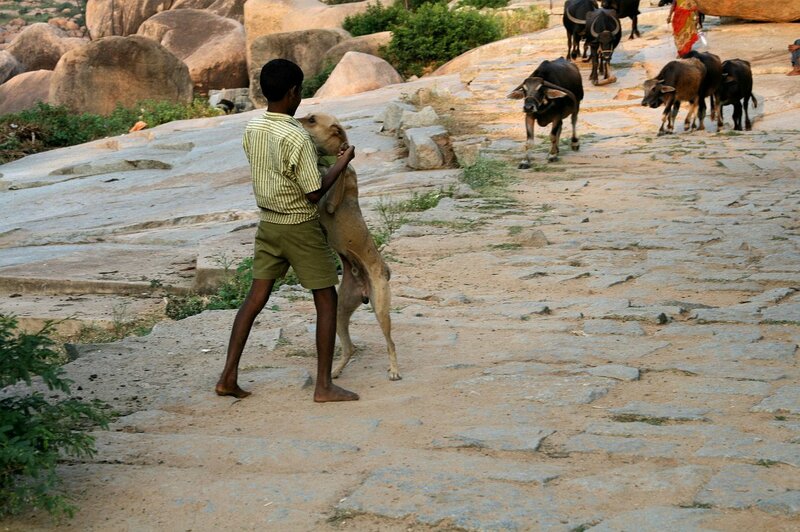 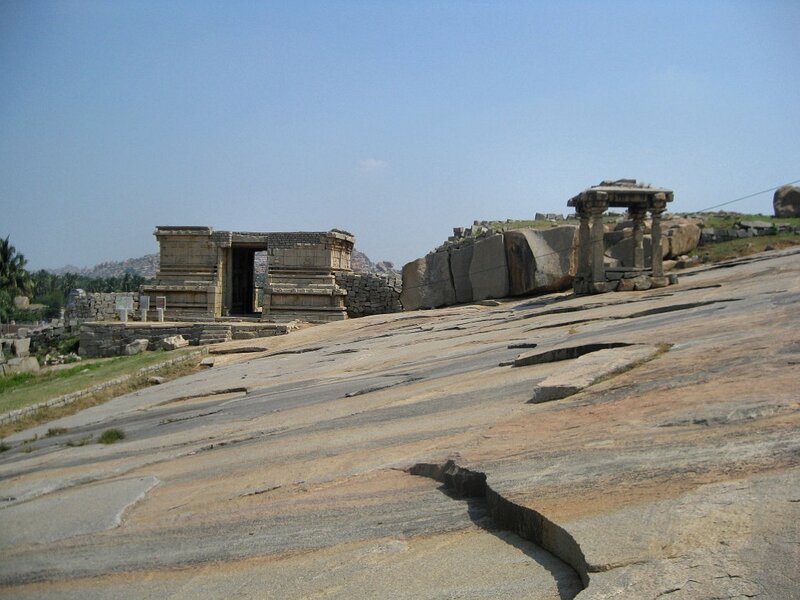 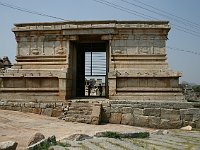 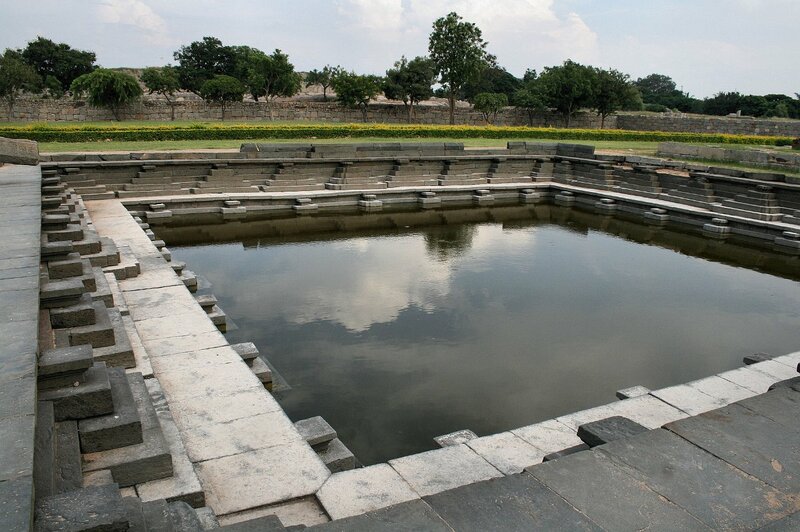 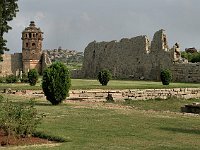 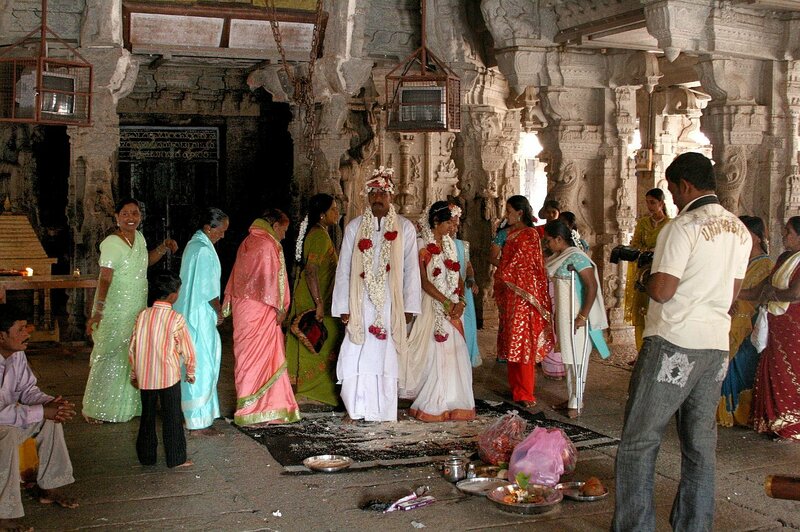 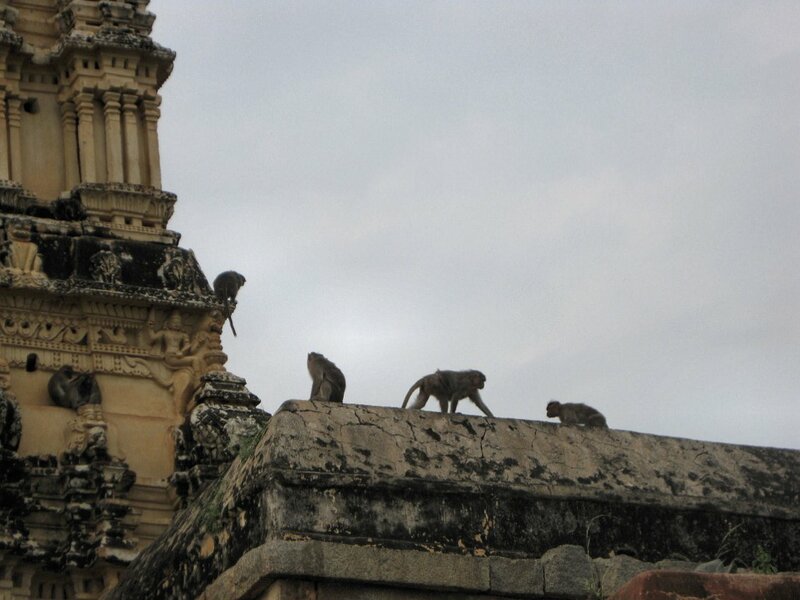 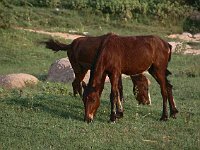 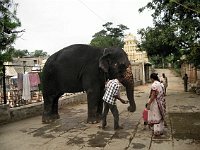 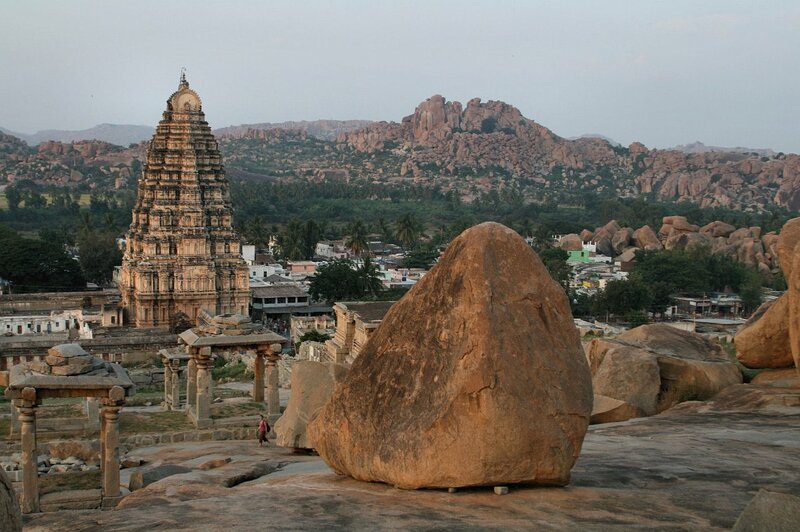 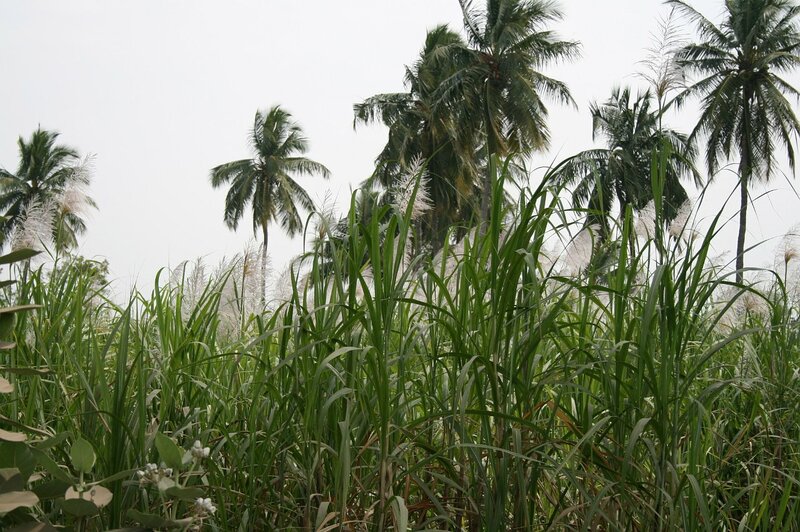 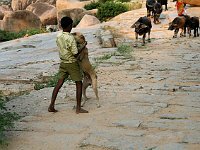 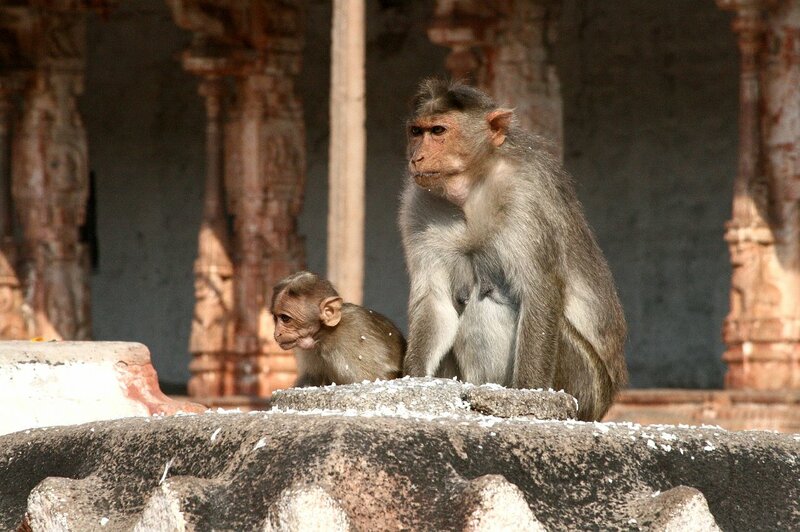 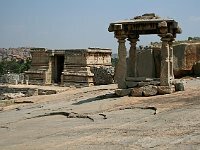 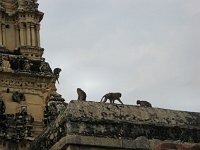 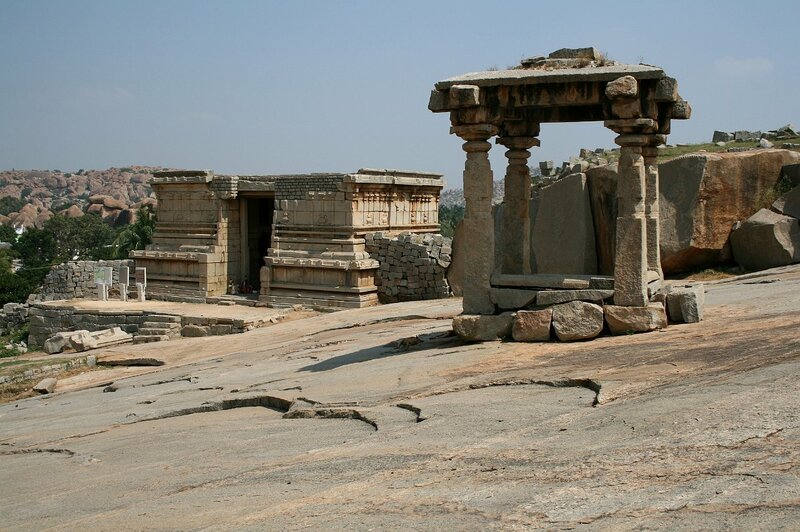 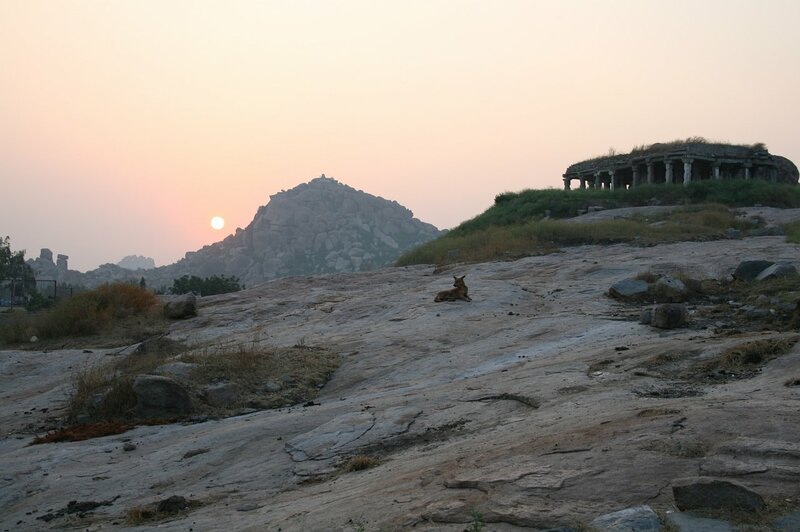 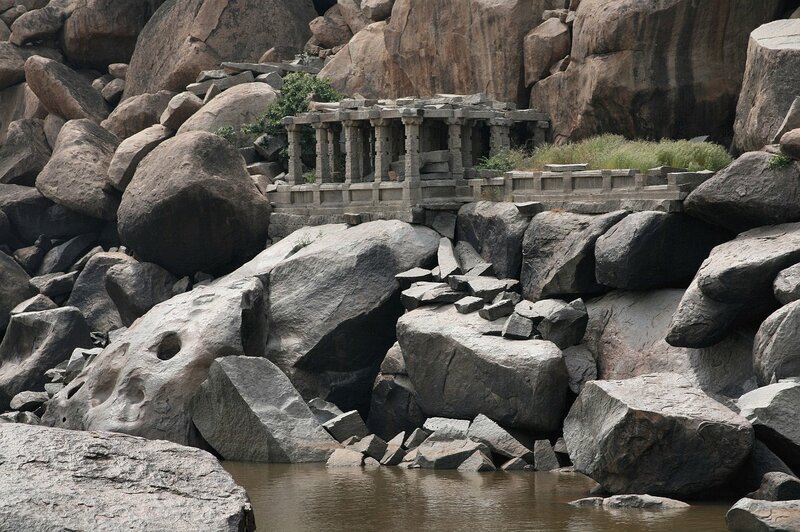 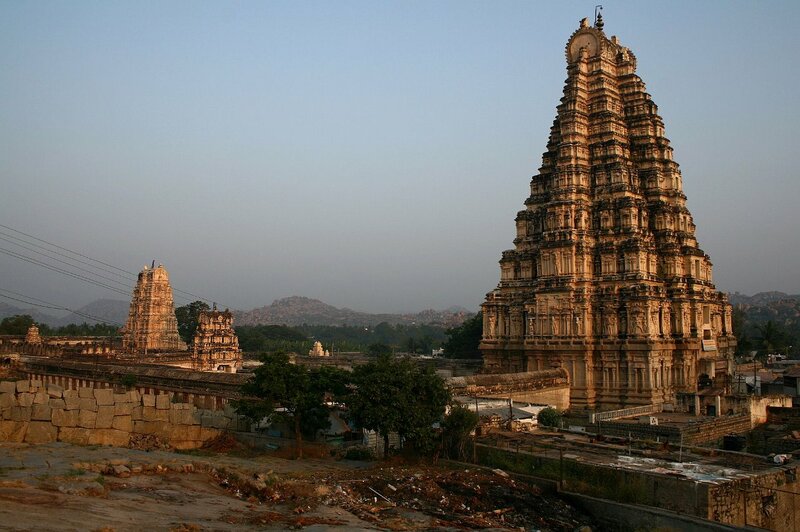 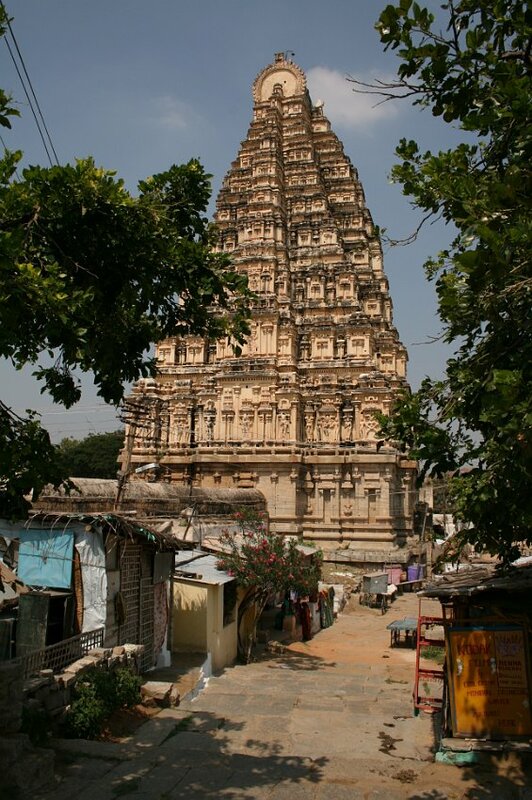 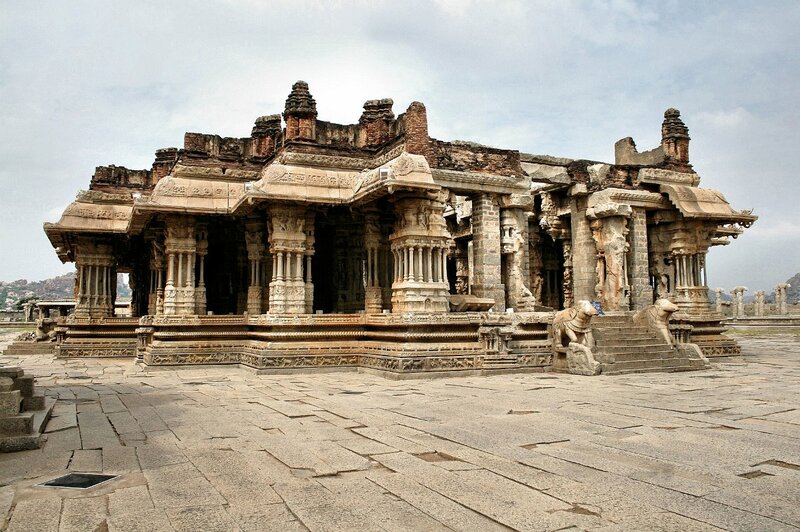 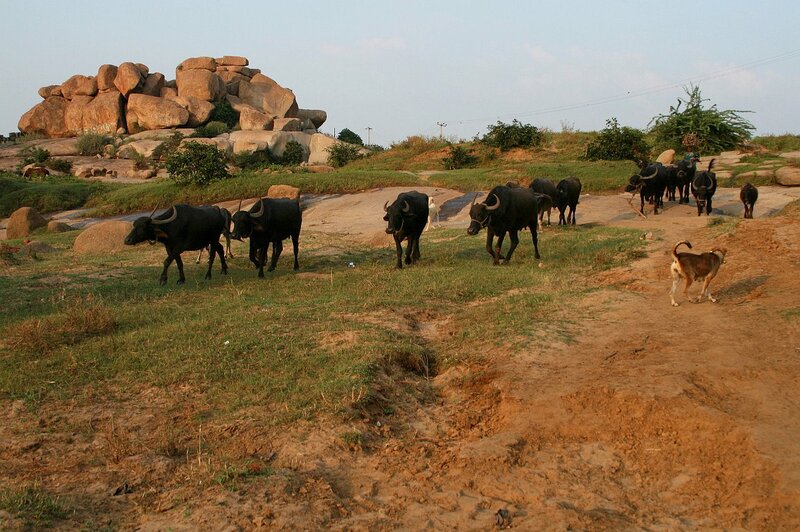 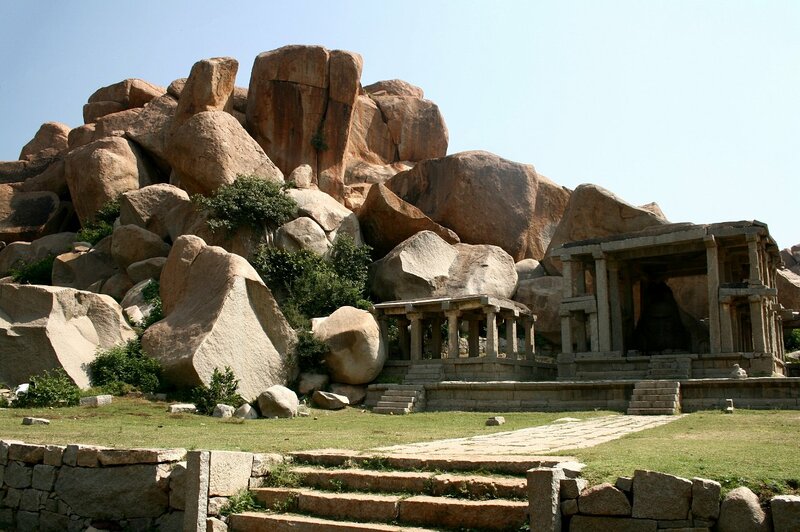 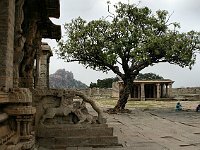 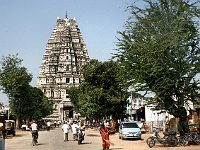 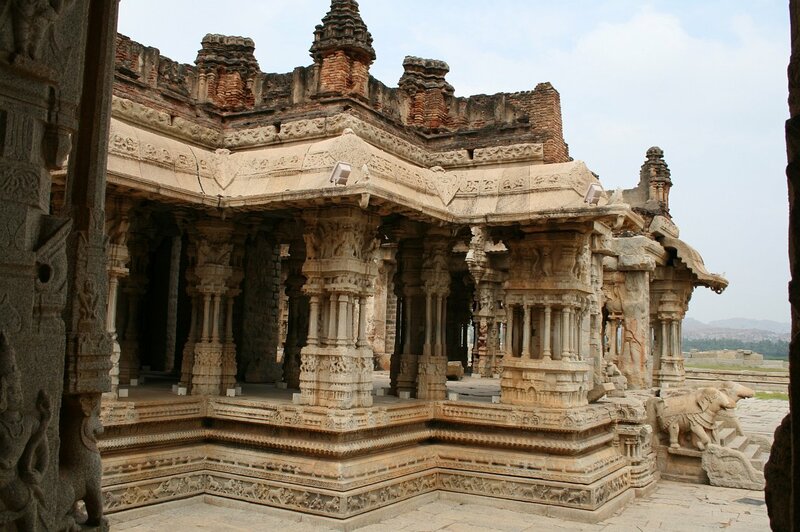 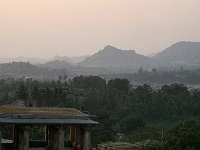 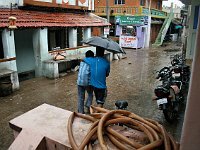 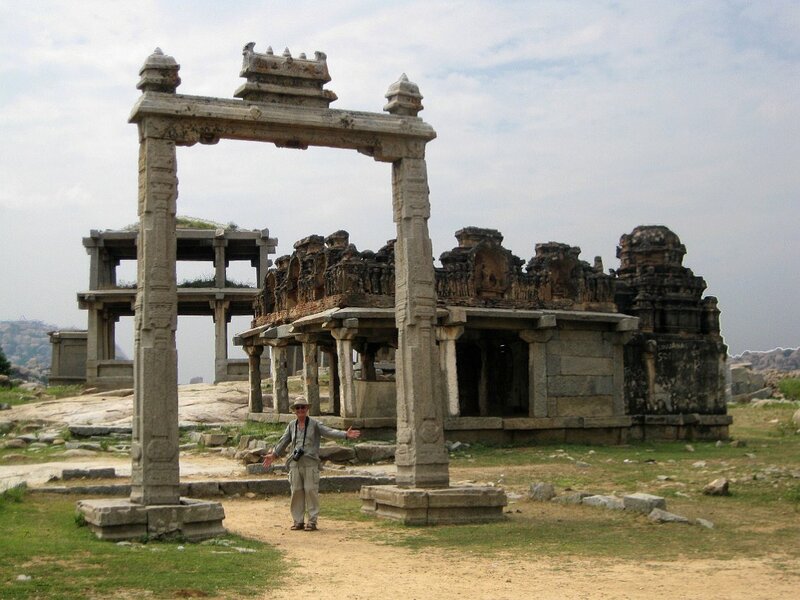 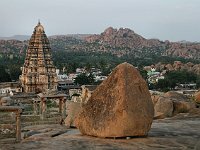 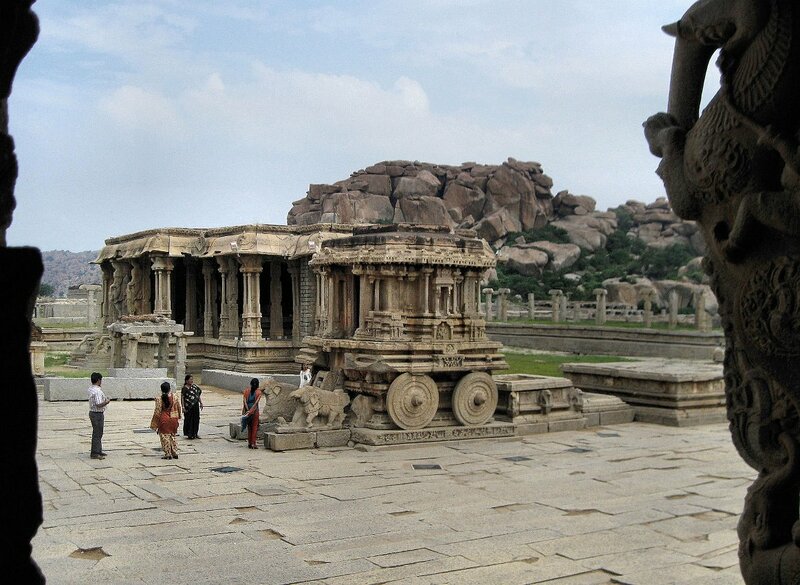 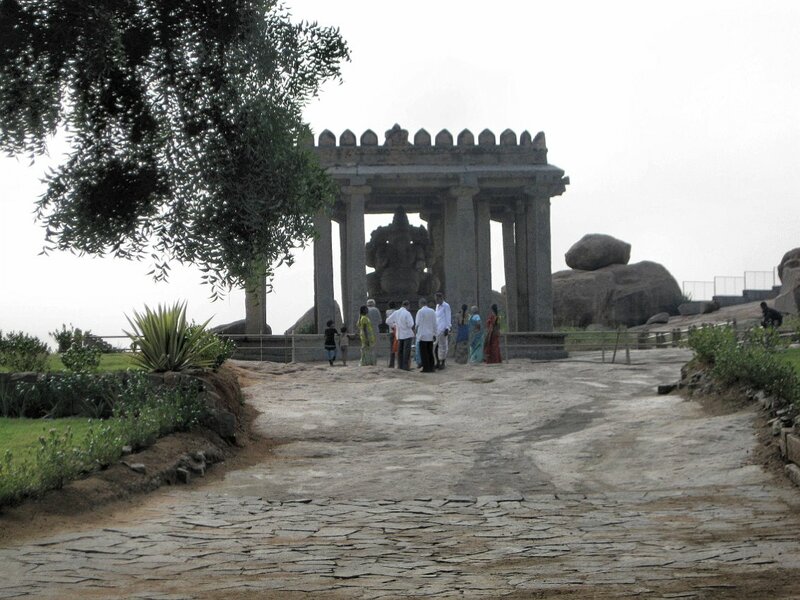 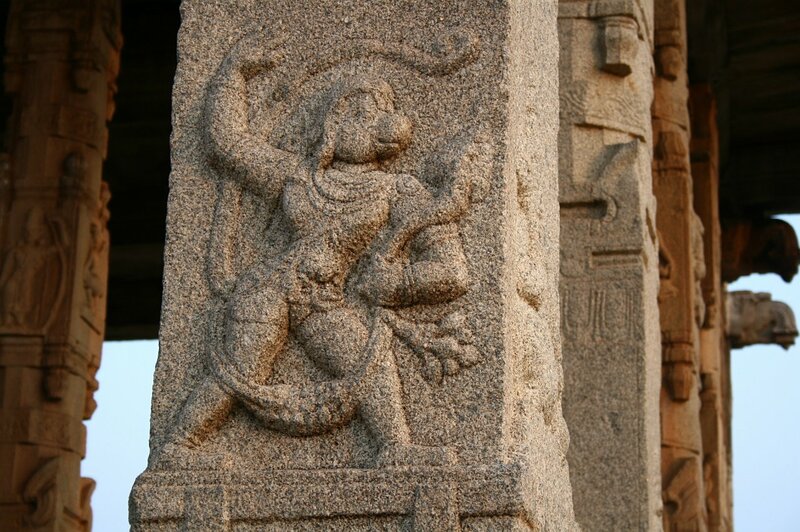 This sort of thing was all over in Hampi, at the mercy of weather, vandals and thieves. 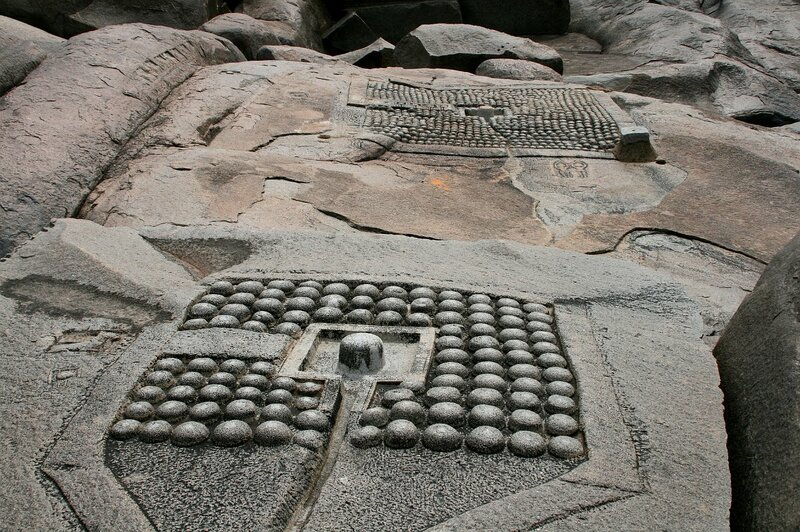 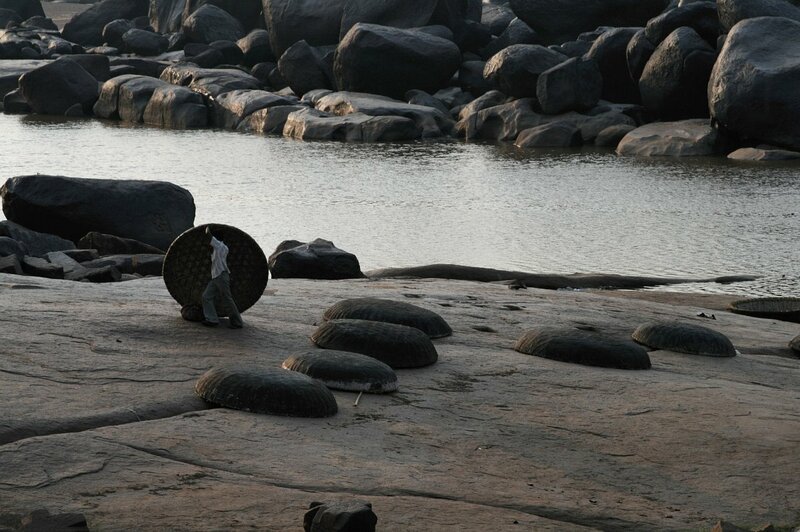 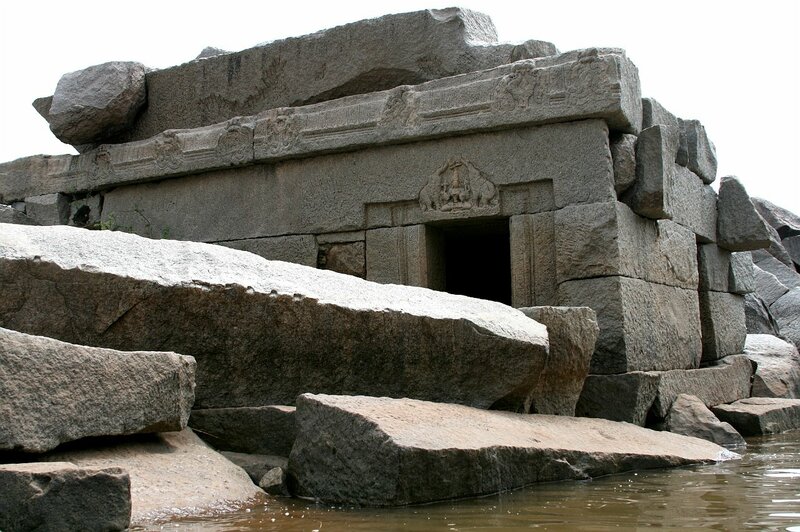 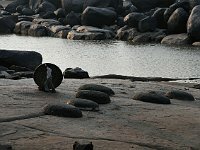 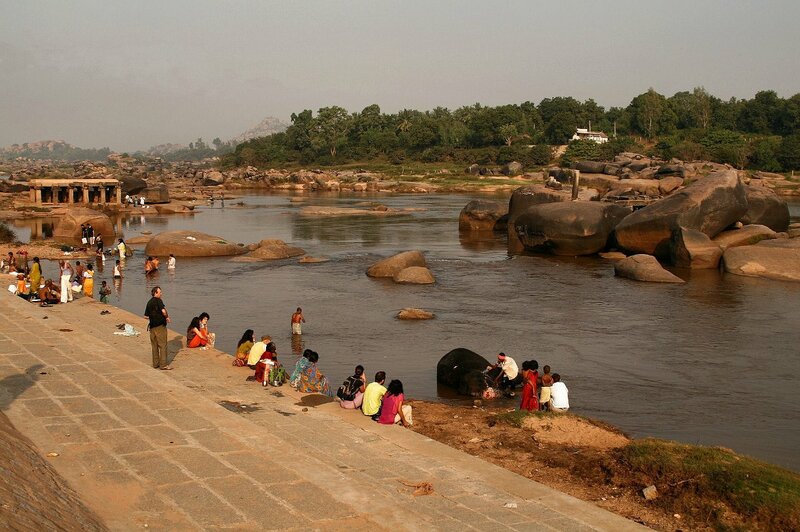 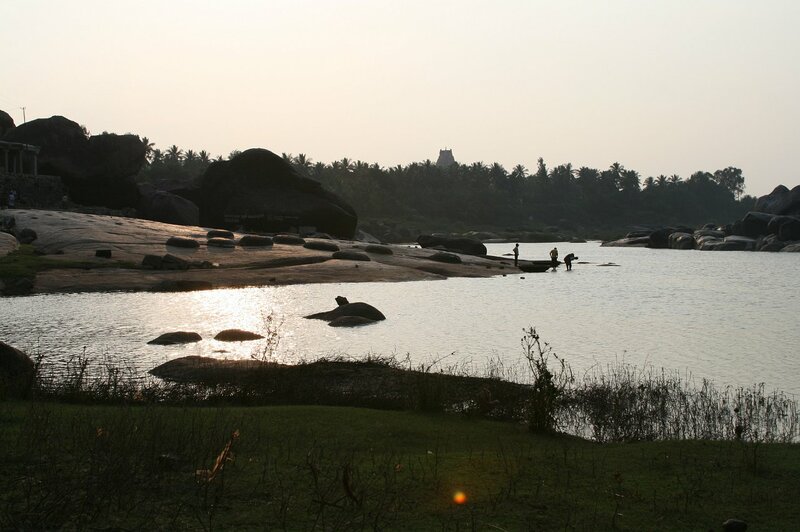 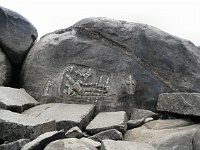 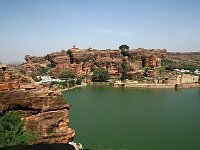 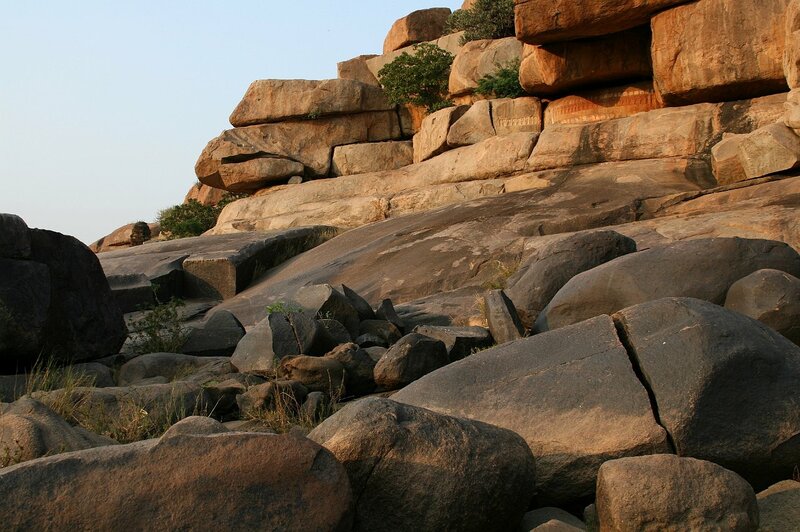 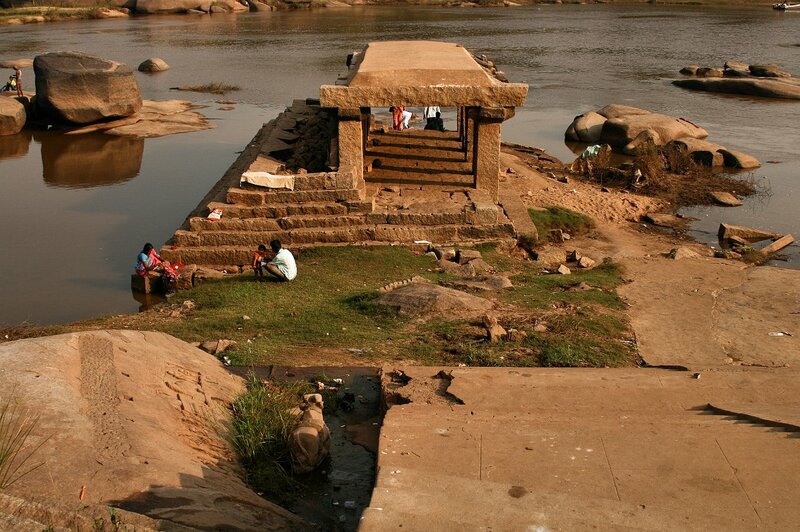 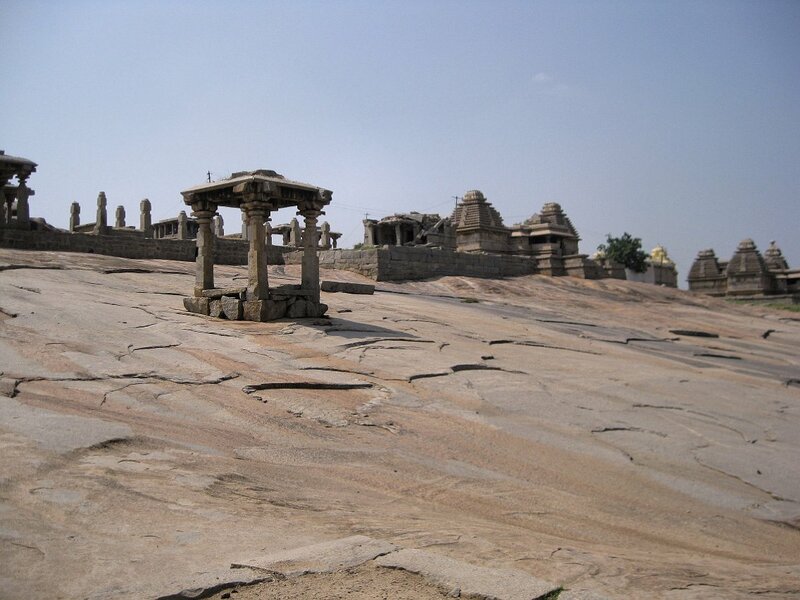 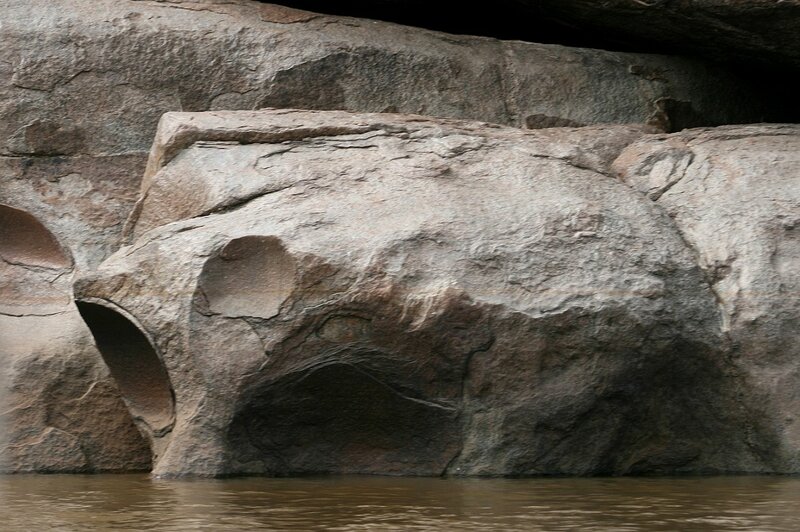 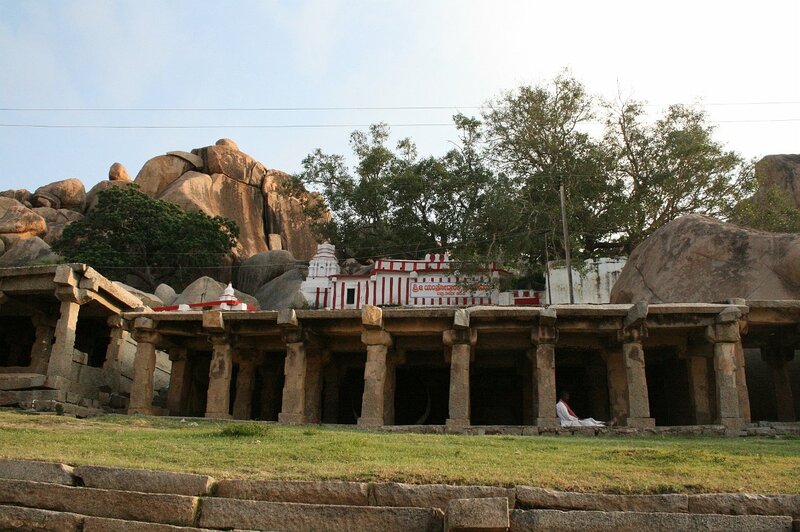 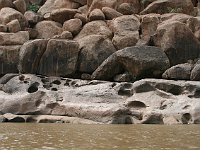 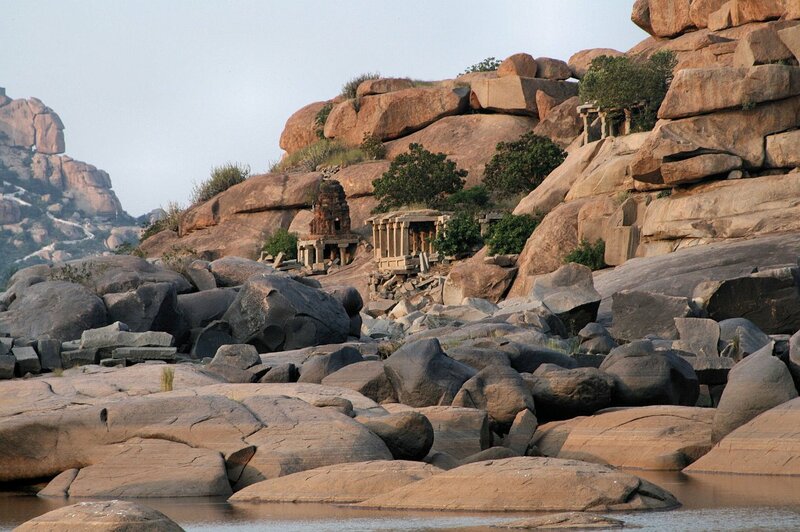 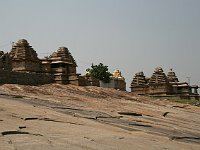 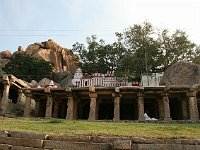 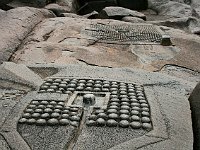 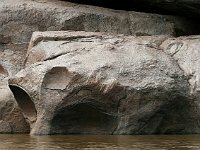 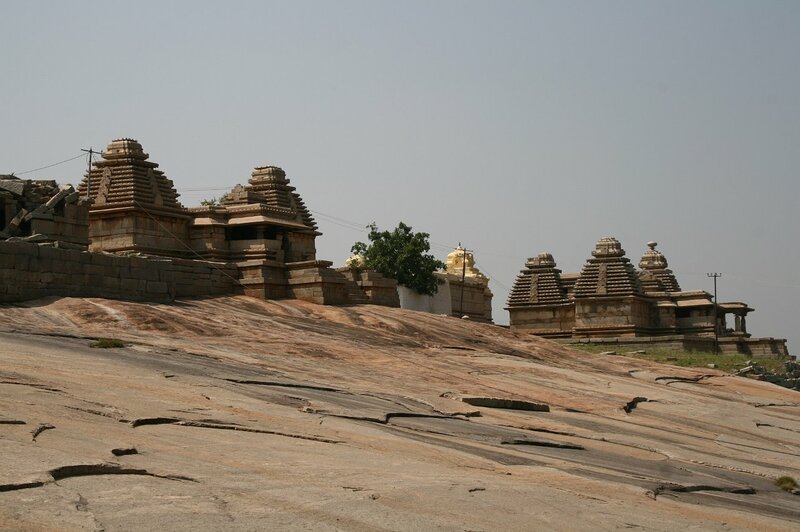 177 Boat ride on the Tungabhadra Mandalas of miniature lingas carved on top of the boulder. 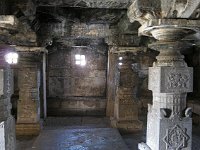 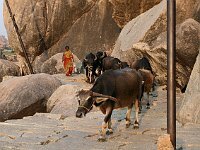 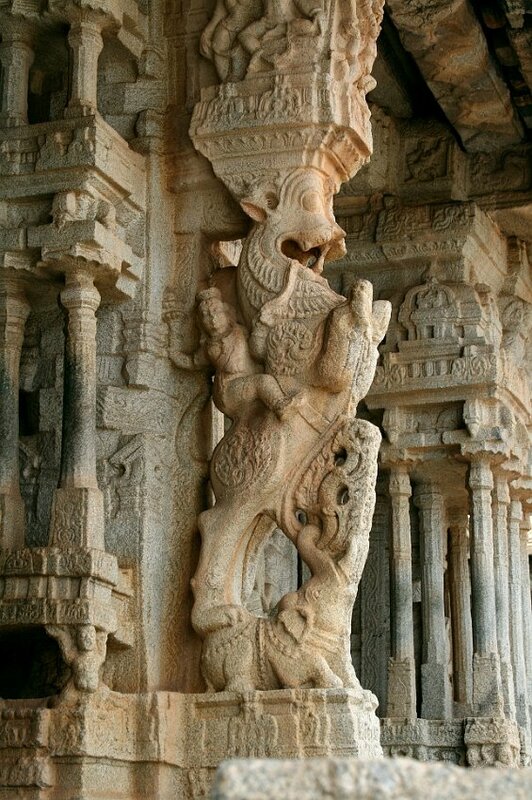 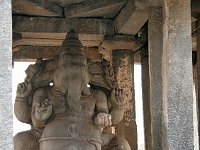 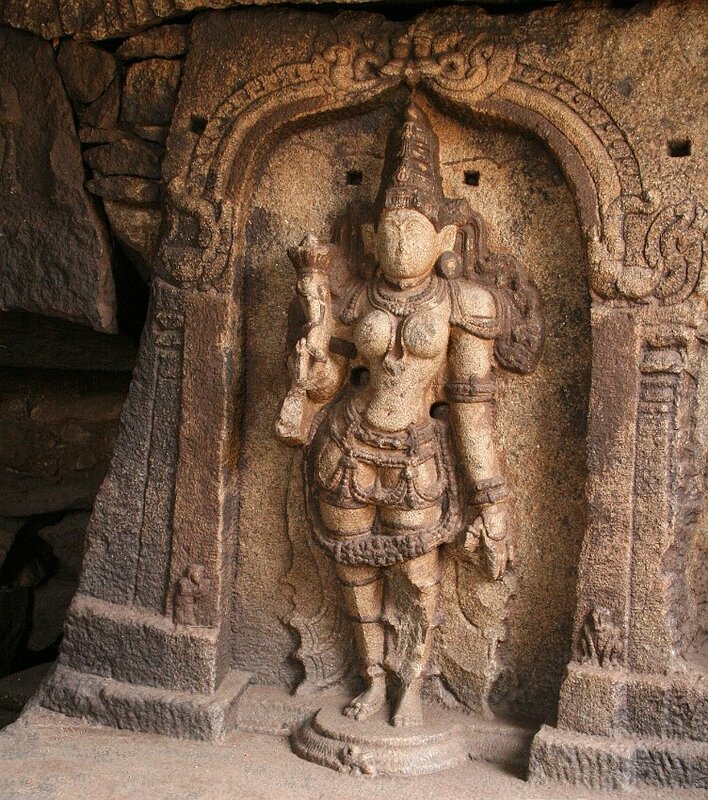 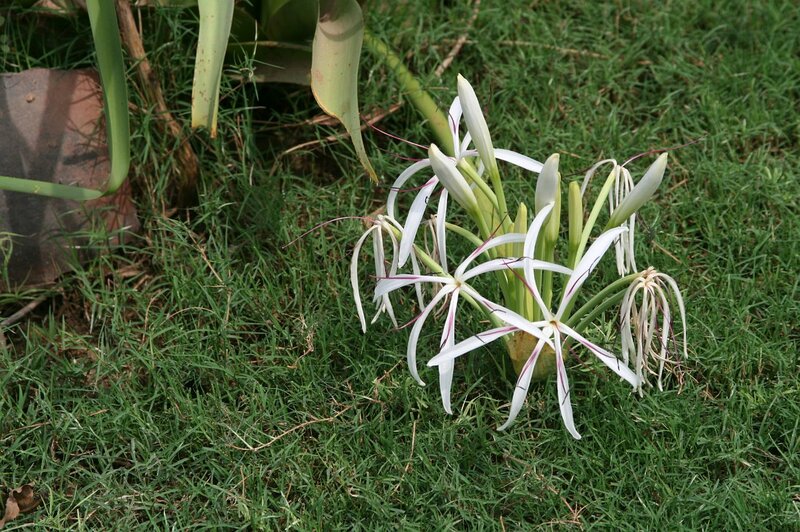 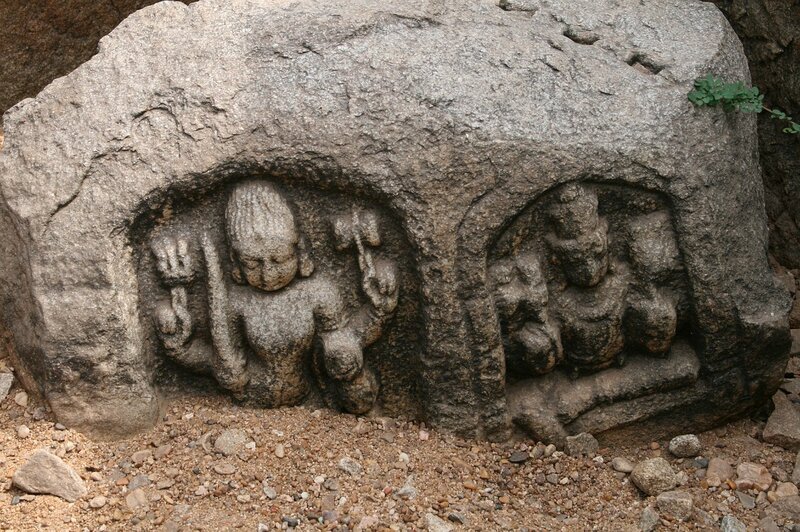 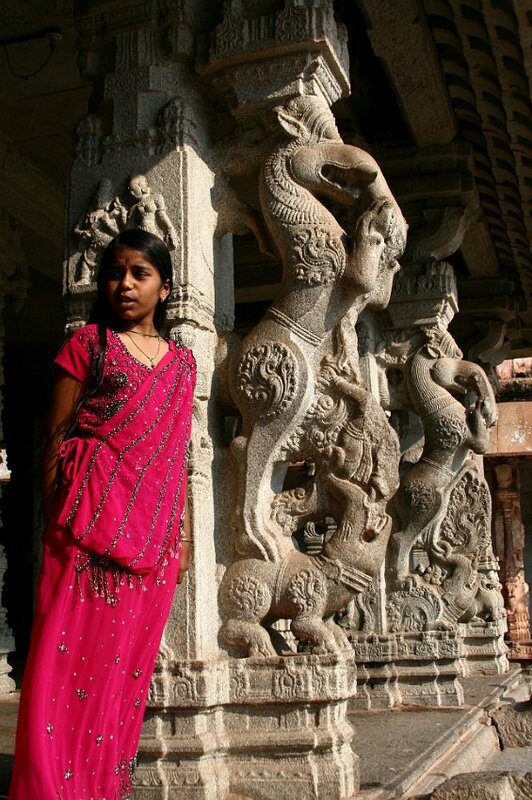 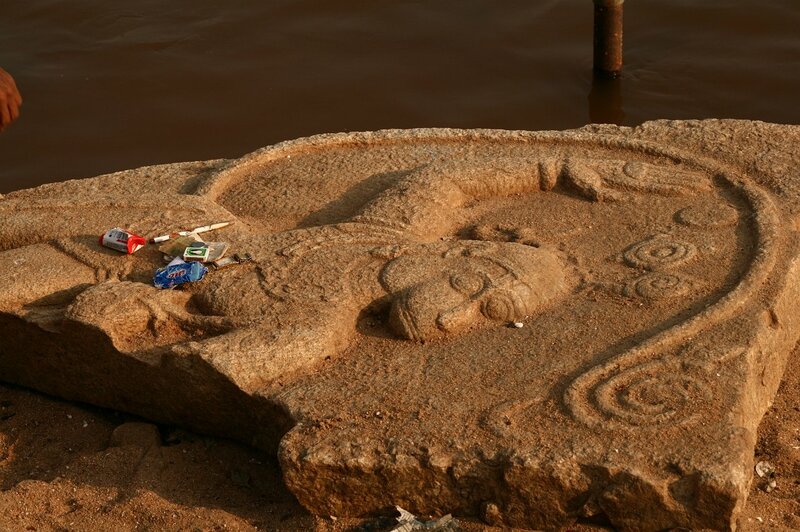 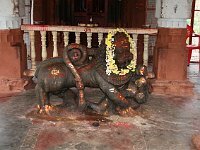 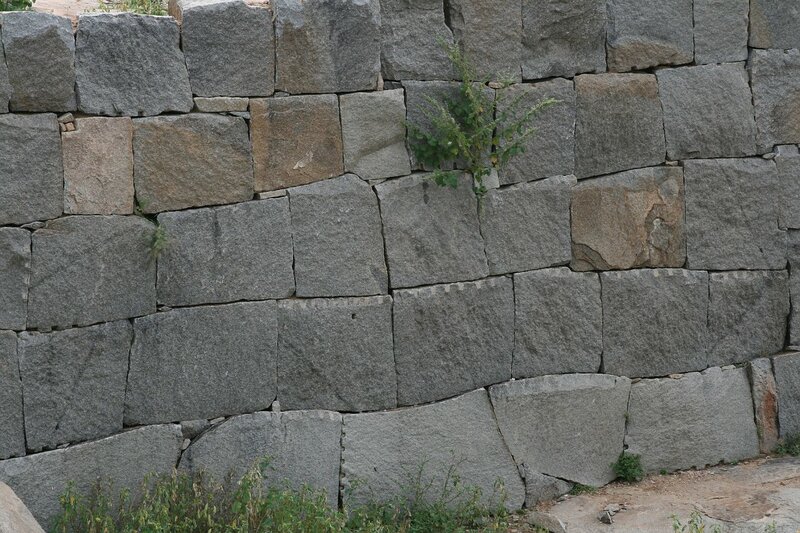 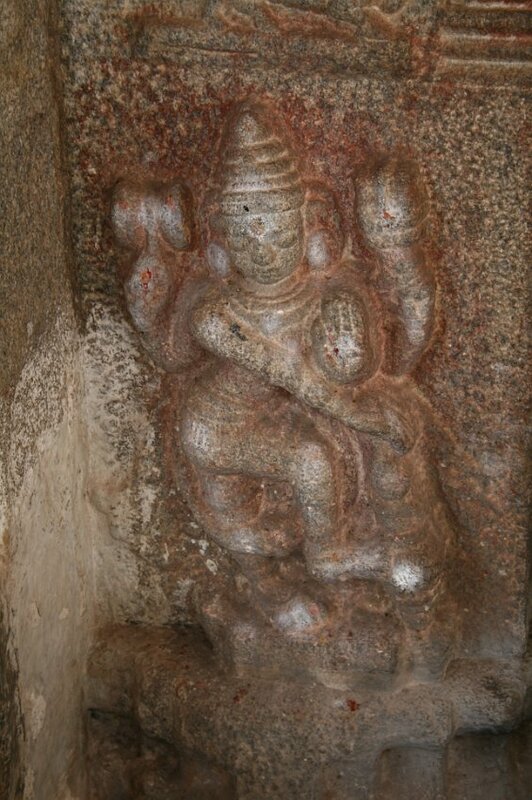 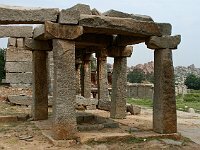 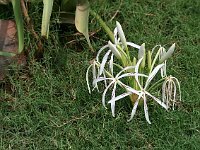 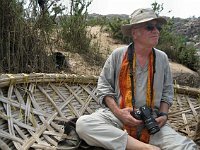 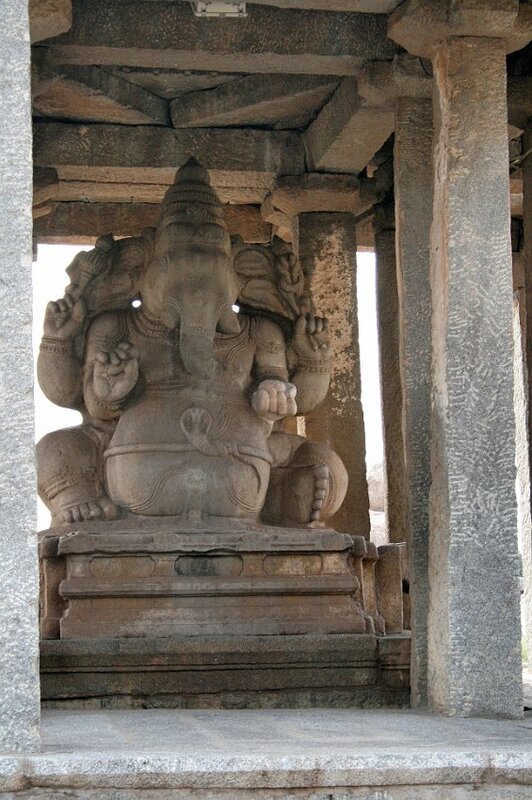 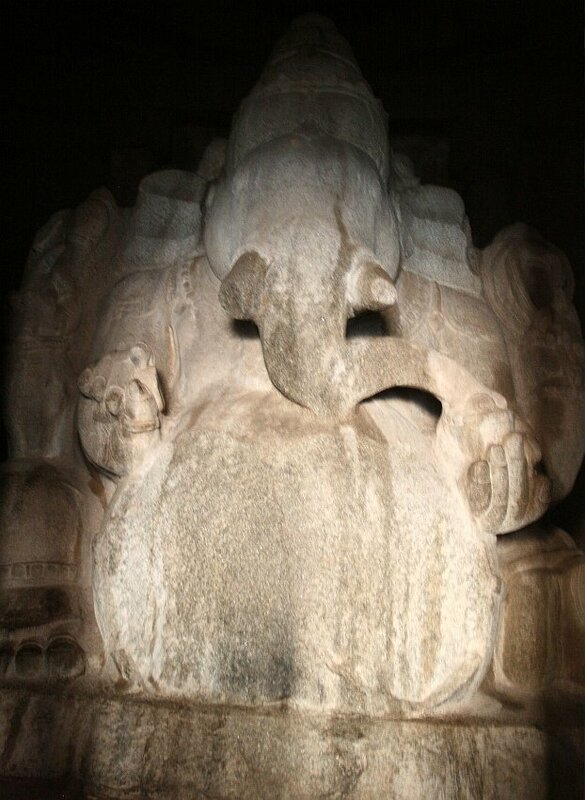 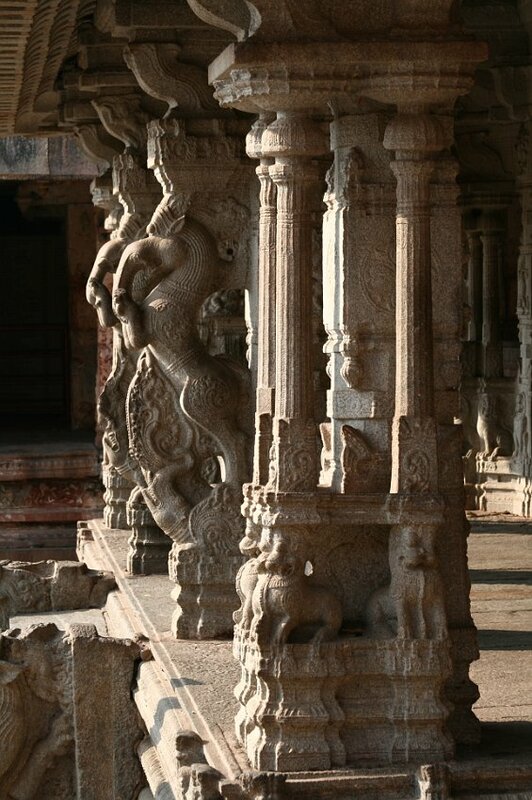 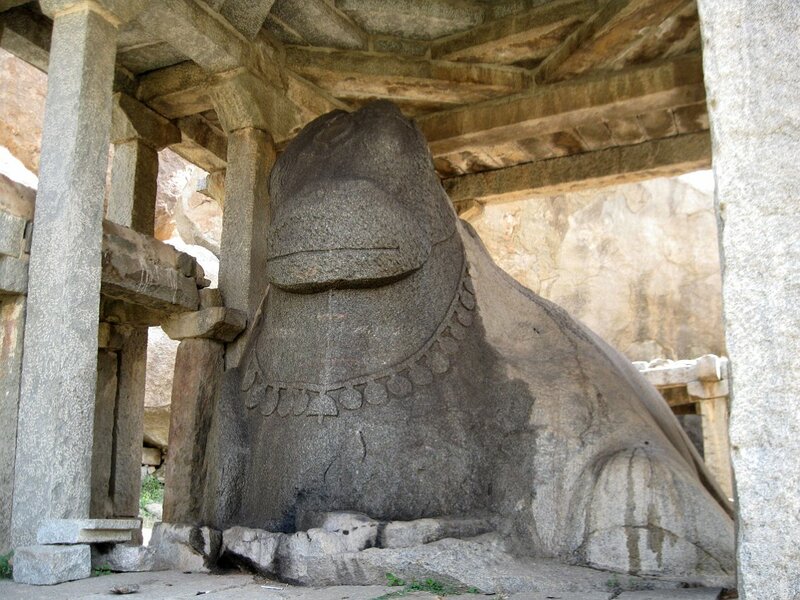 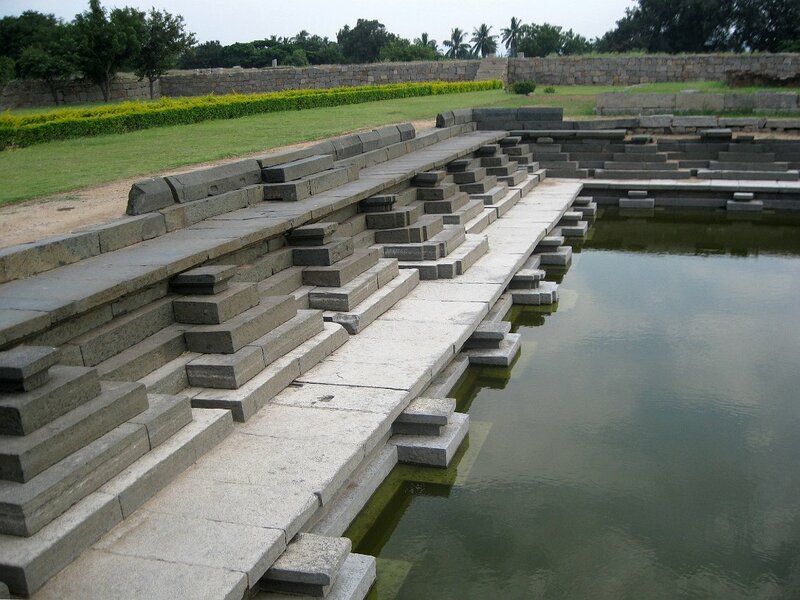 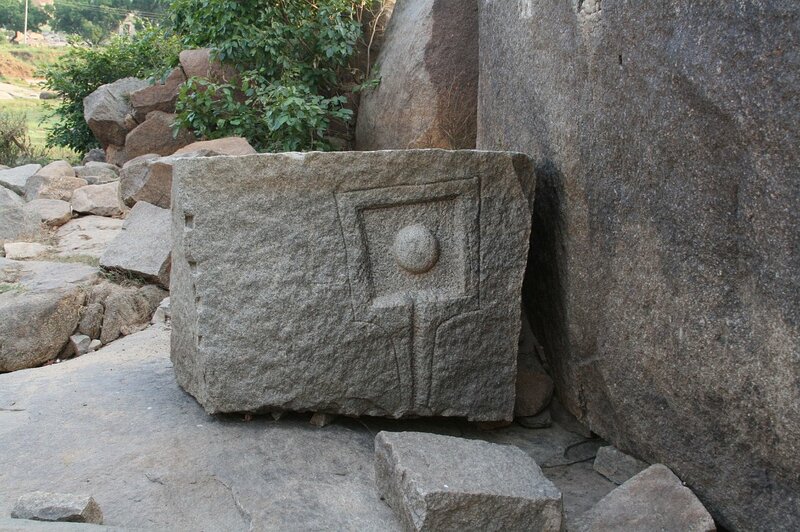 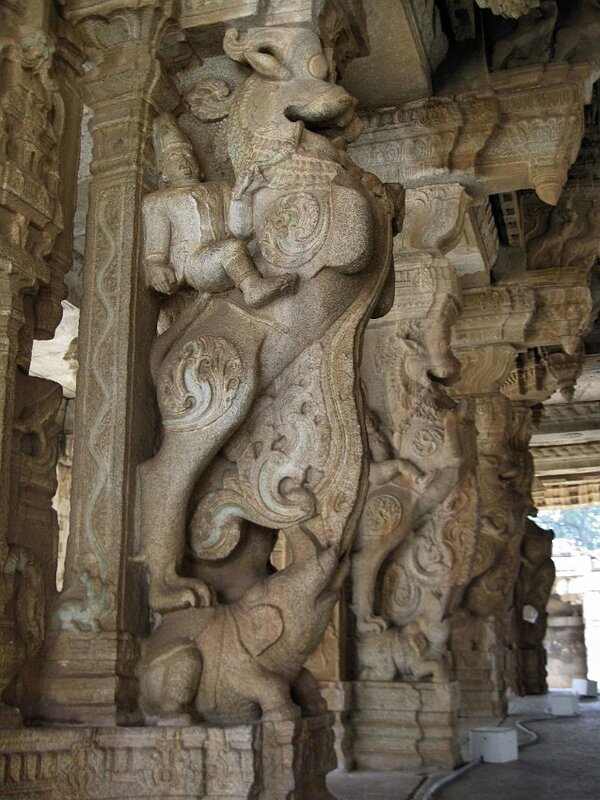 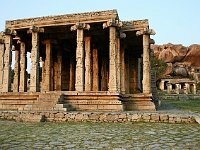 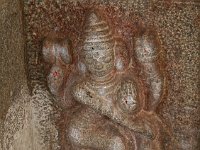 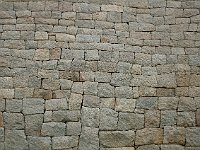 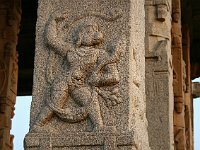 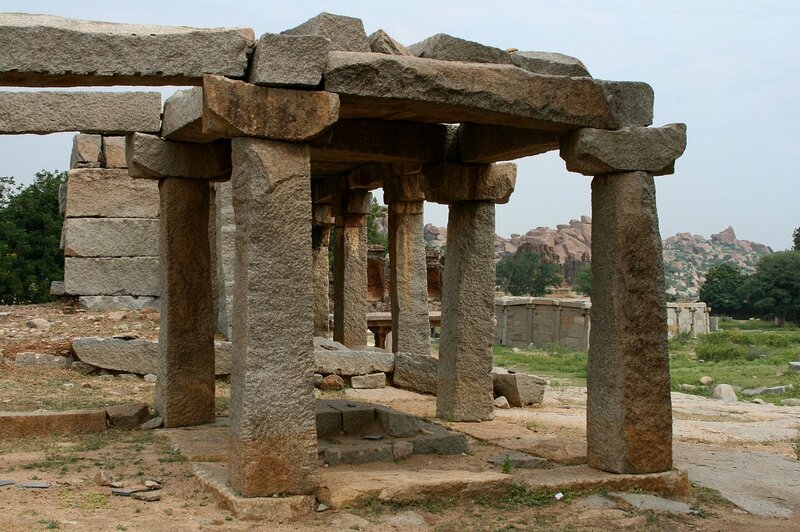 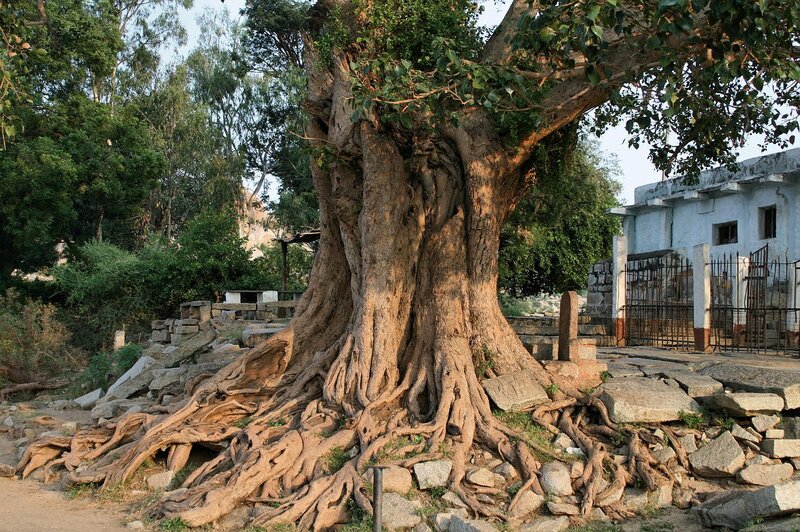 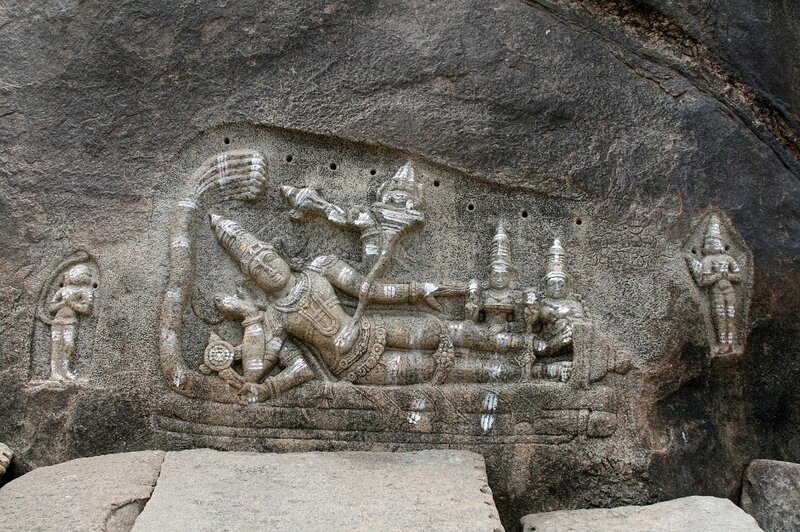 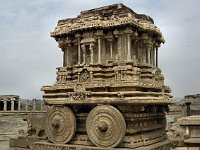 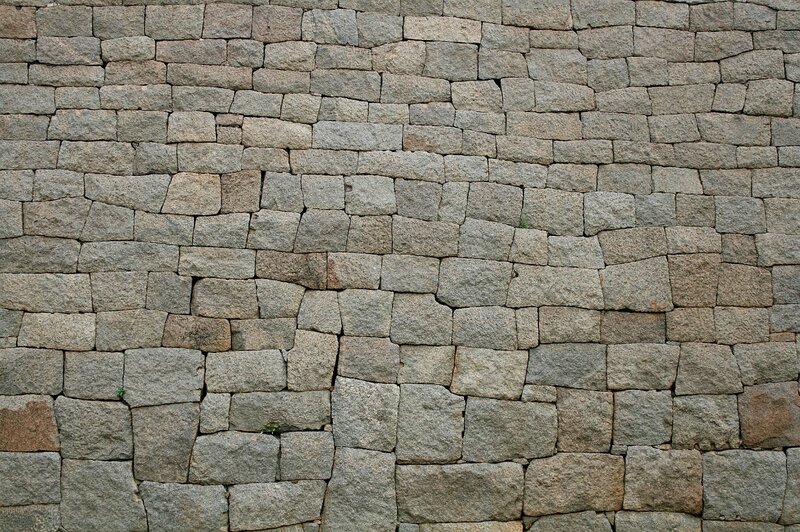 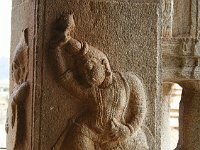 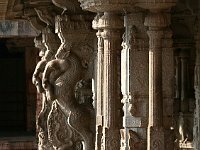 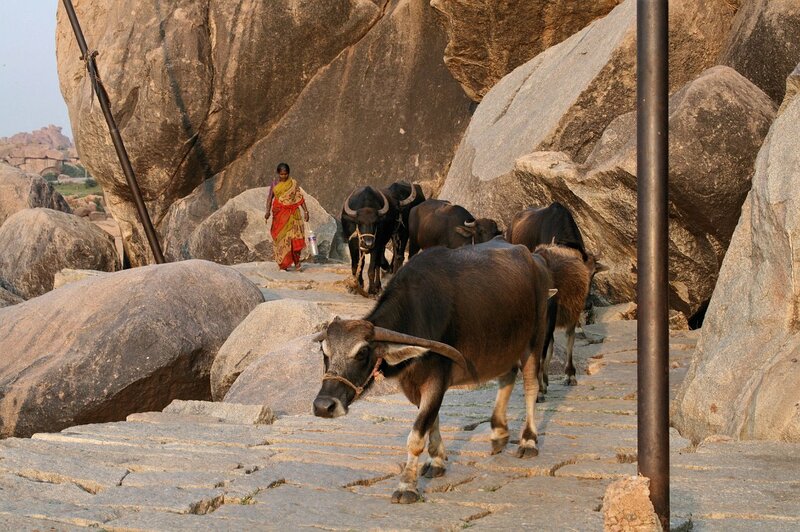 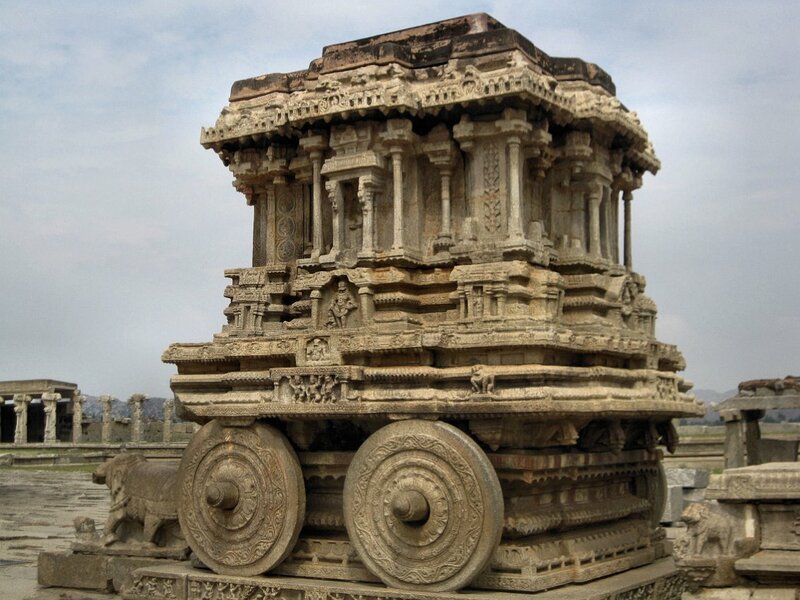 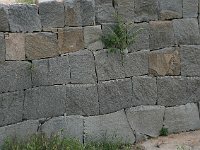 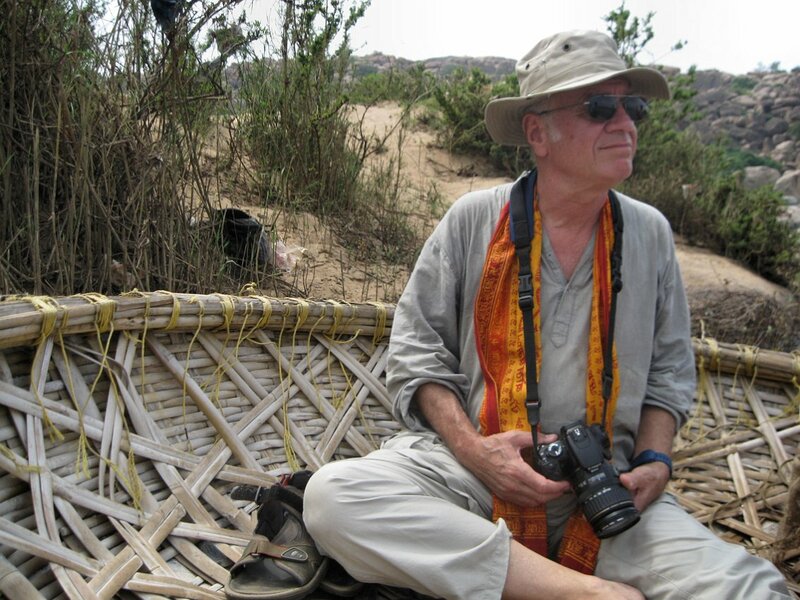 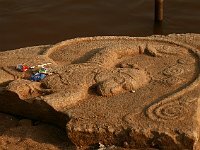 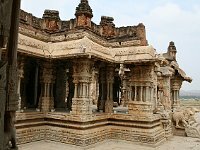 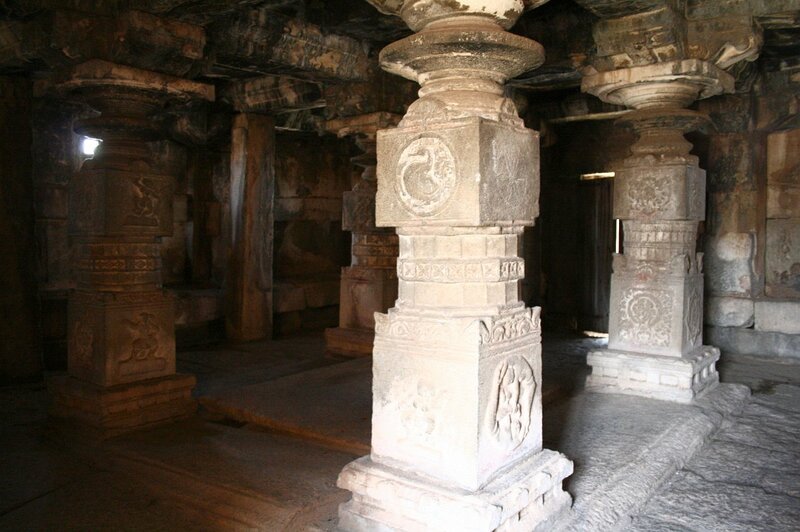 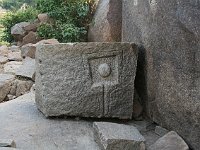 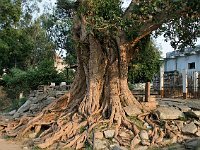 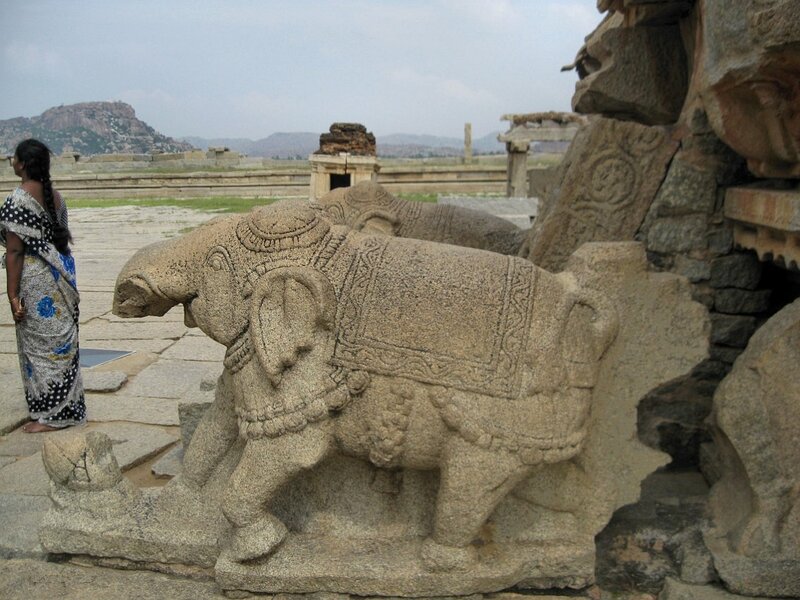 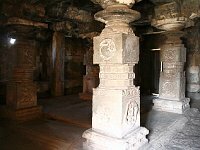 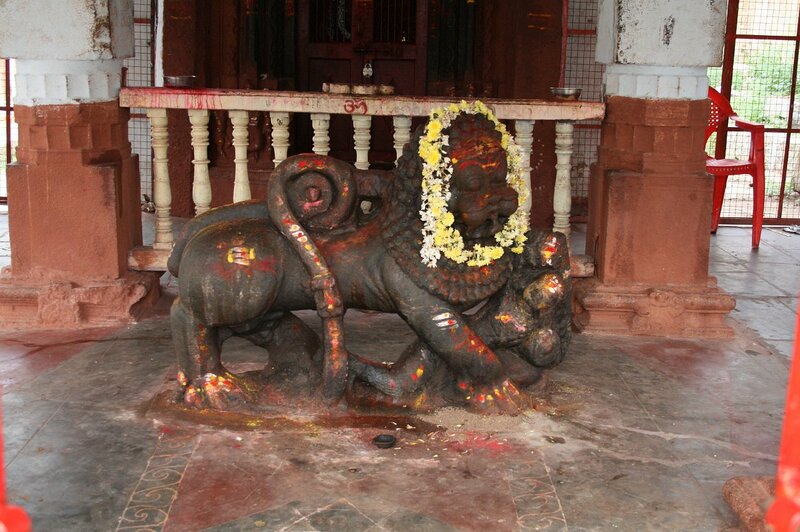 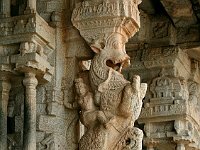 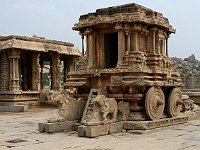 This sort of artifact, lost out in the rocks, is part of what makes Hampi so fascinating. 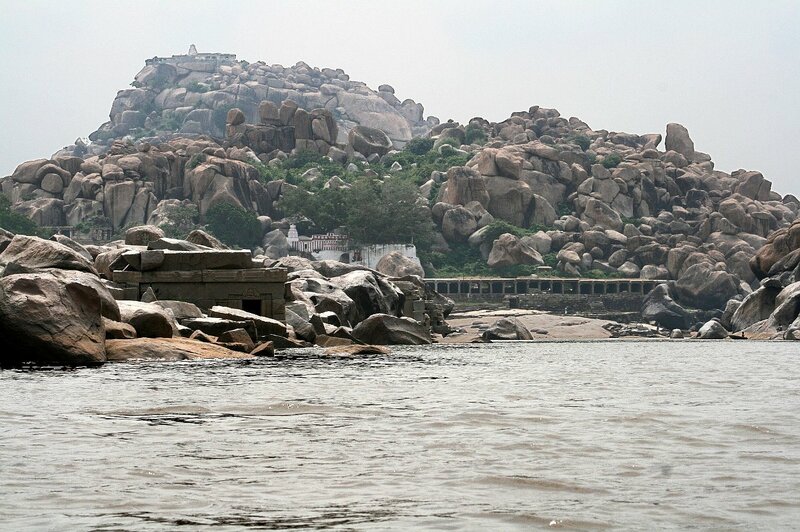 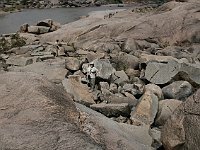 181 Boat ride on the Tungabhadra Boatman helpling tourist cross the rocks. 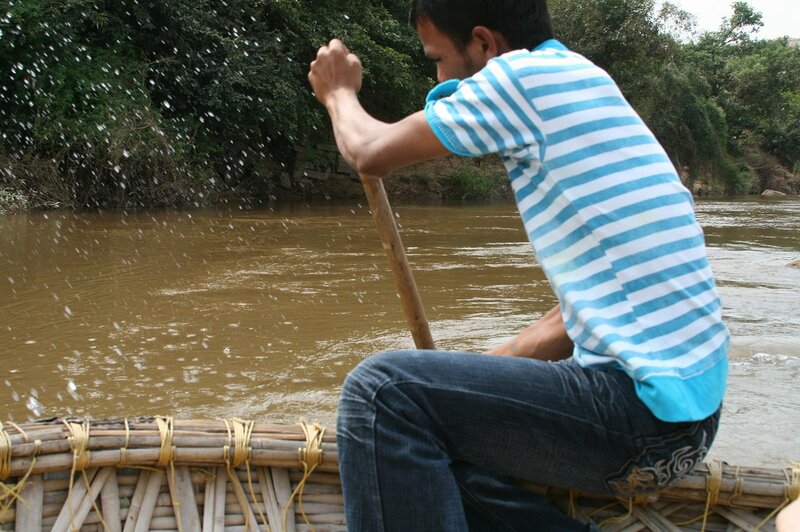 Mountain boots would have been handy, but the boatmen wore no shoes at all! 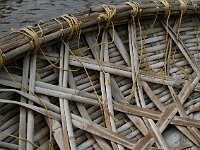 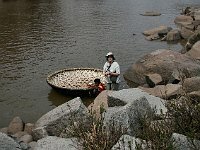 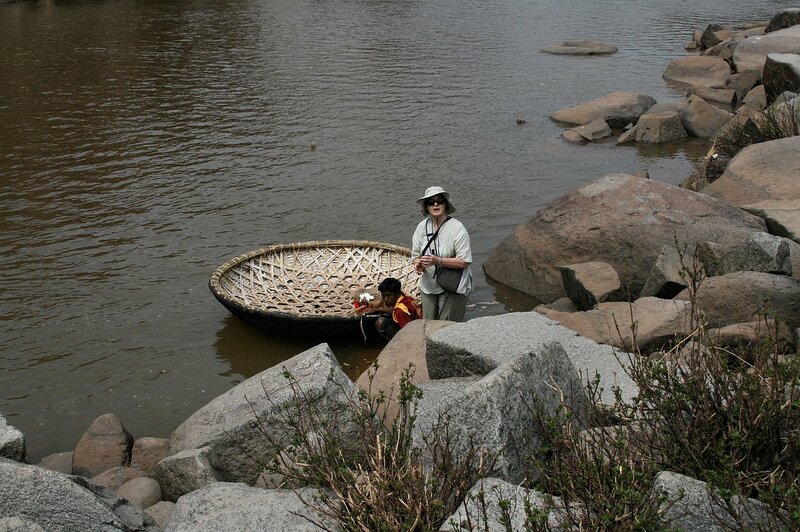 185 Boat ride on the Tungabhadra How the coracle is made. The outside is waterproofed with some sort of tar. 193 Royal Center The decorated interior of the Queen's Bath is a surprise after the rather plain exterior. 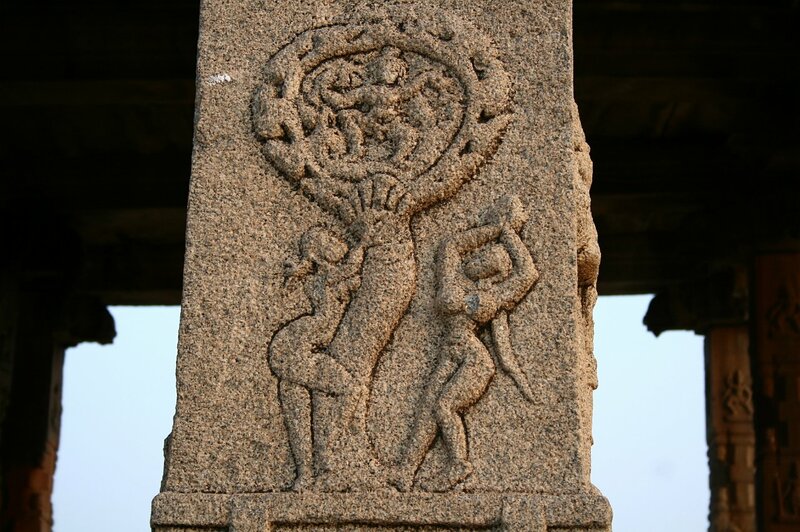 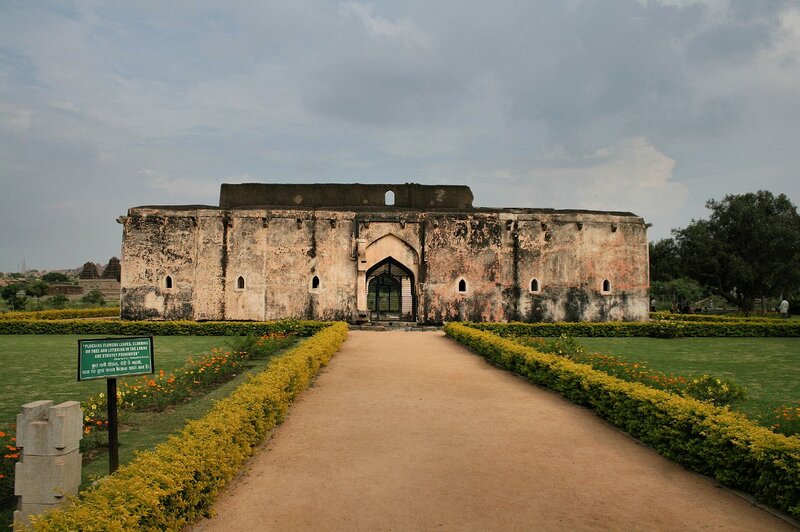 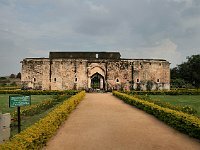 It was probably actually used by male courtiers and their "lady" friends. 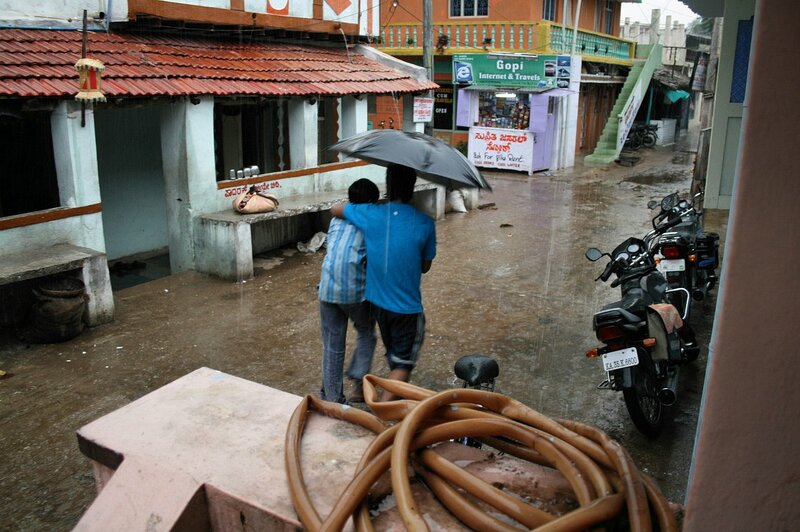 208 Evening An evening rainshower!